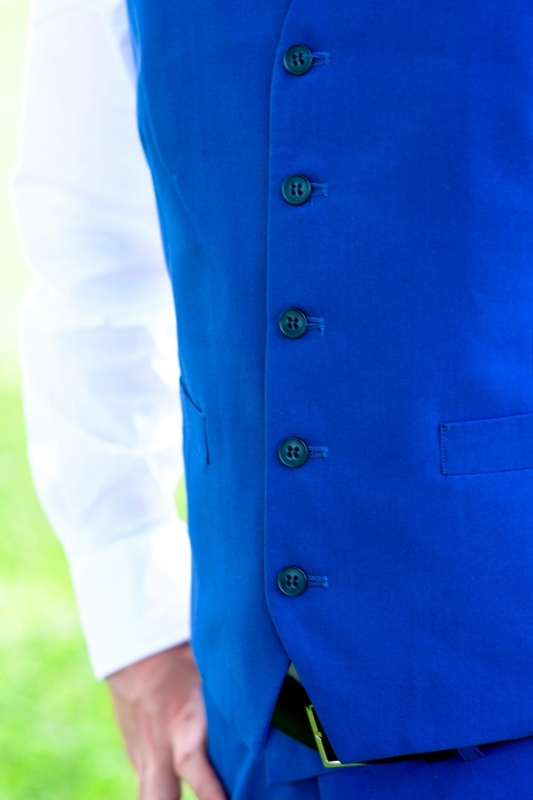 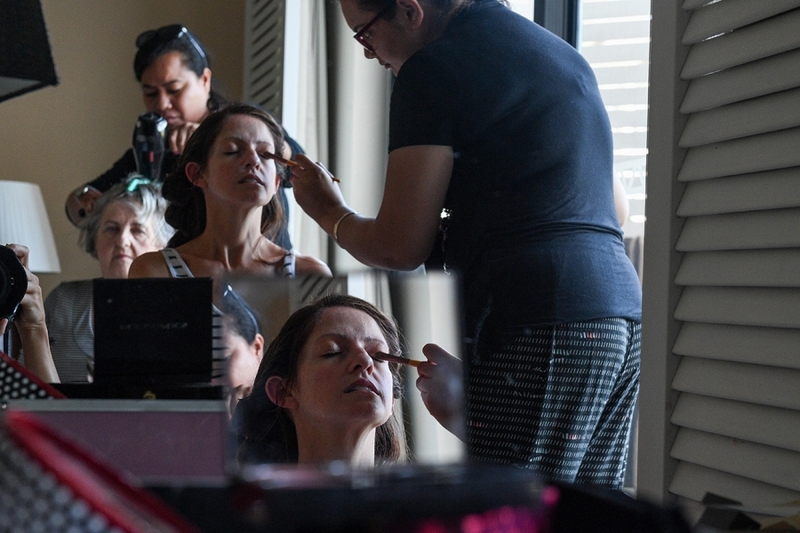 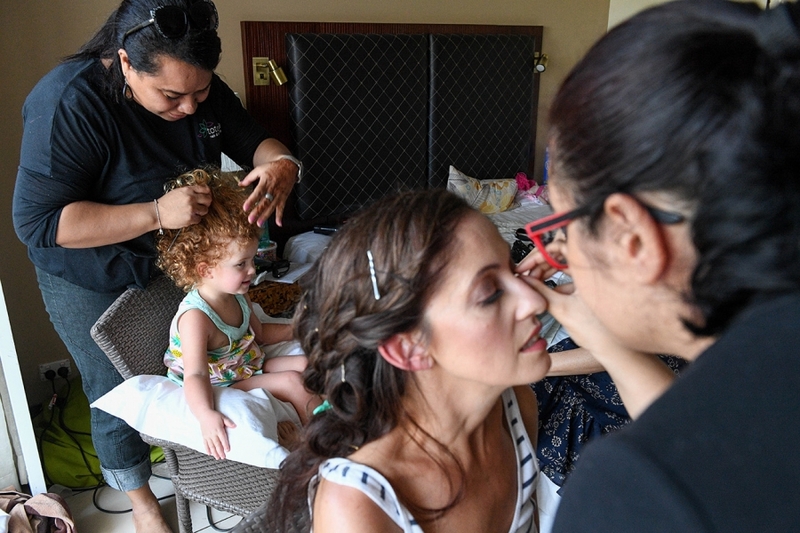 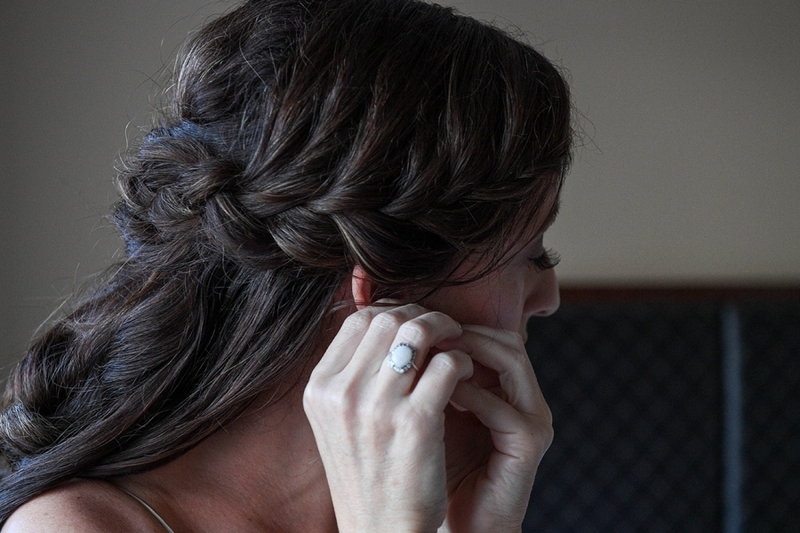 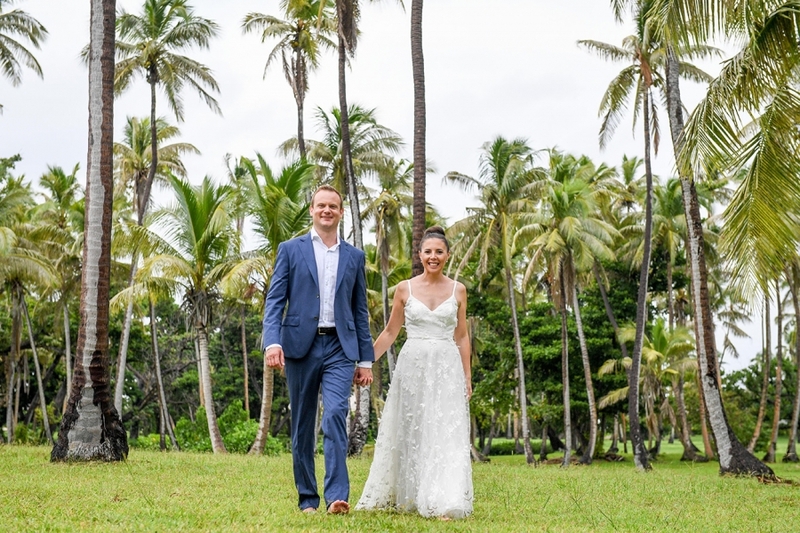 This wedding is a mix of a tropical and boho vibe. 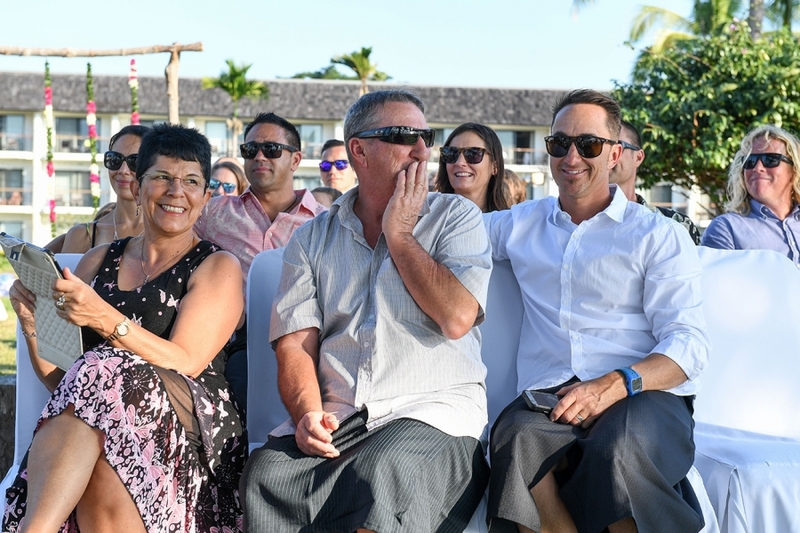 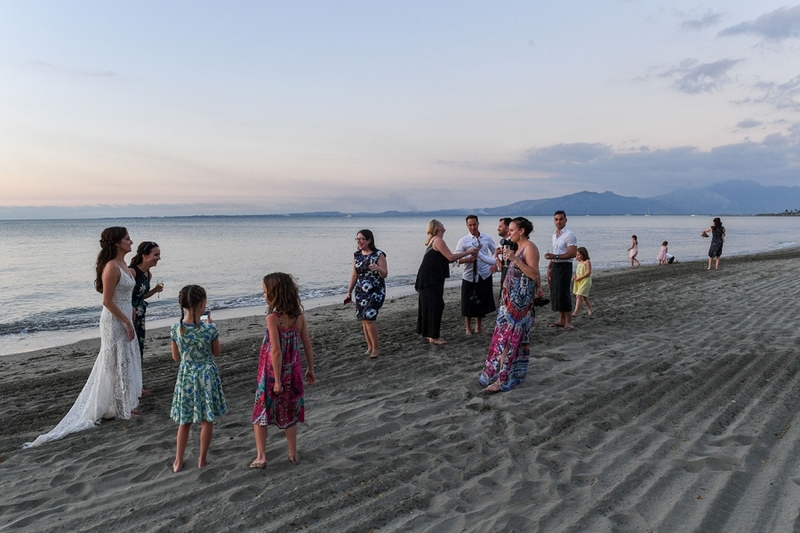 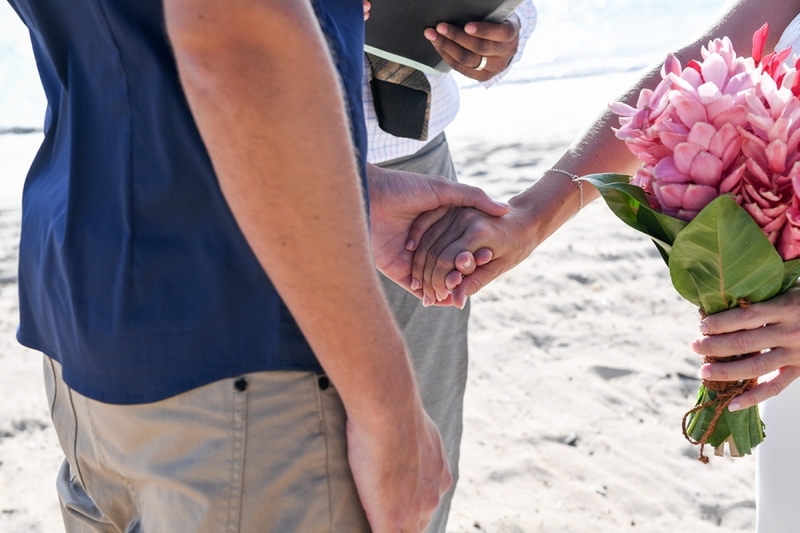 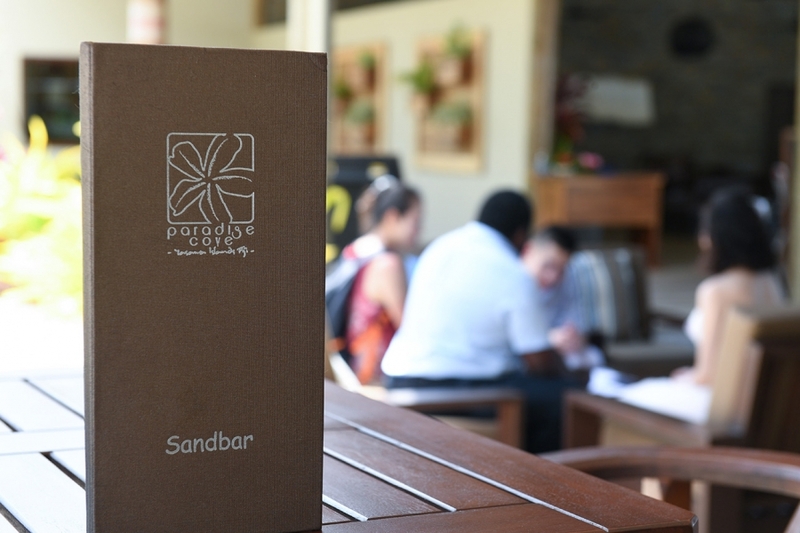 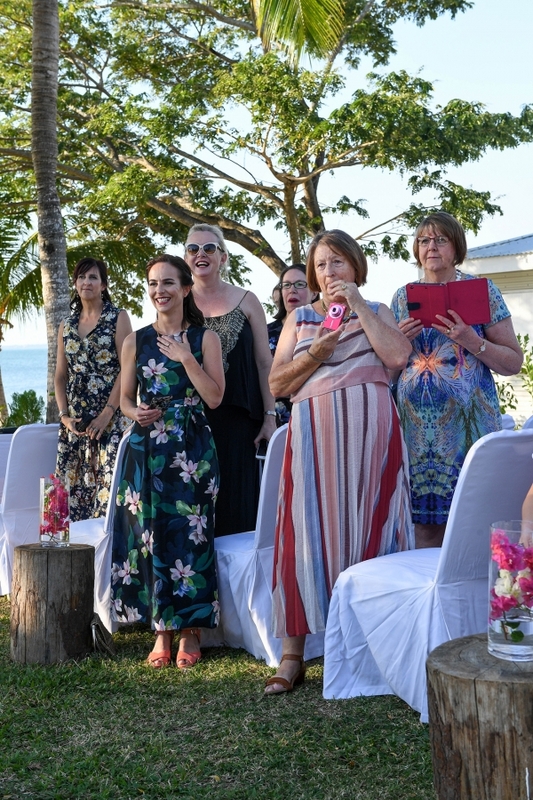 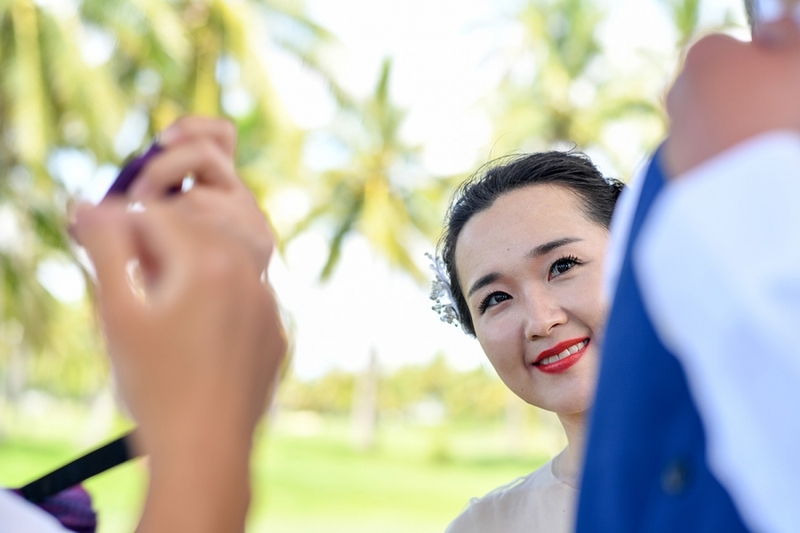 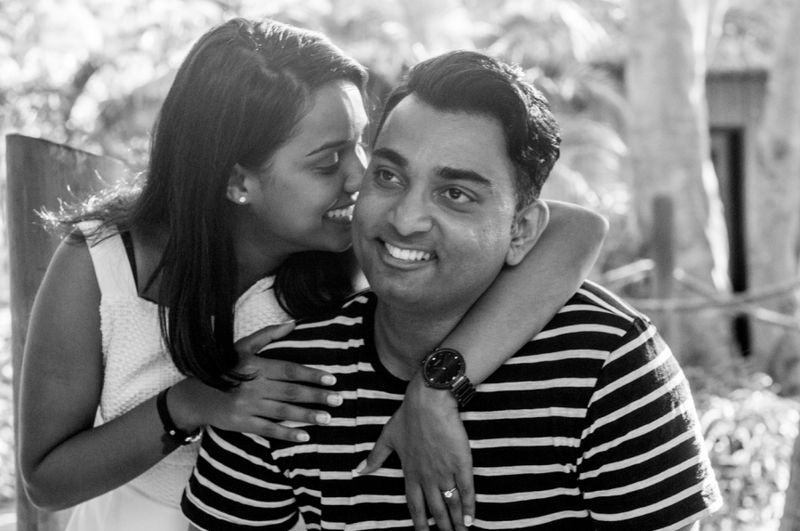 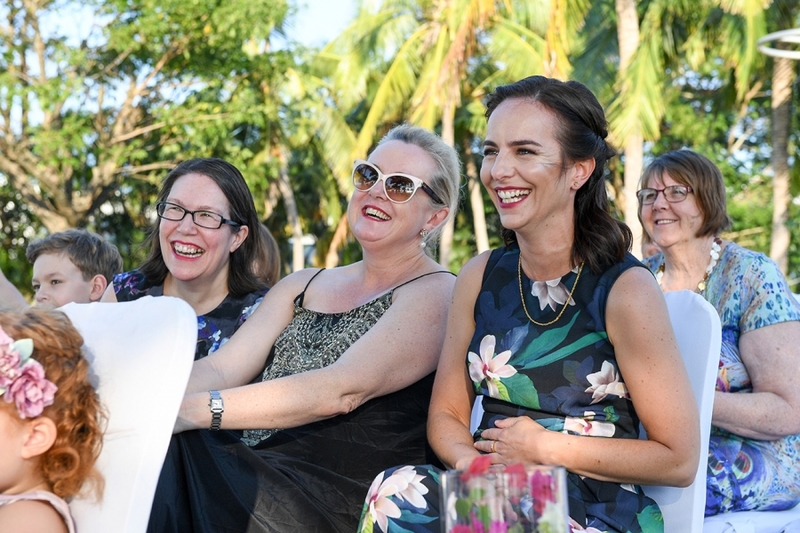 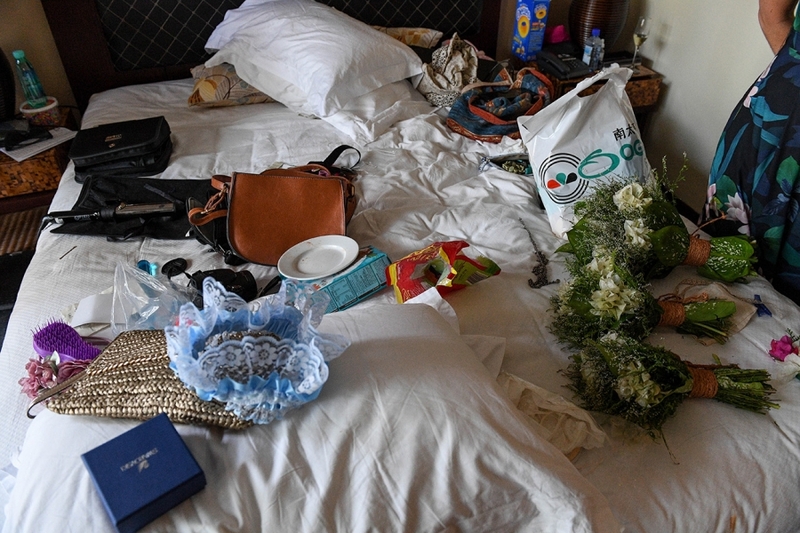 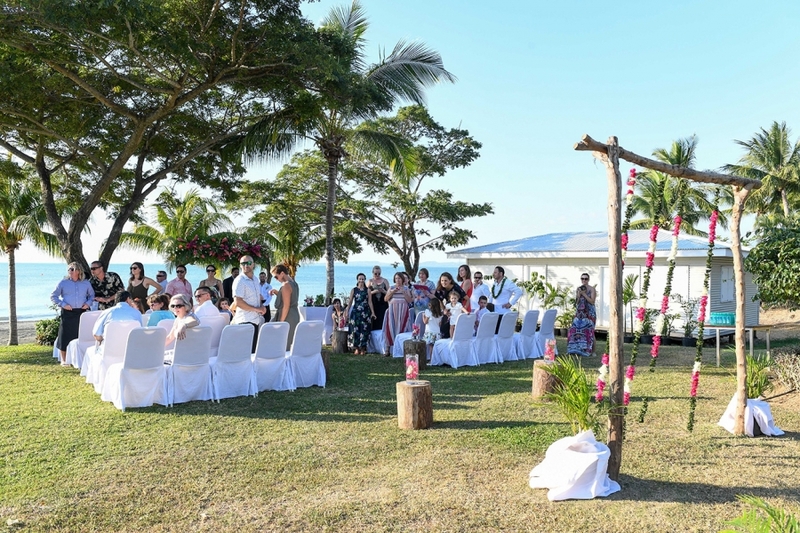 Right by the beach, the happy couple said yes in front of many of their friends and family who flew all the way to Fiji to celebrate their union. 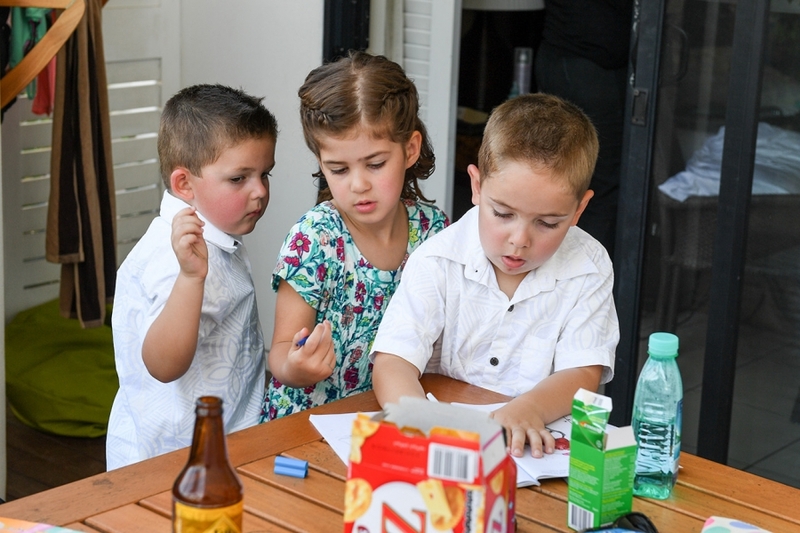 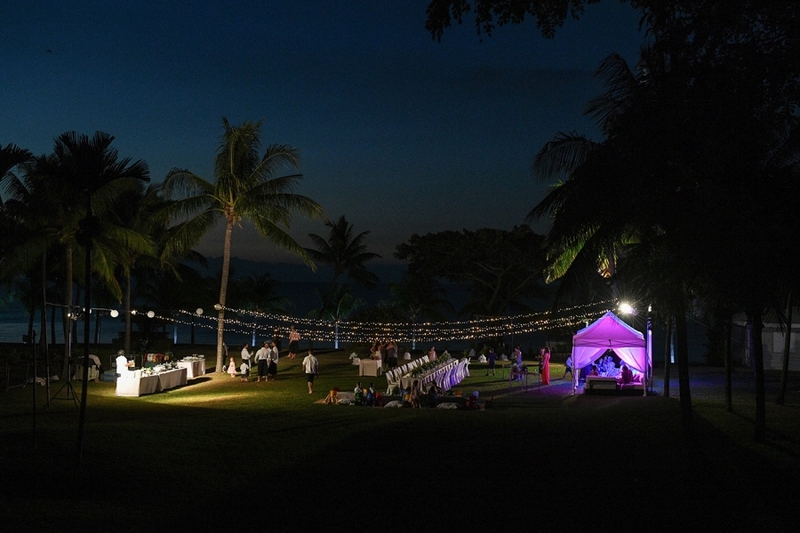 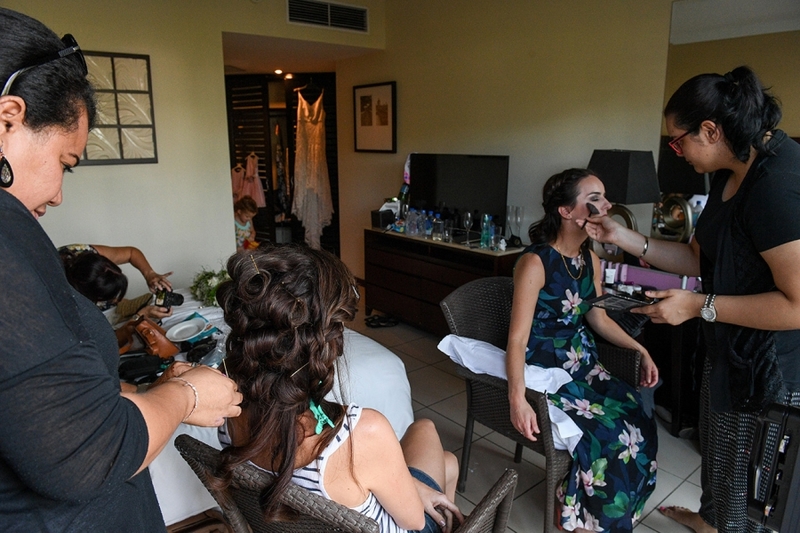 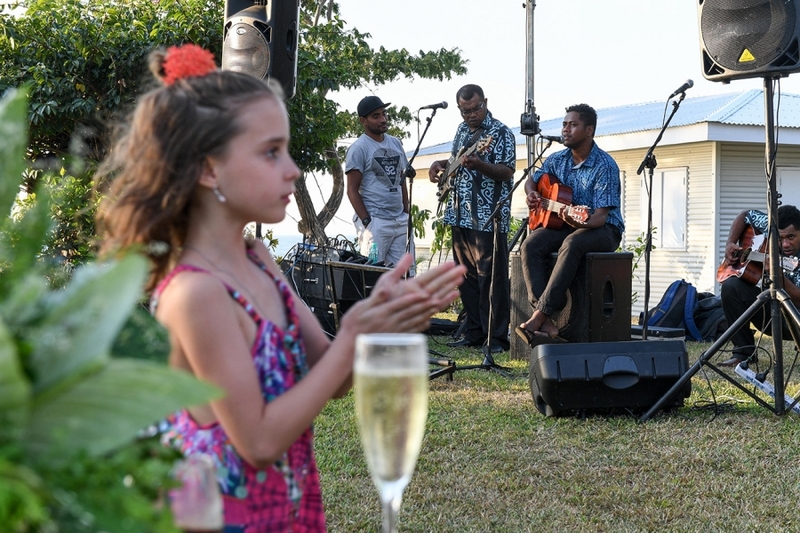 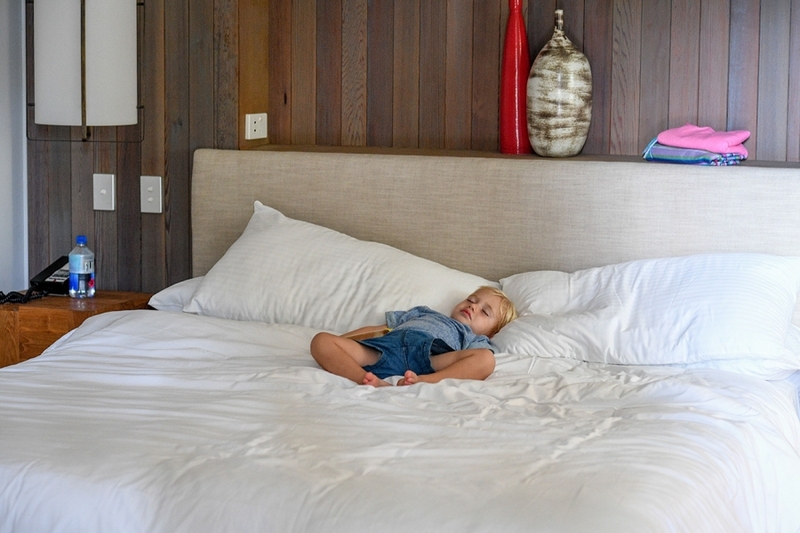 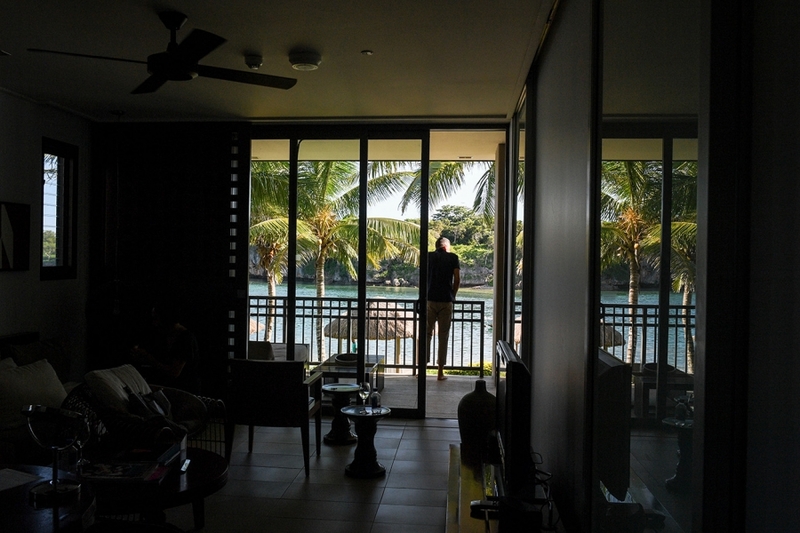 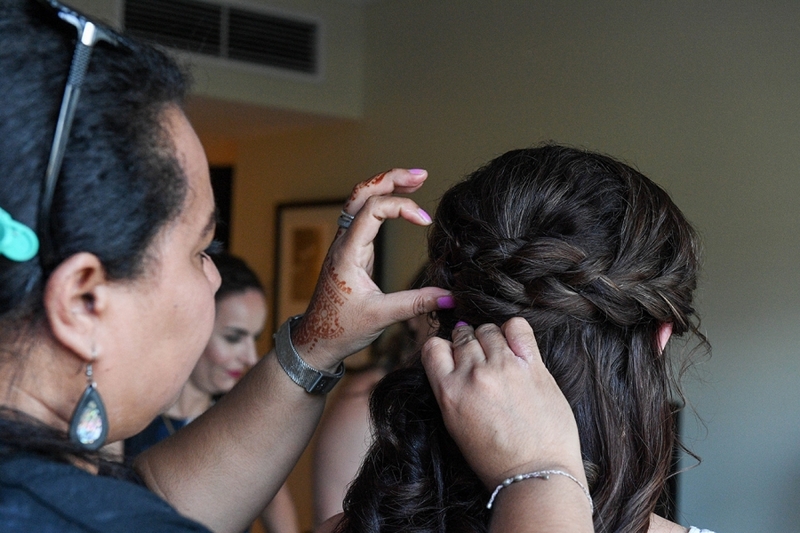 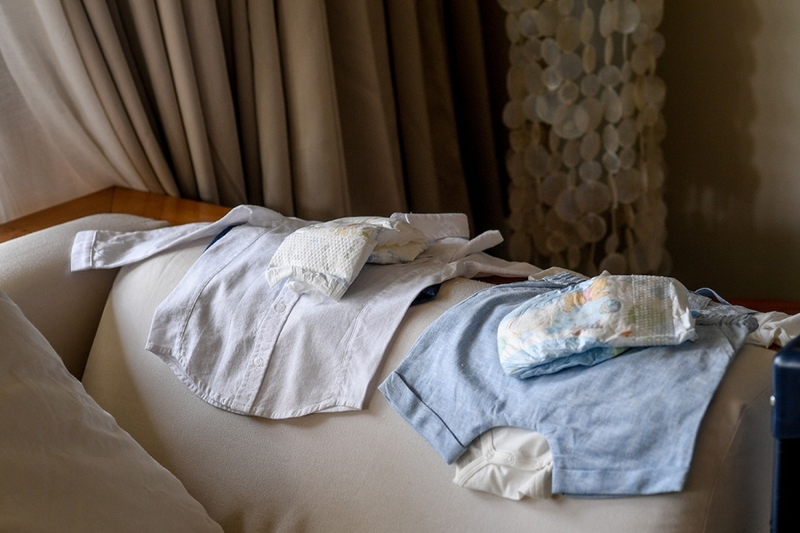 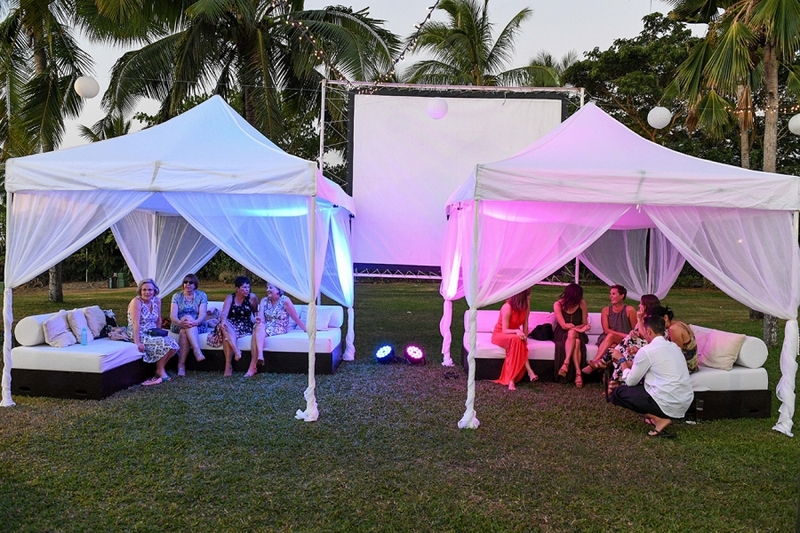 The Sofitel Denarau (in Nadi, Fiji) was a perfect venue. 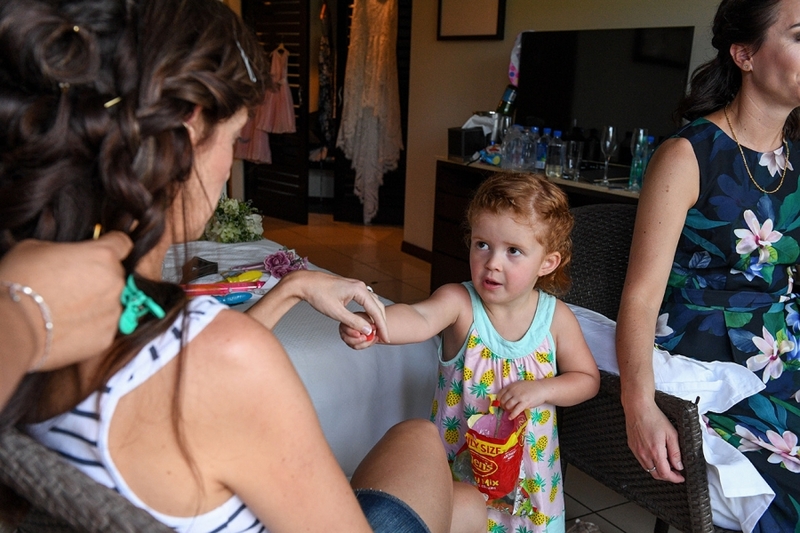 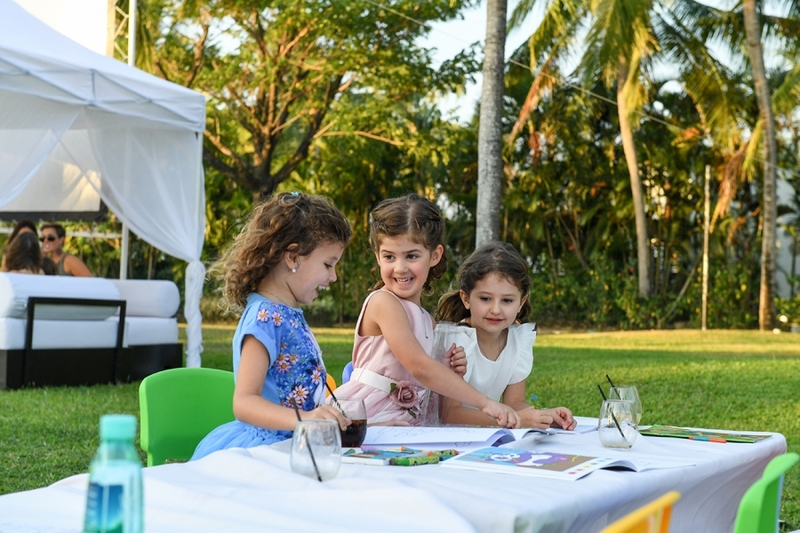 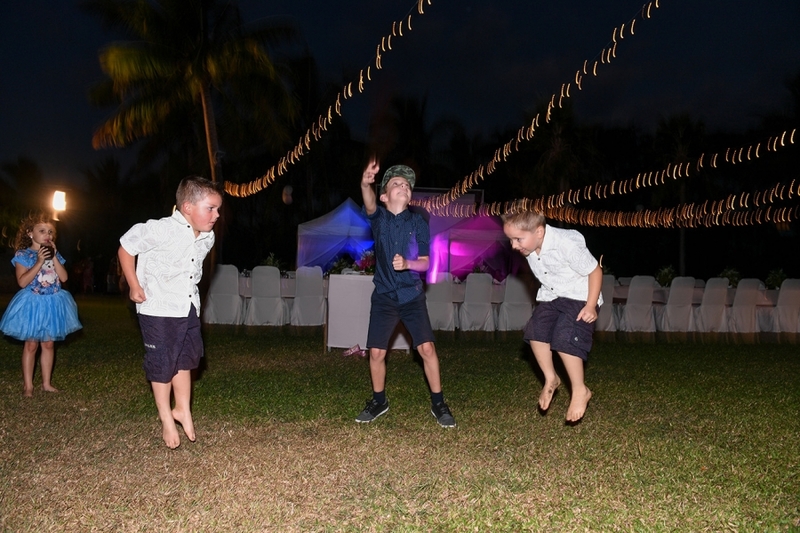 The children could run around while the adult enjoyed the cocktail on a lovely warm tropical weather. 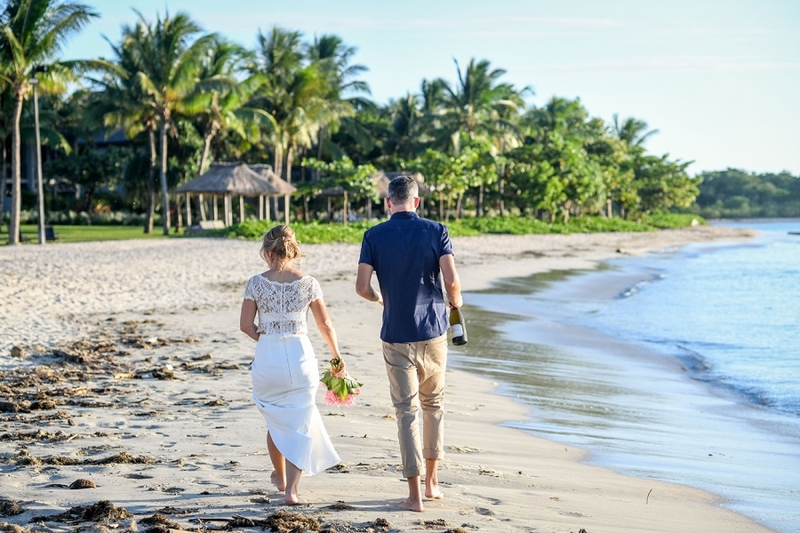 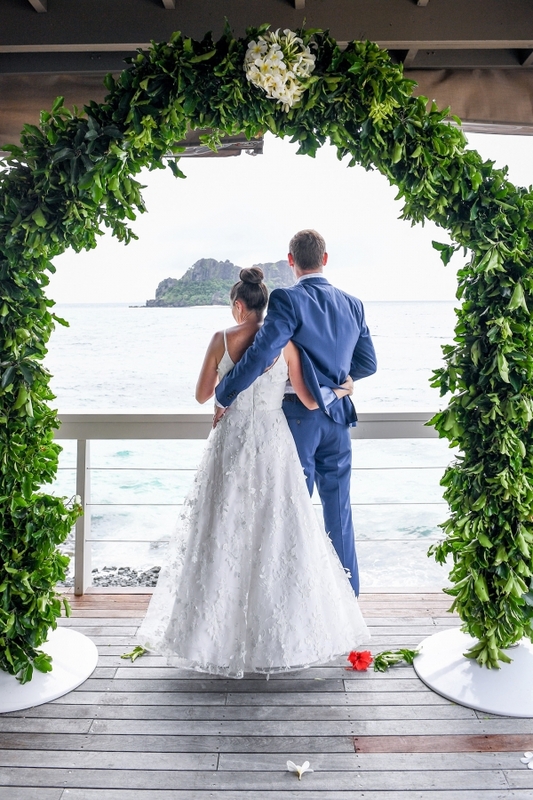 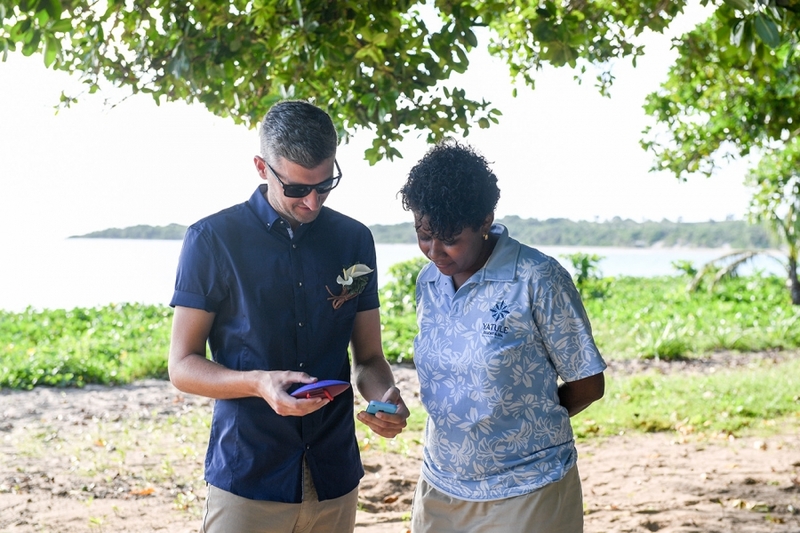 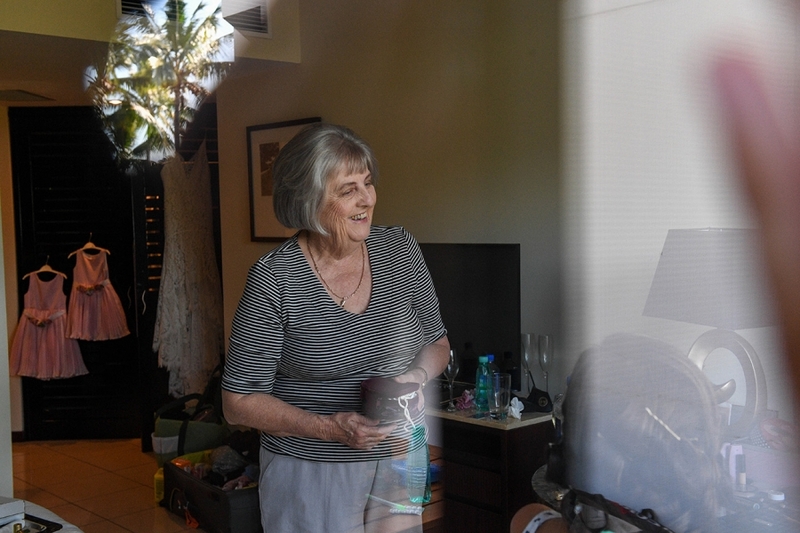 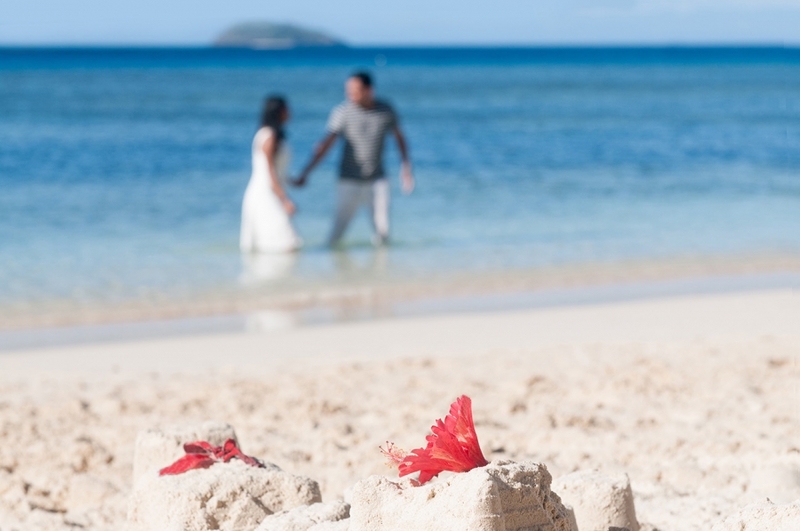 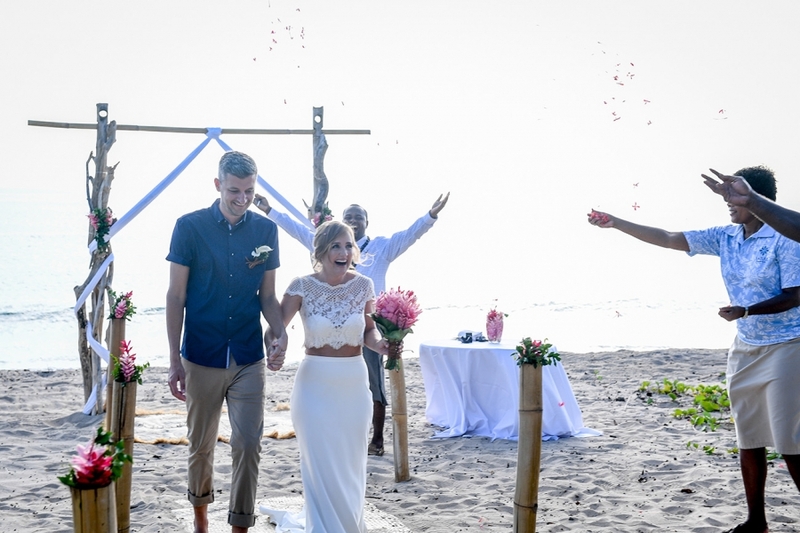 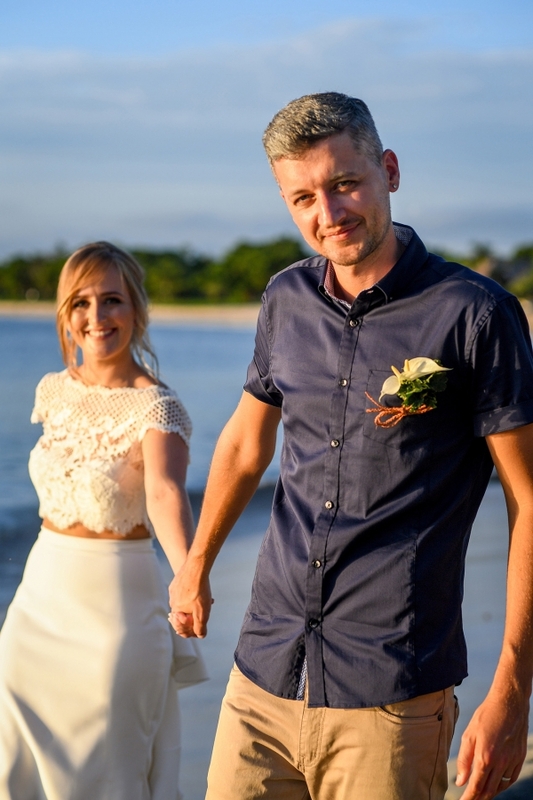 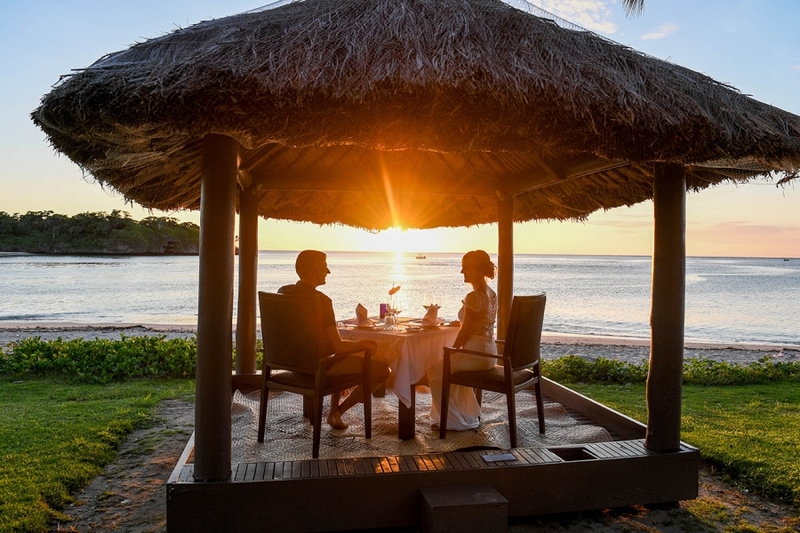 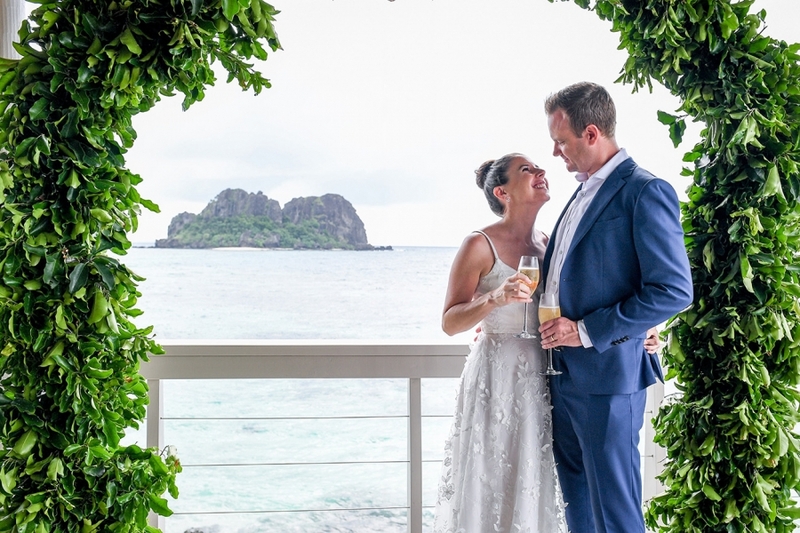 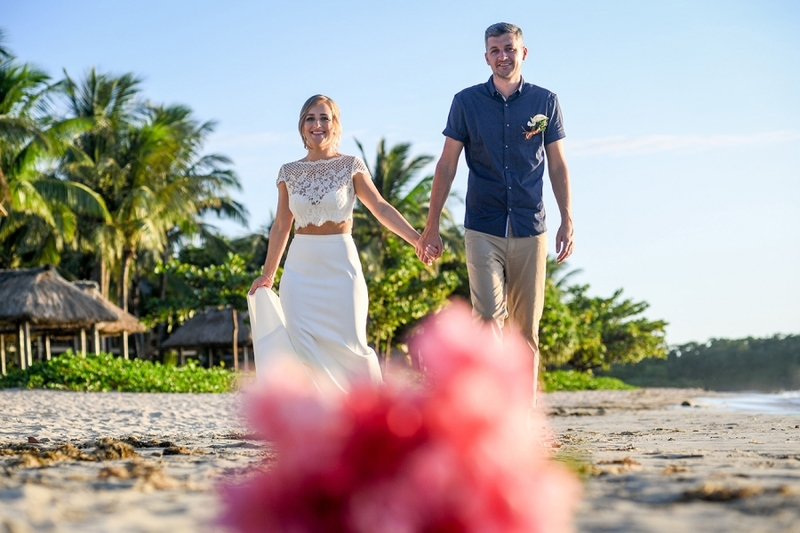 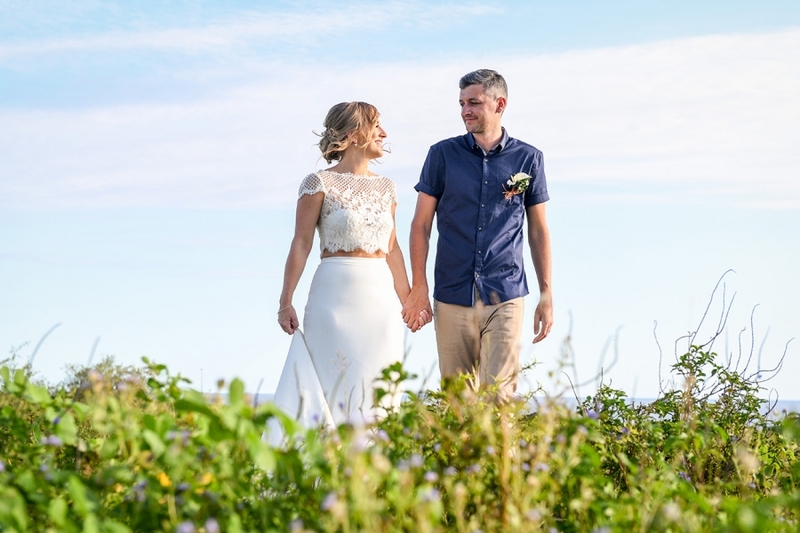 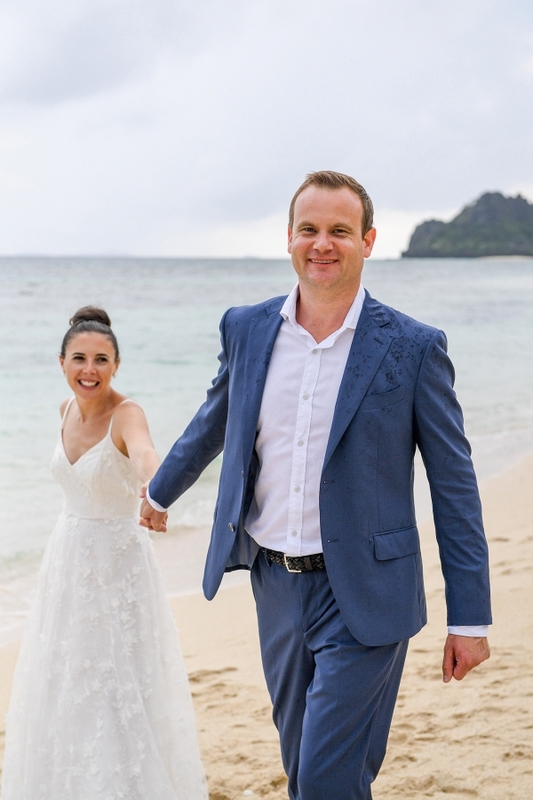 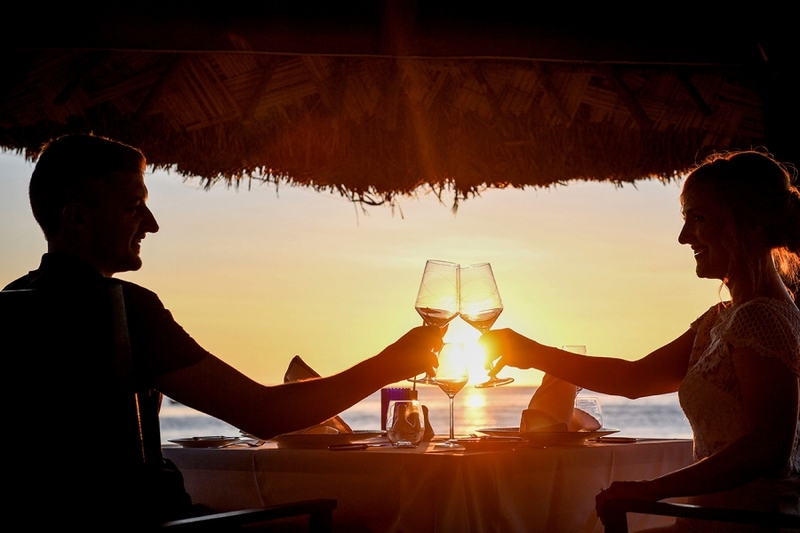 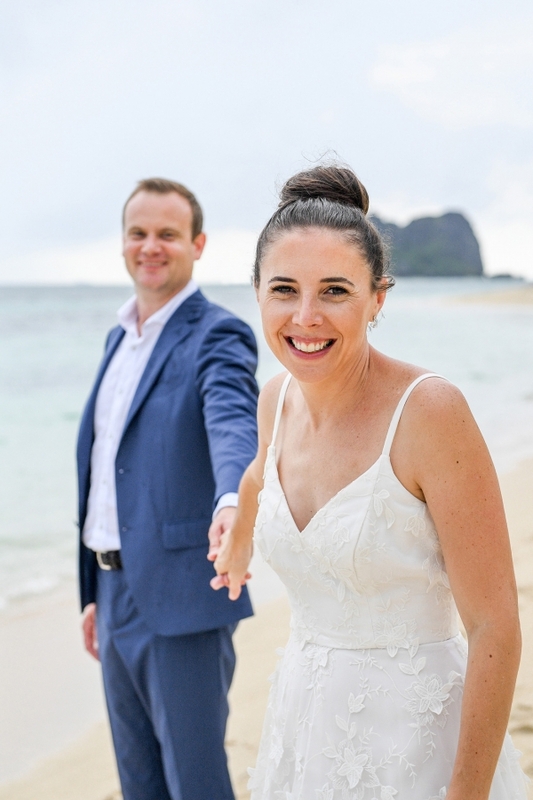 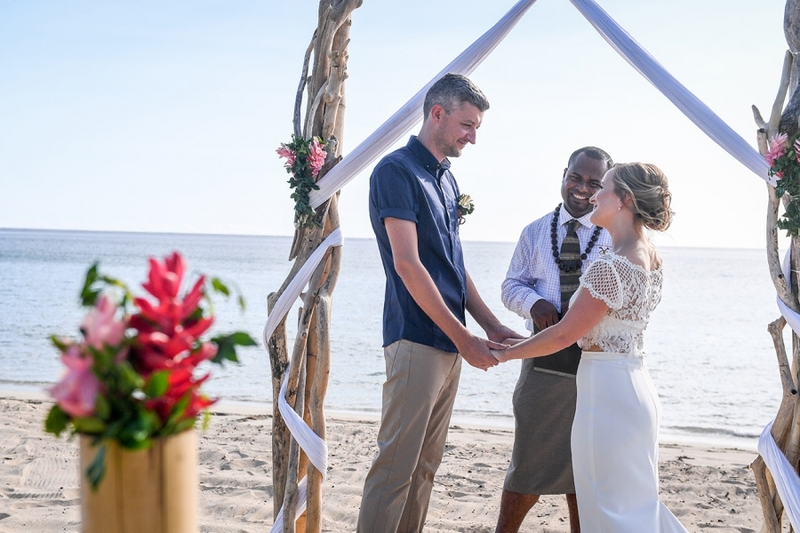 These two love birds decided to elope in Fiji at Natadola beach by the Yatule Resort and the Intercontinental (on the Coral Coast). 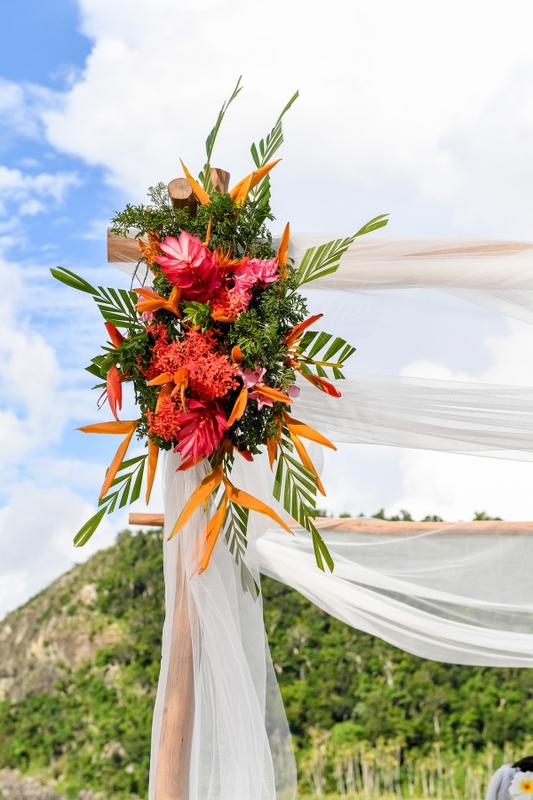 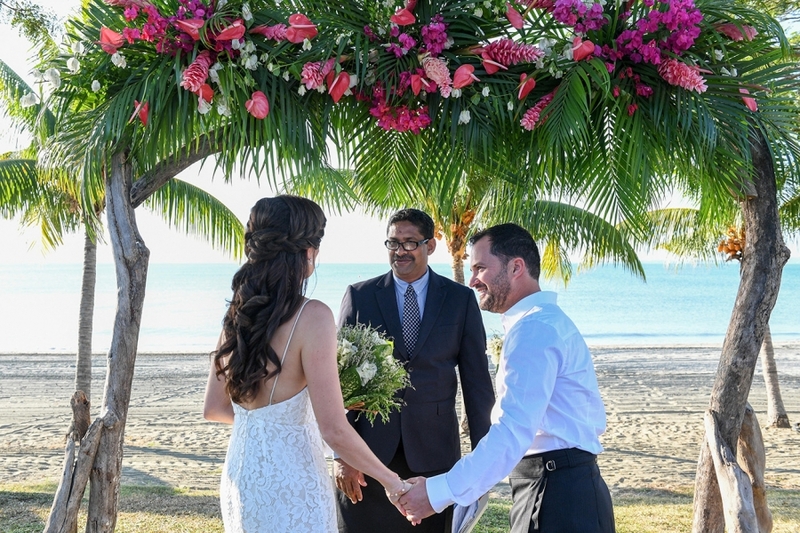 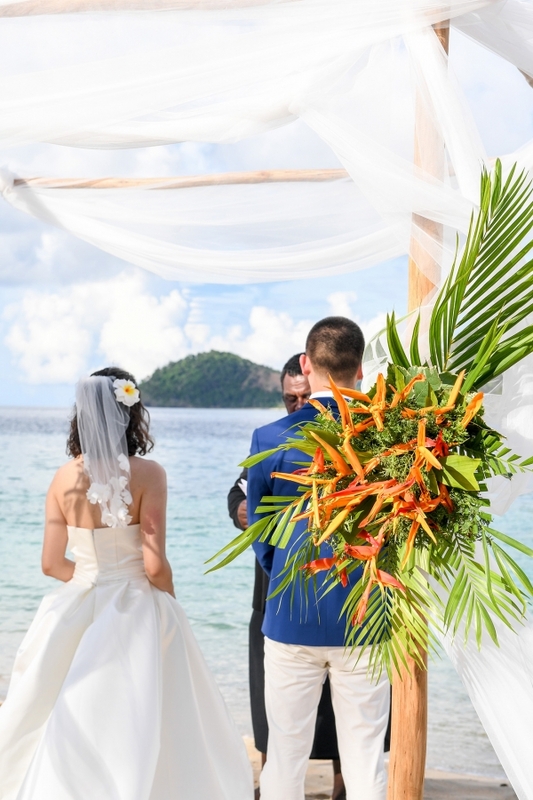 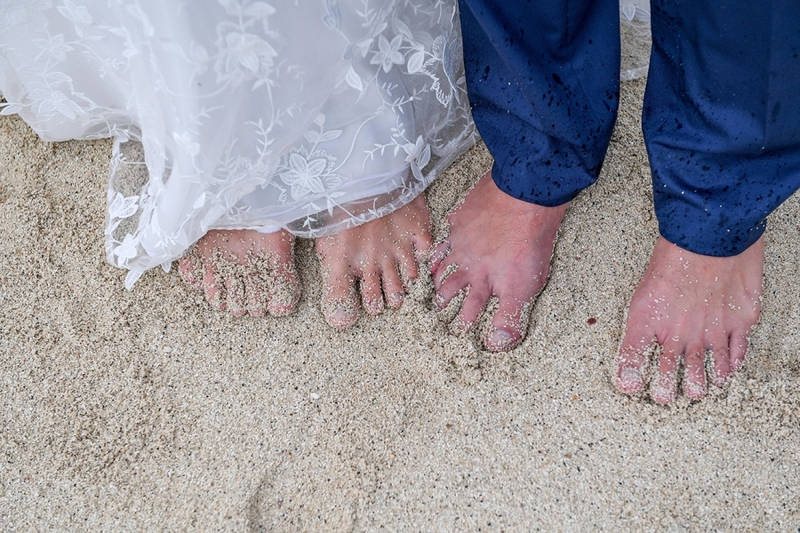 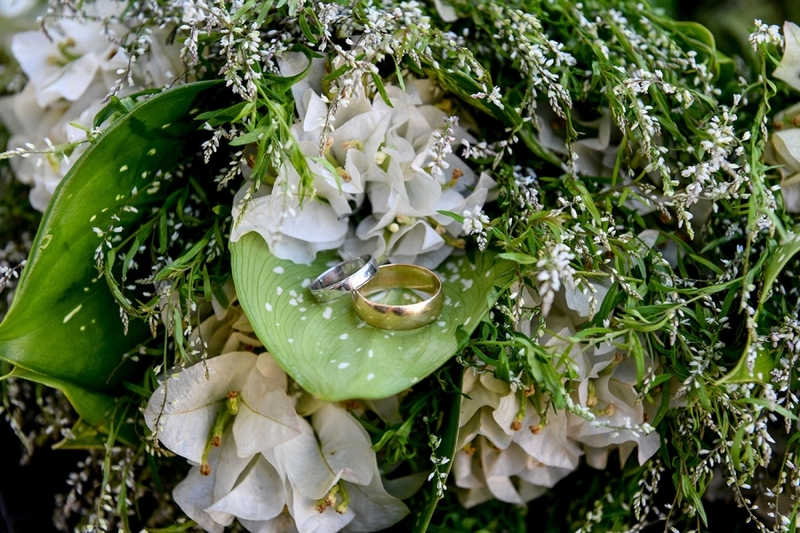 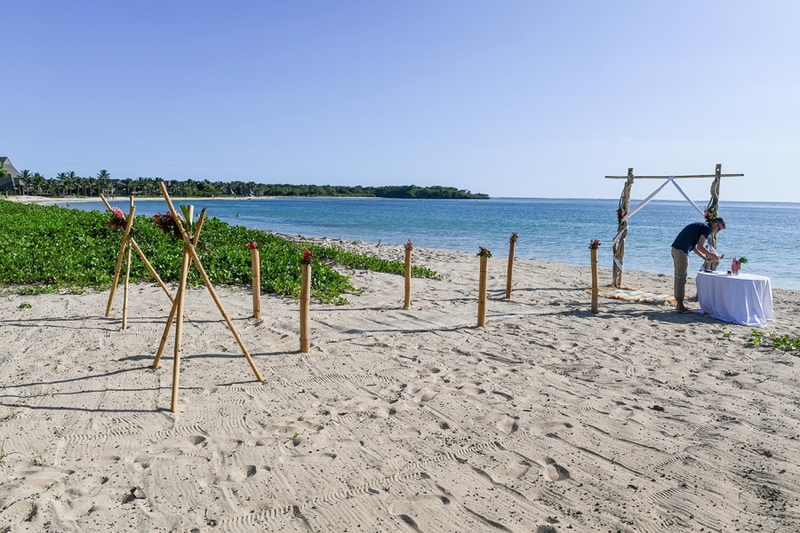 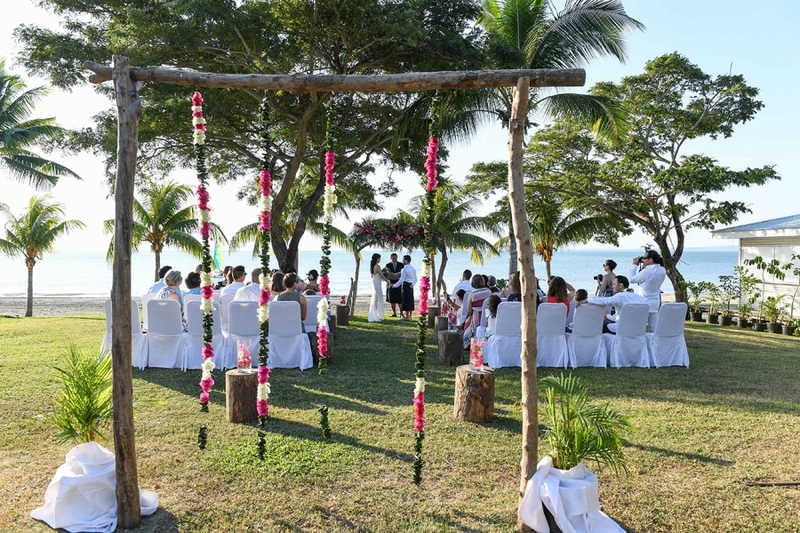 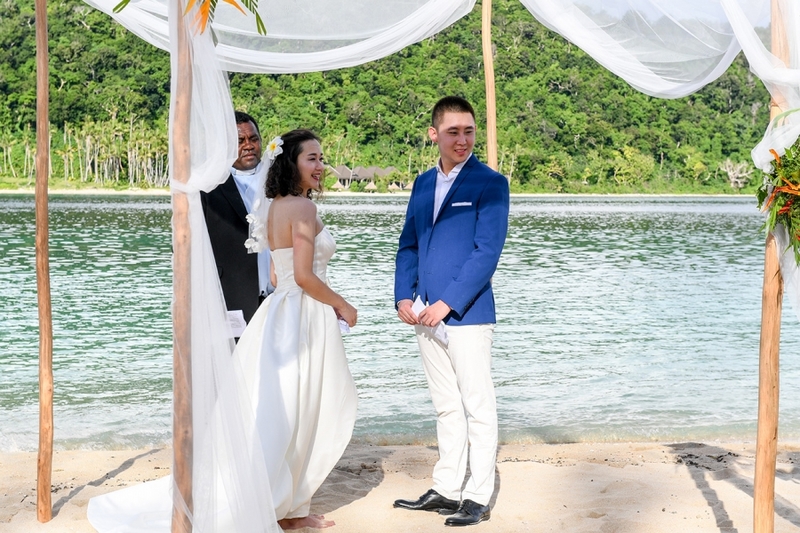 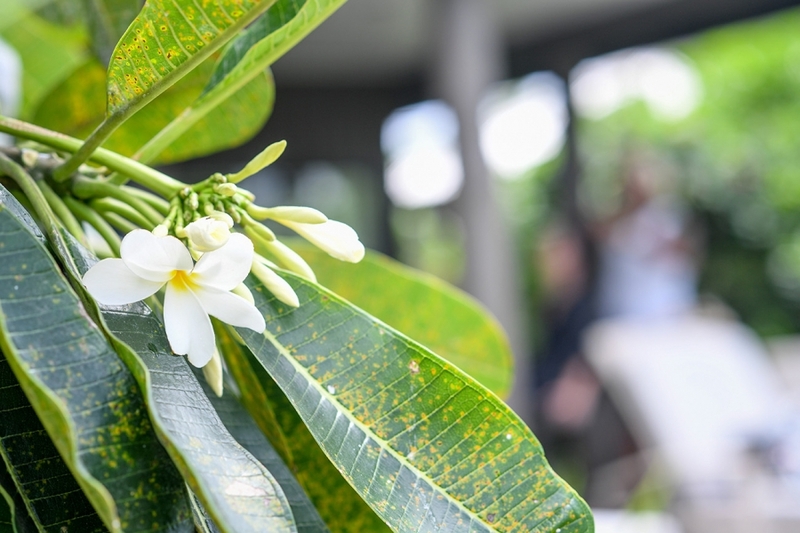 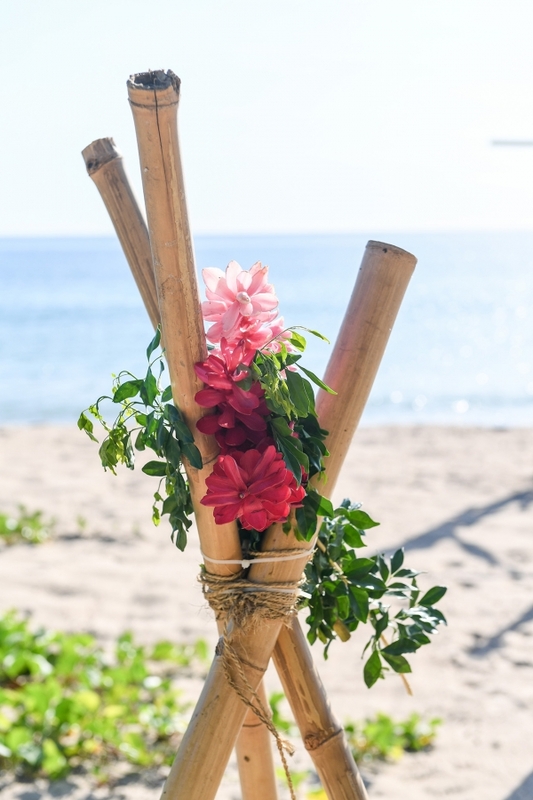 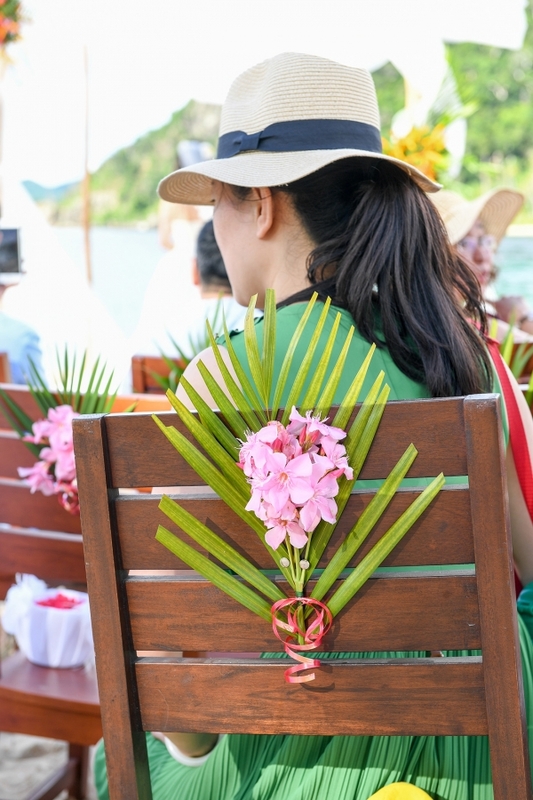 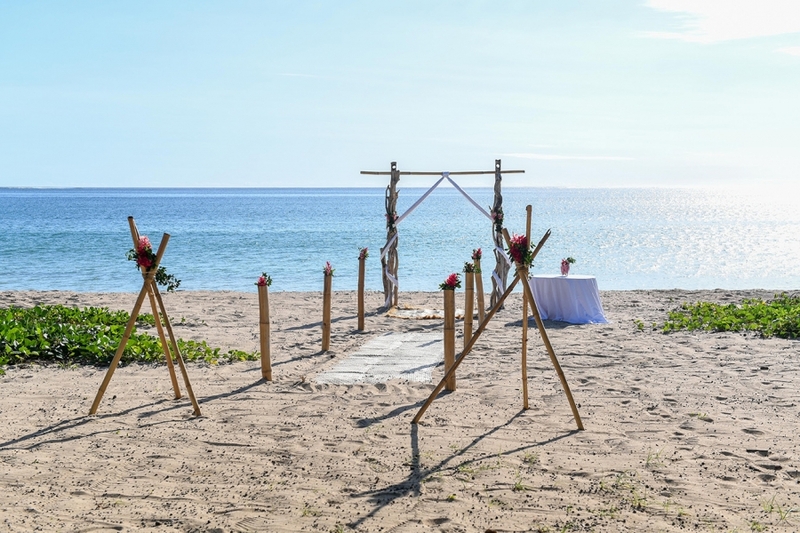 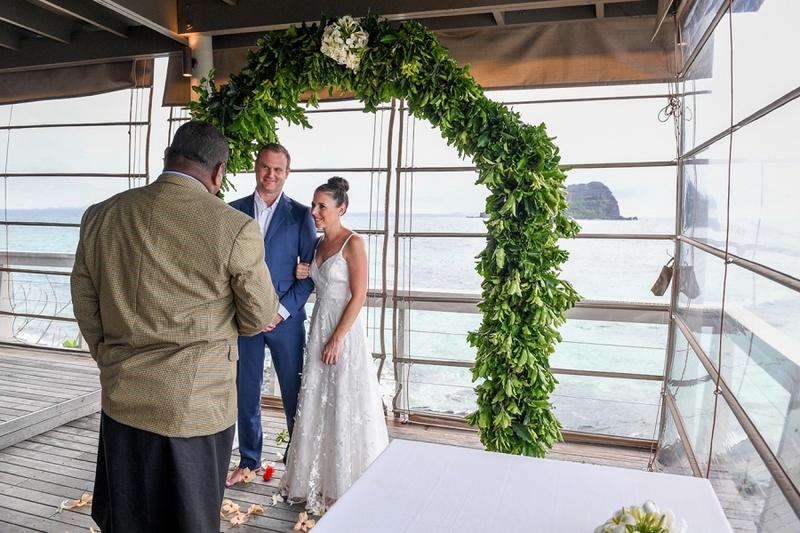 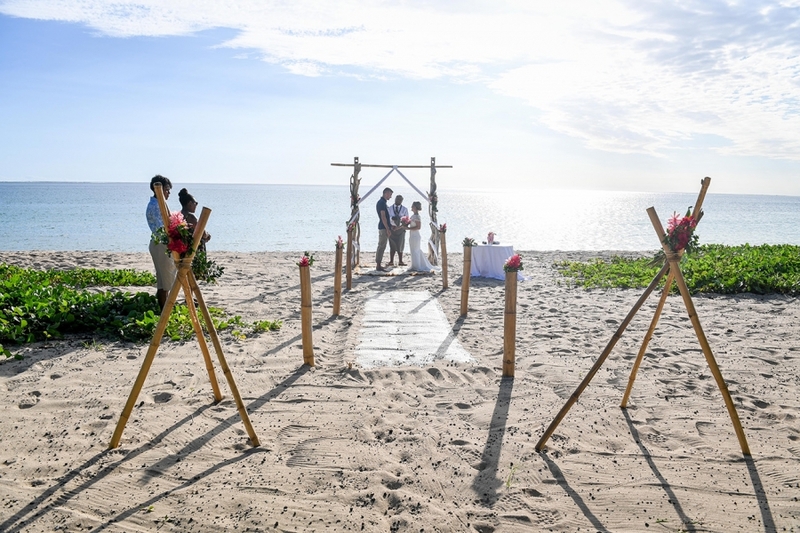 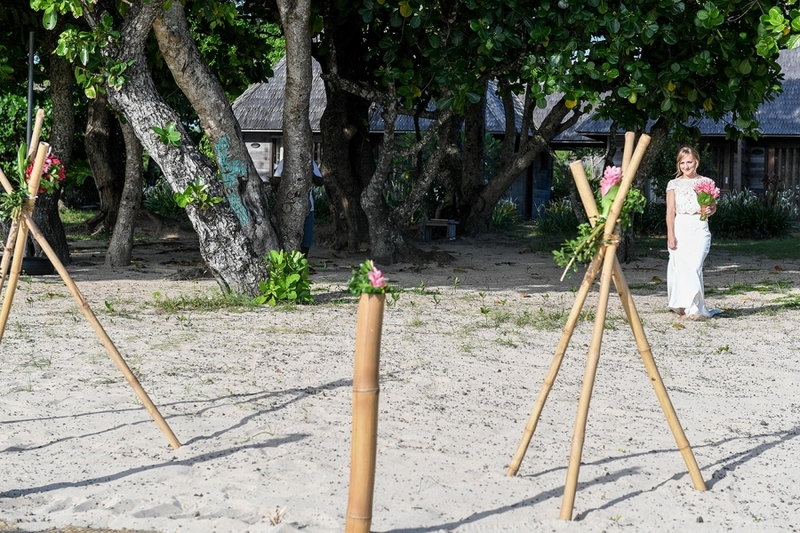 The ceremony was feet in the white sand with a traditional Fijian arch decorated with tropical flowers. 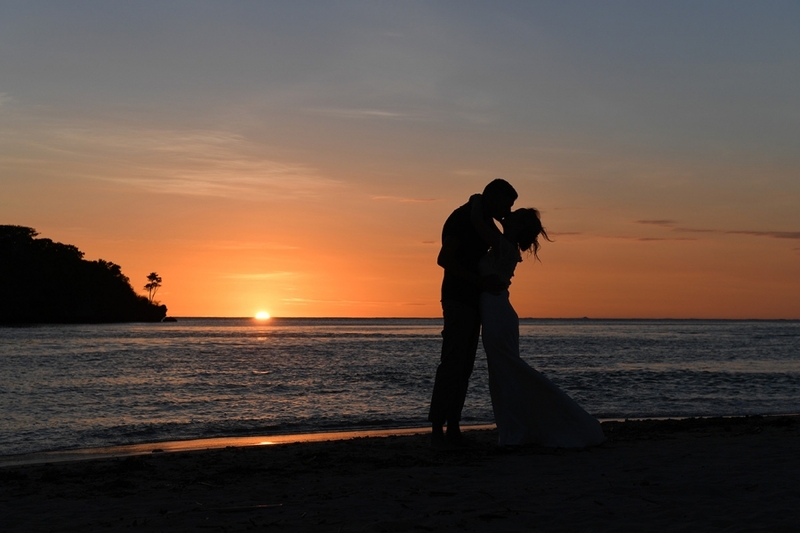 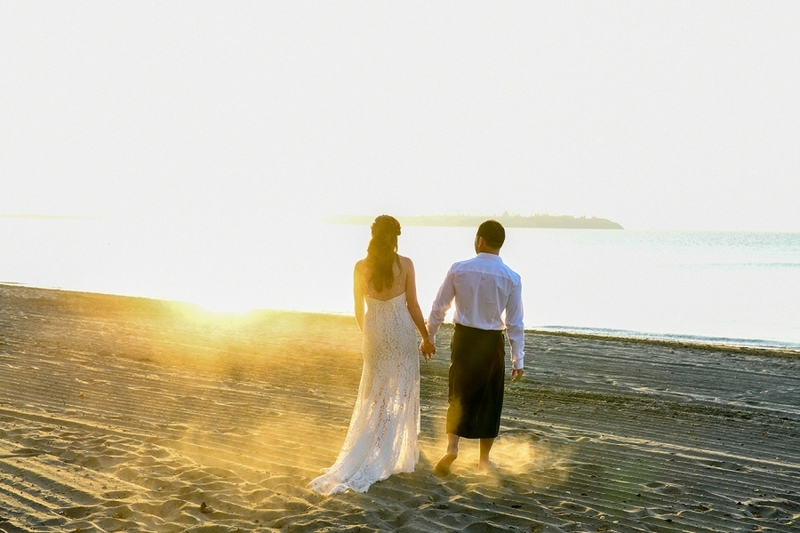 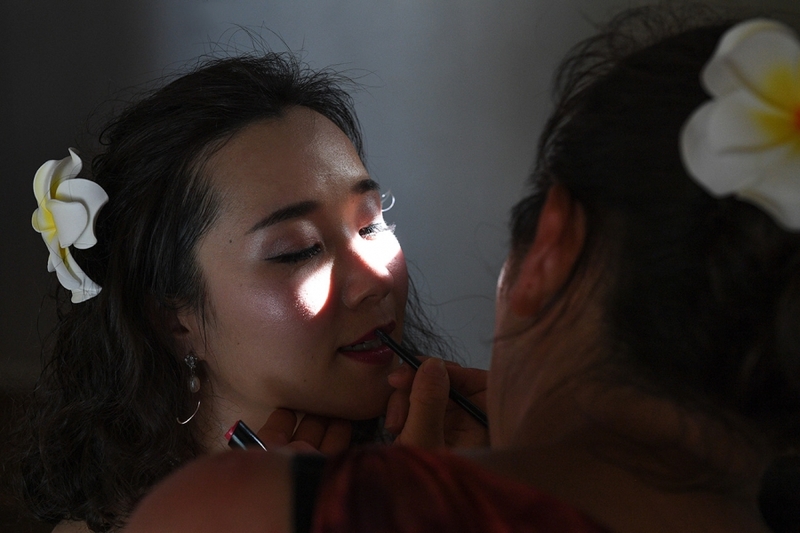 Their wedding was magic with a sensational sunset. 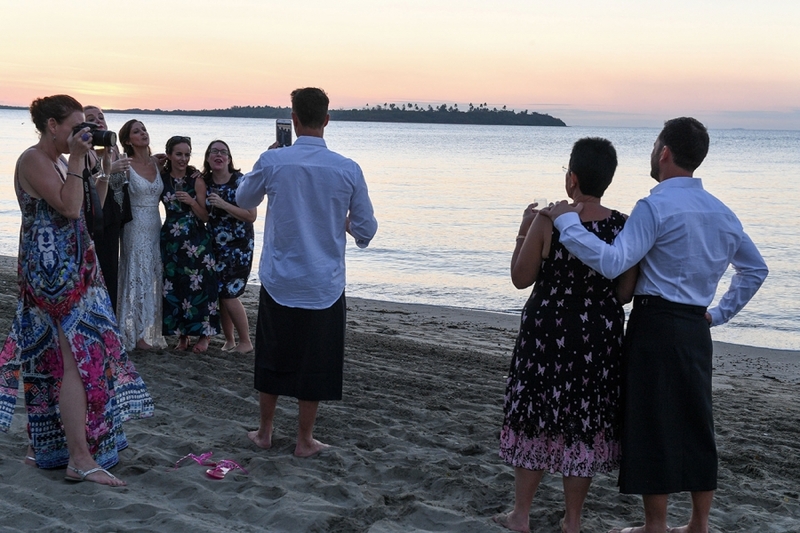 These images are the ones they took hoe to share with their friends on the next weekend to celebrate their union in Australia but without the ceremony. 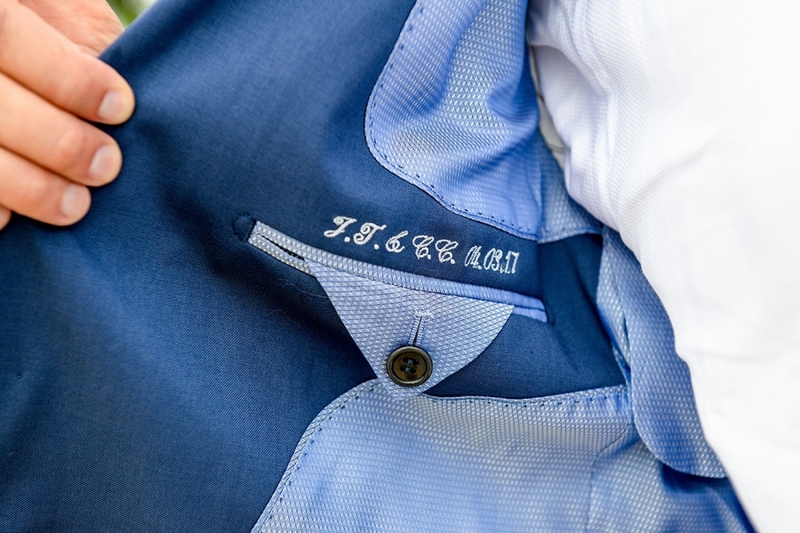 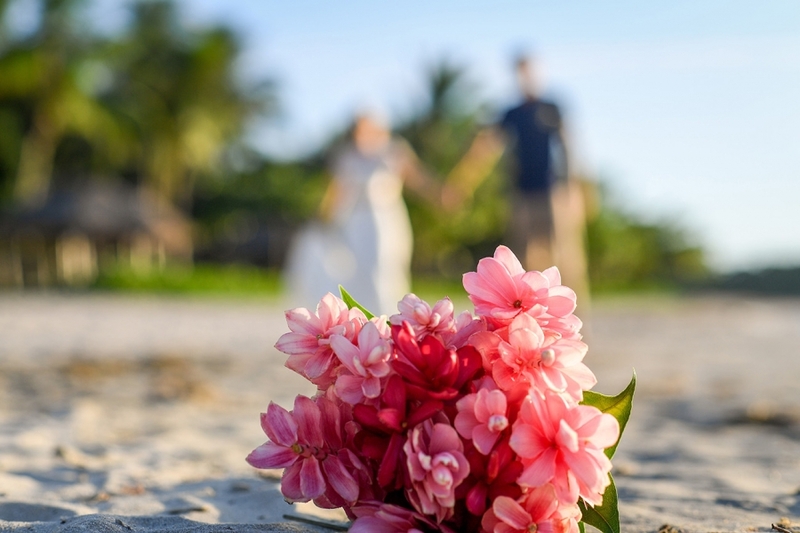 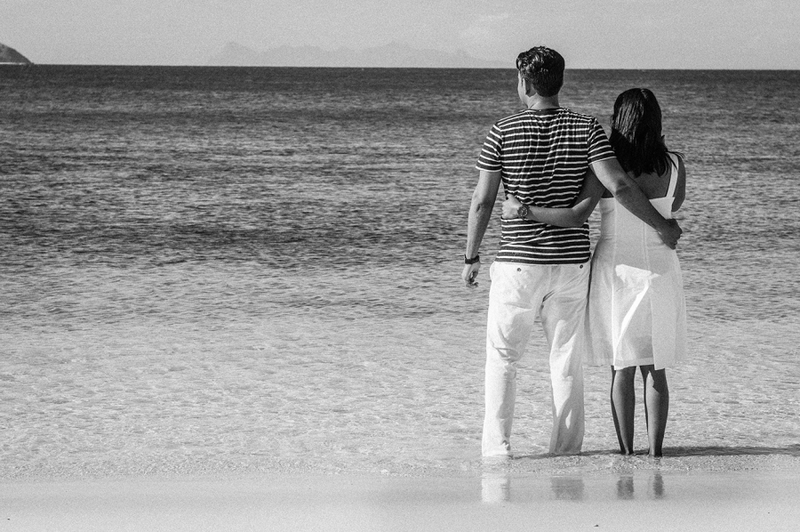 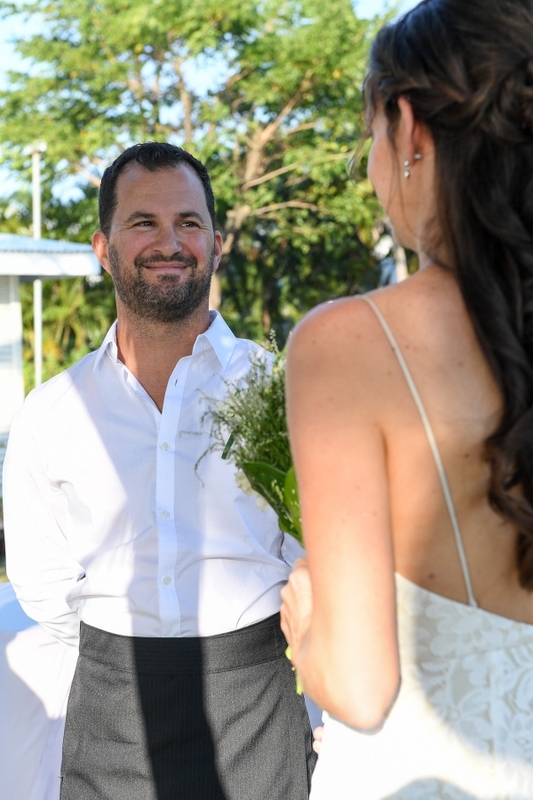 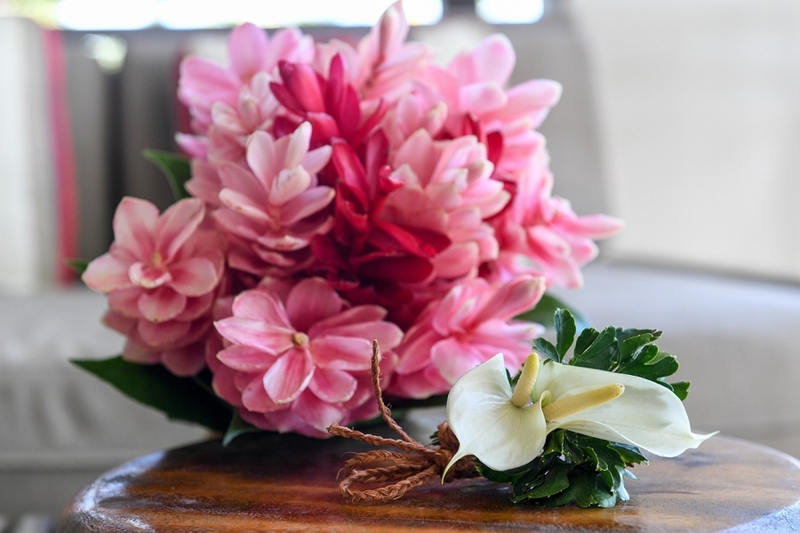 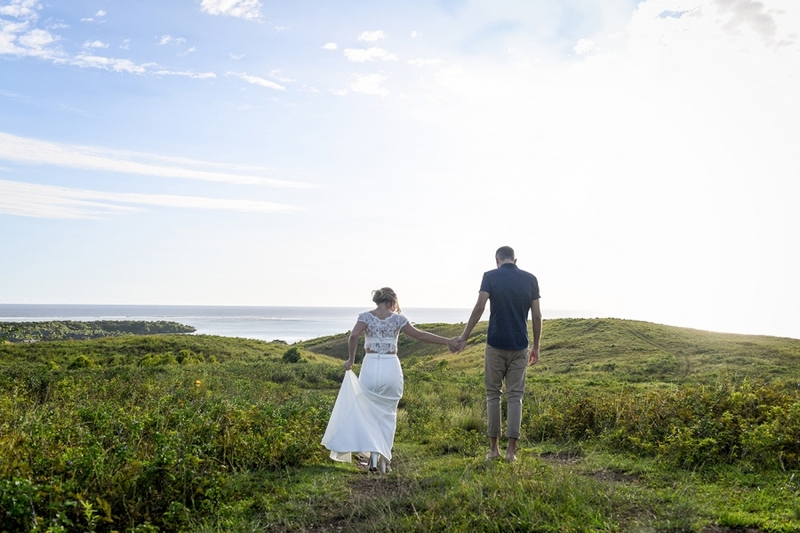 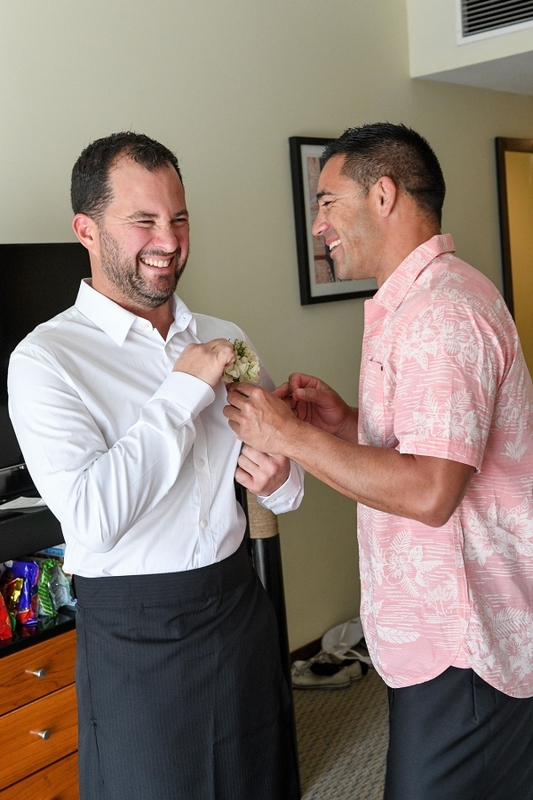 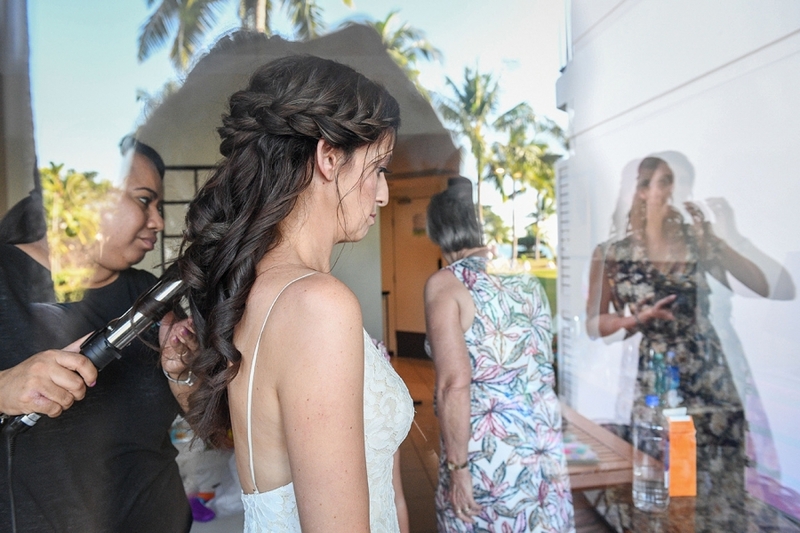 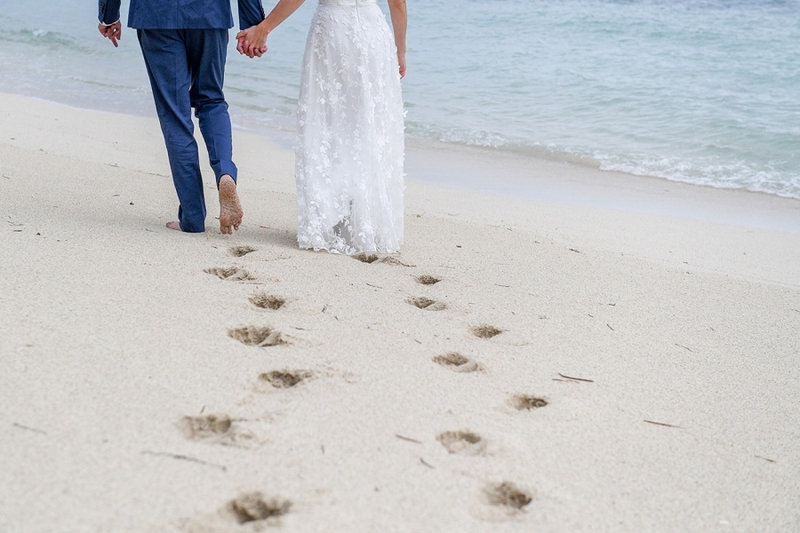 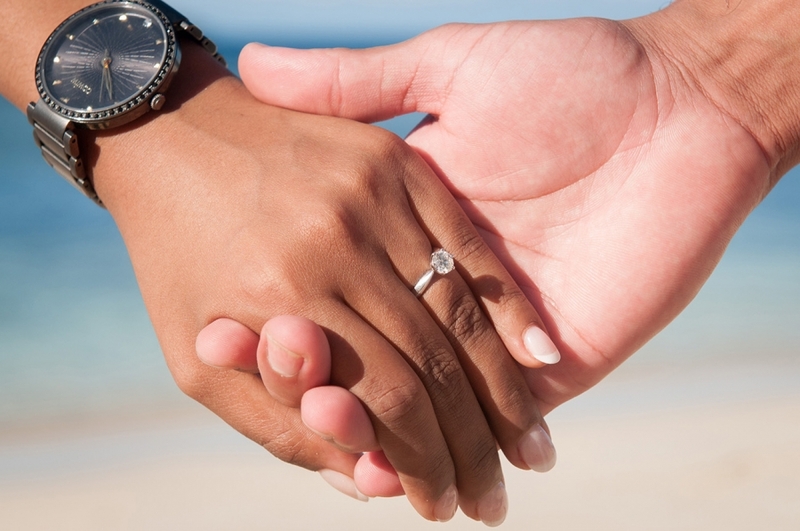 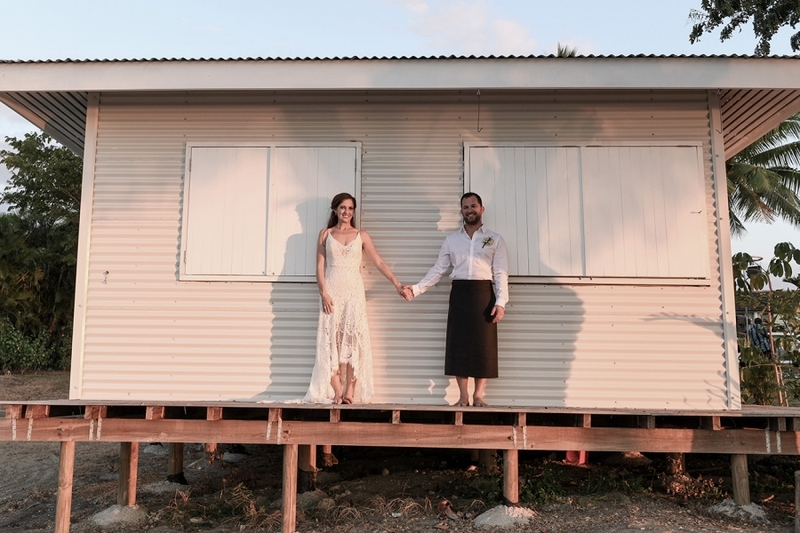 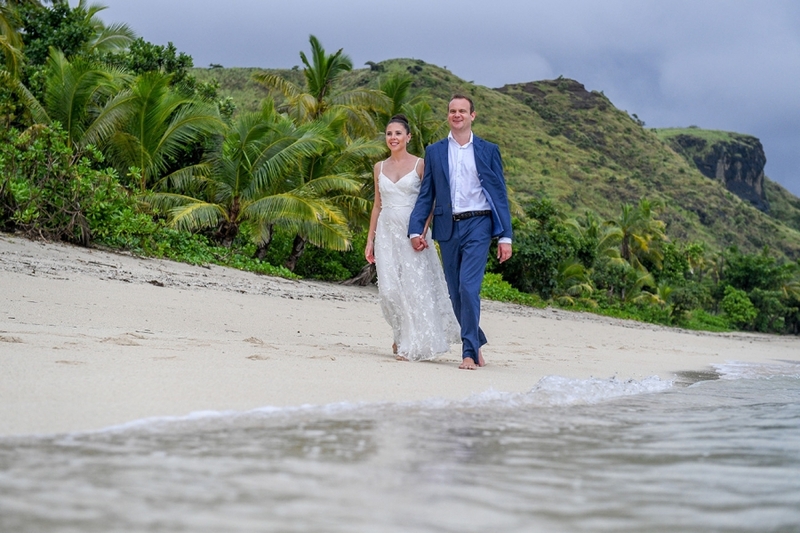 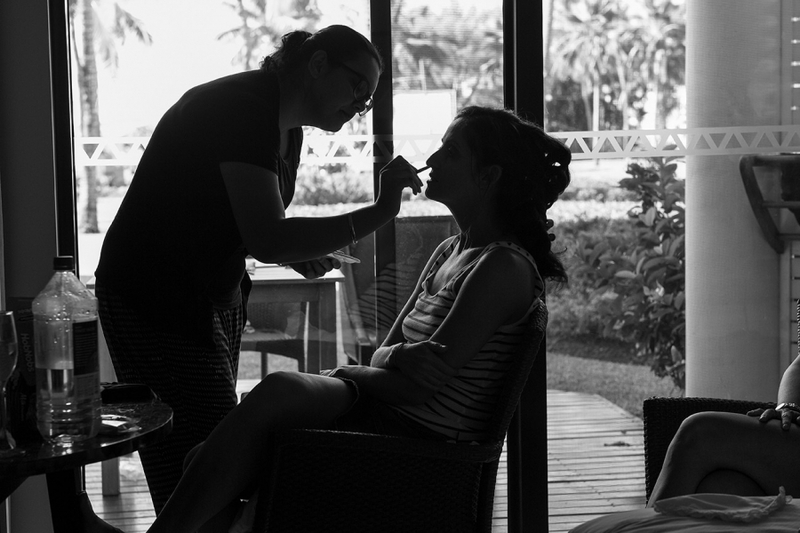 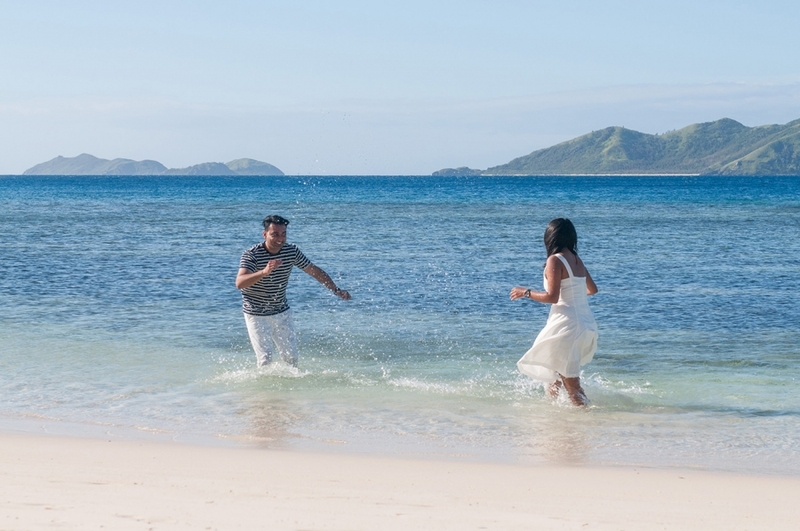 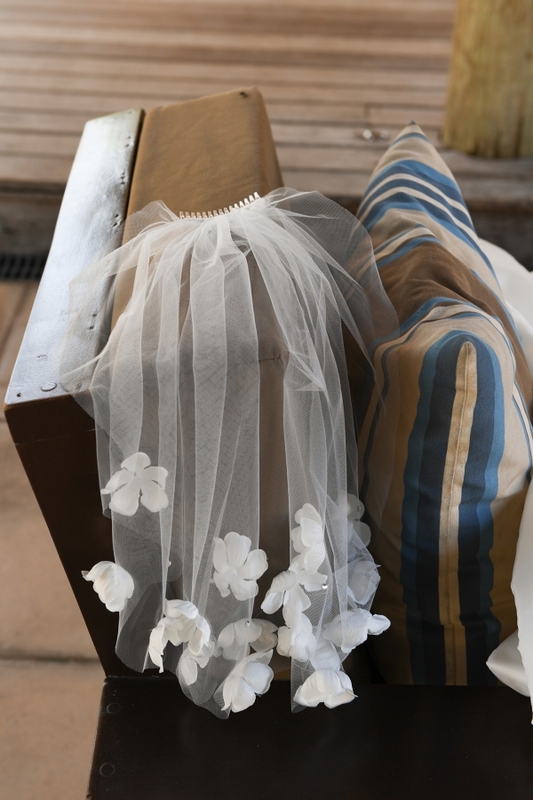 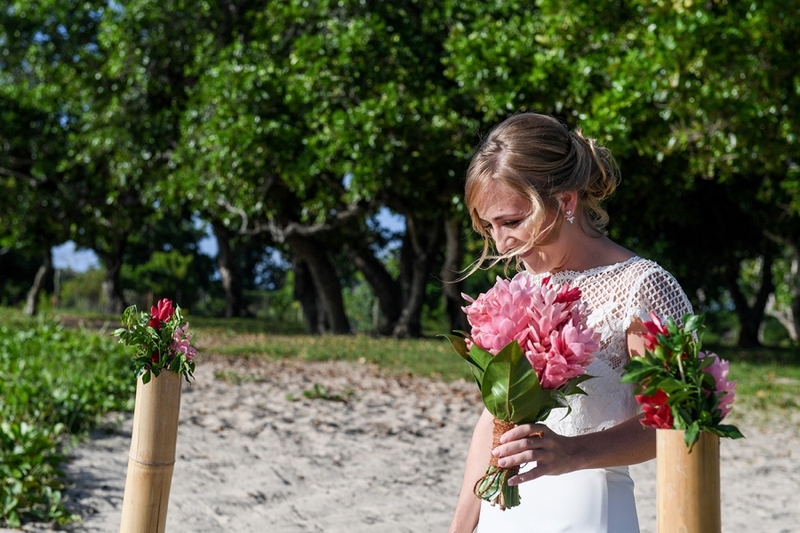 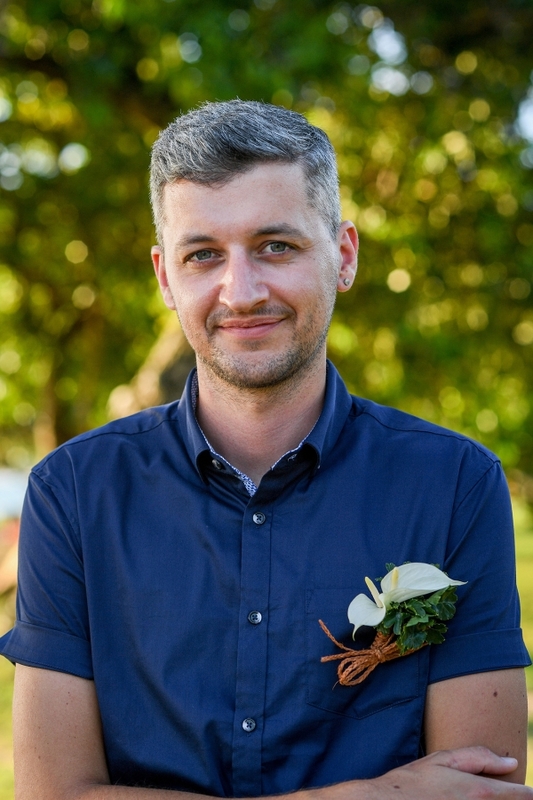 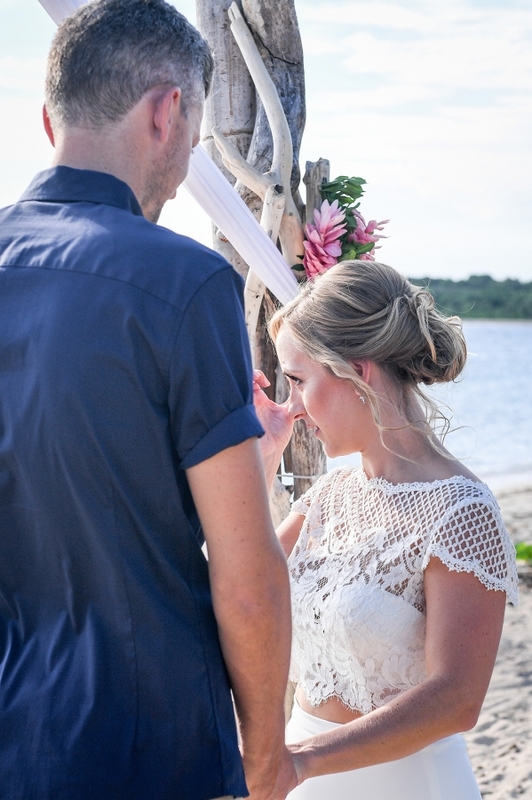 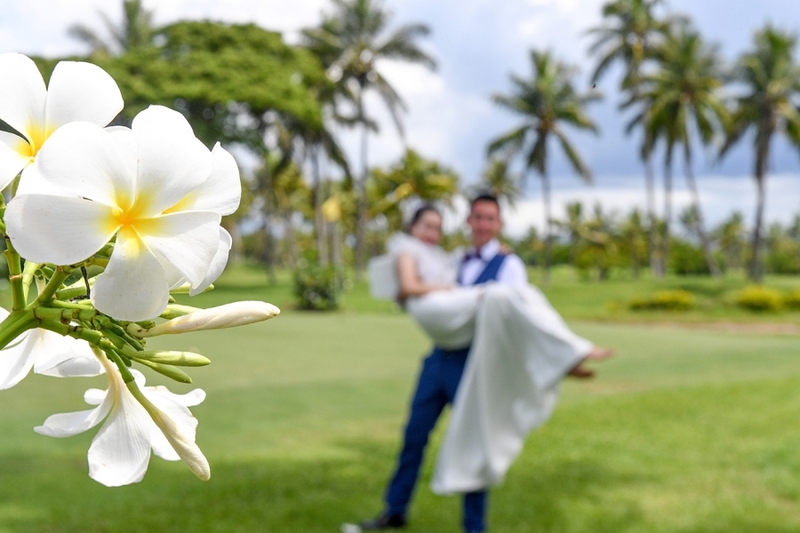 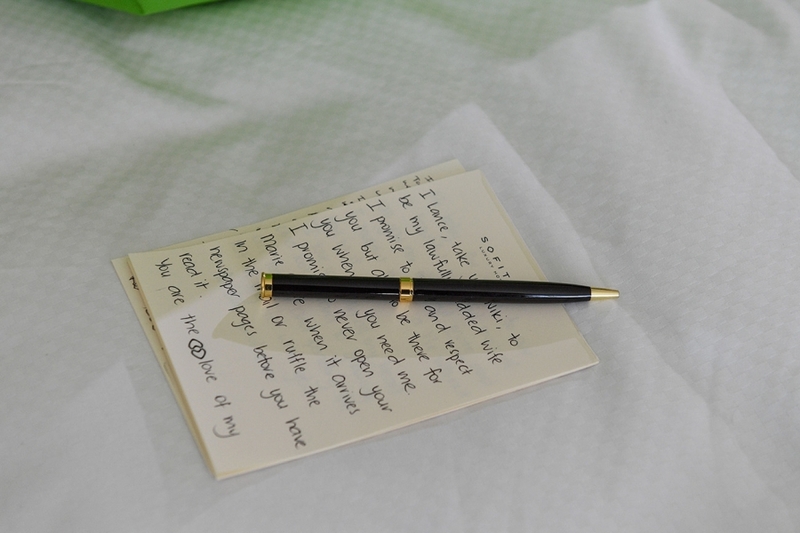 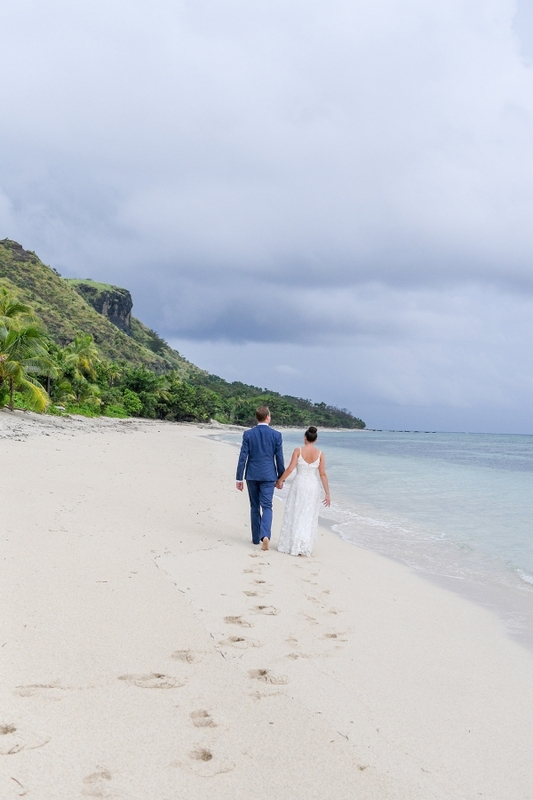 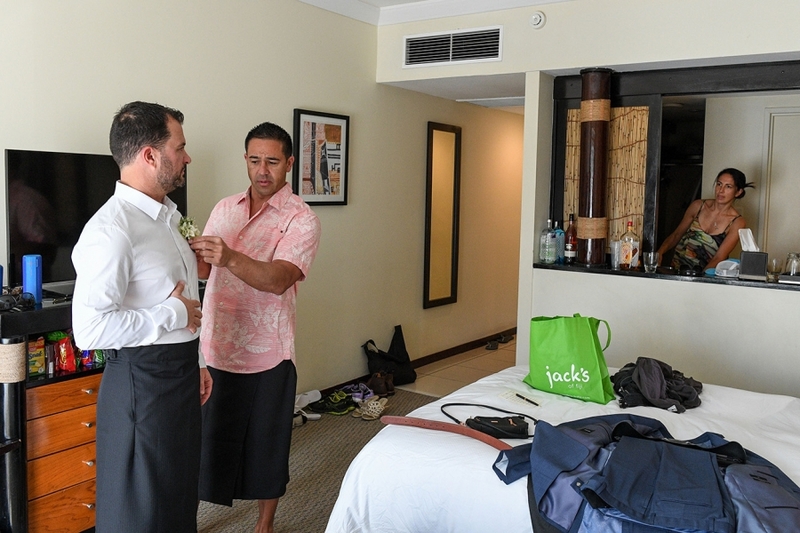 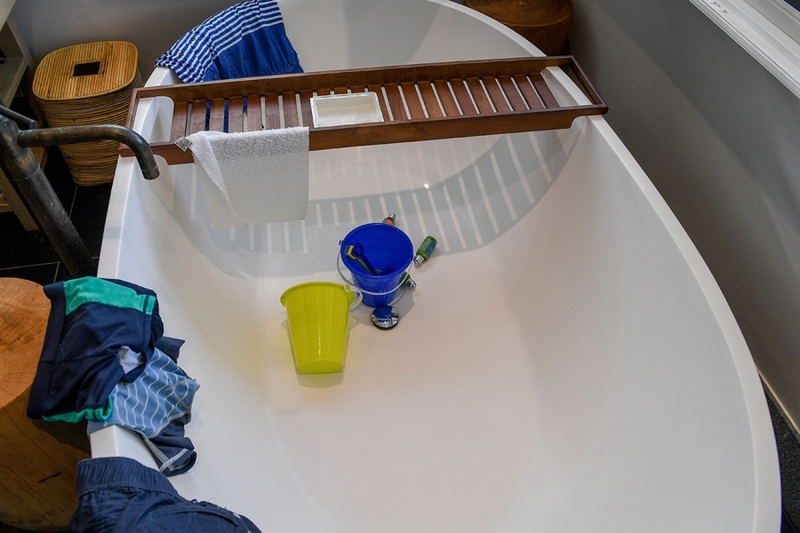 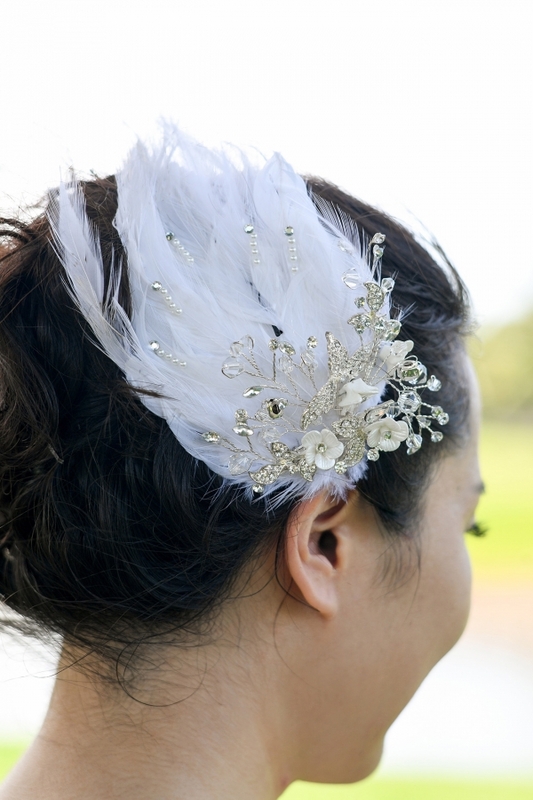 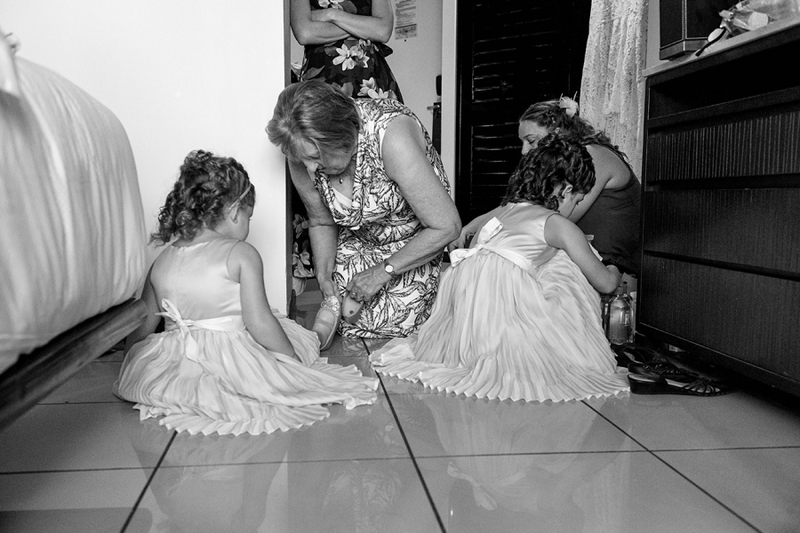 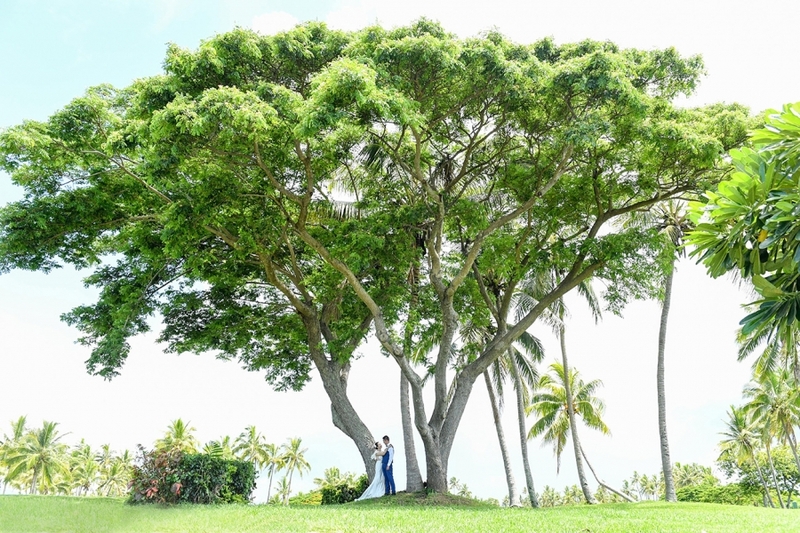 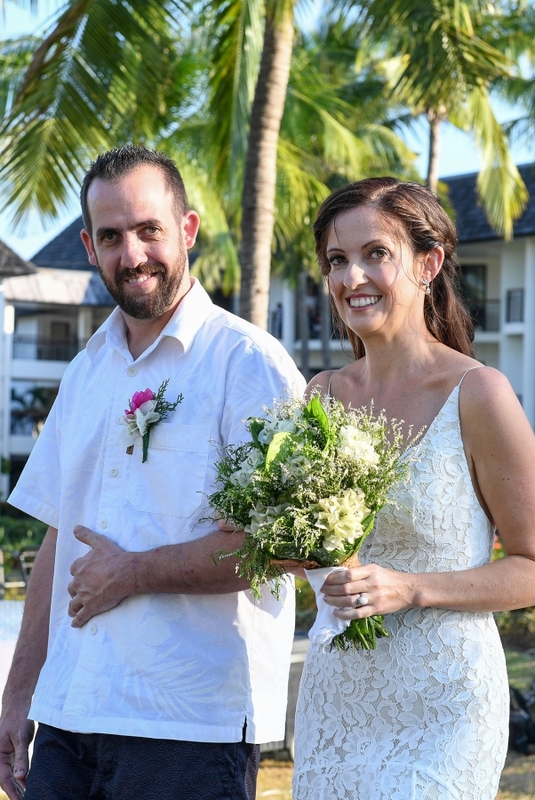 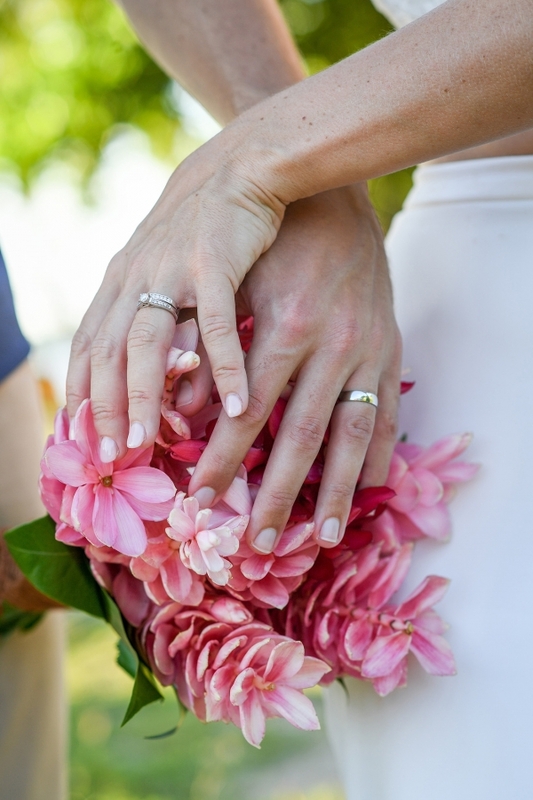 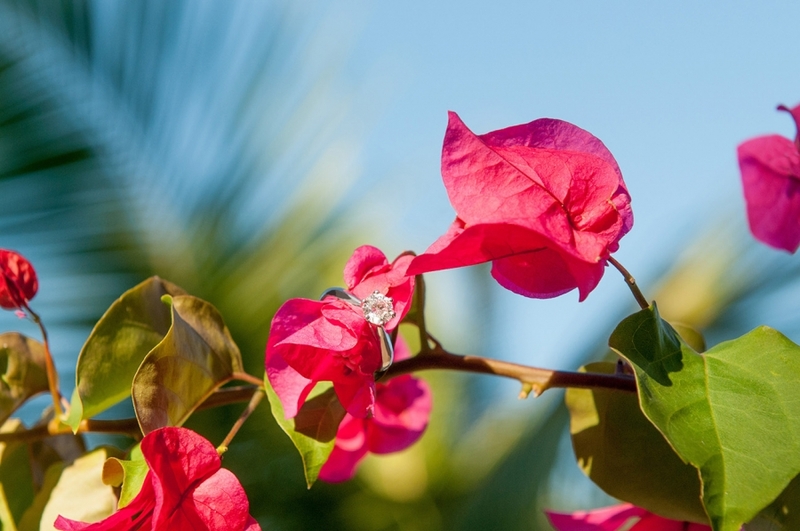 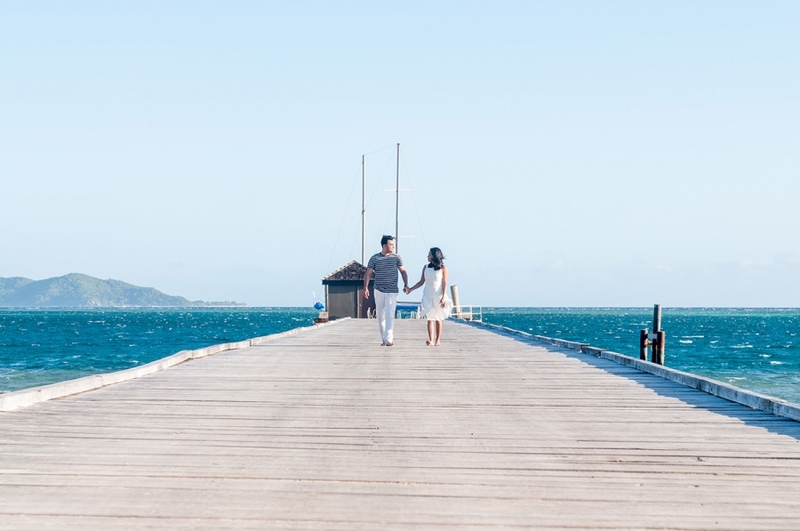 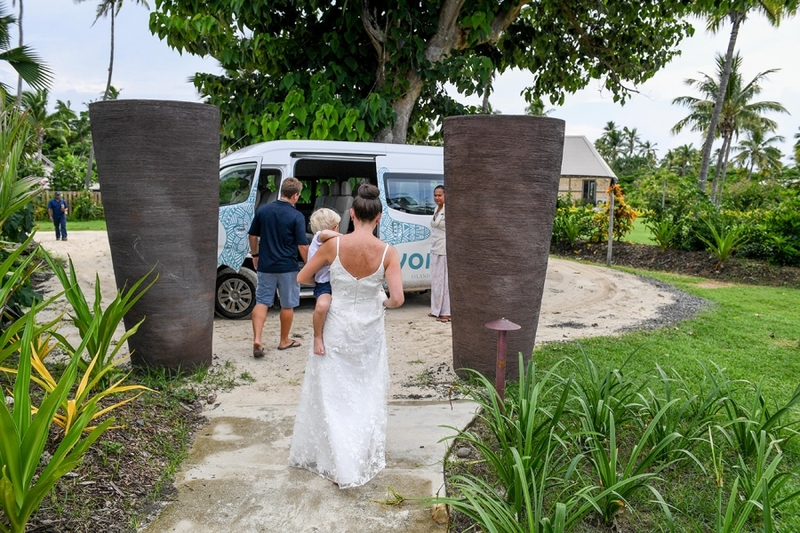 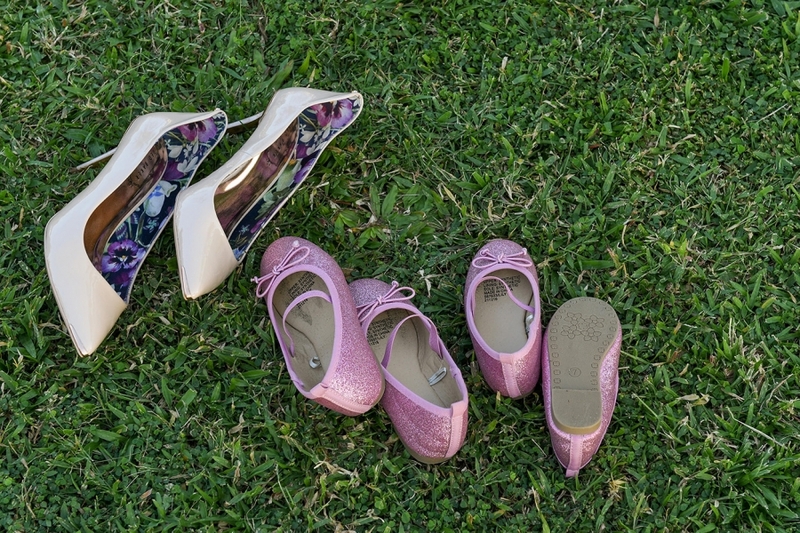 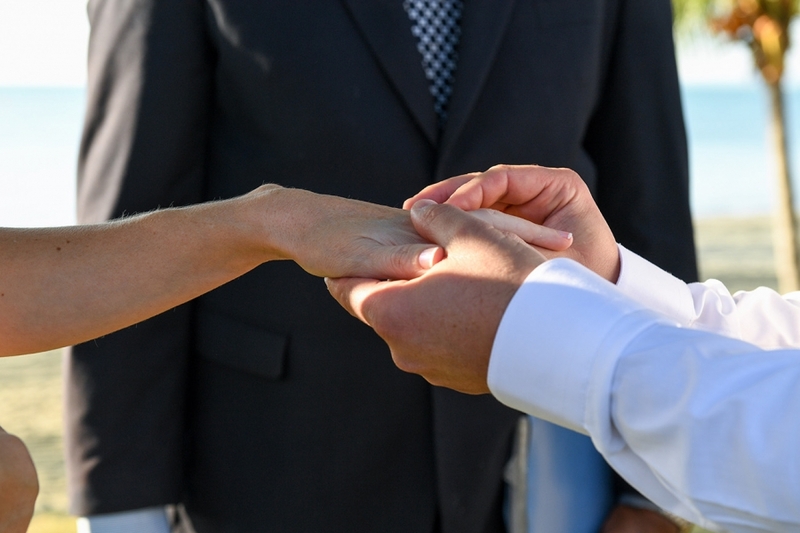 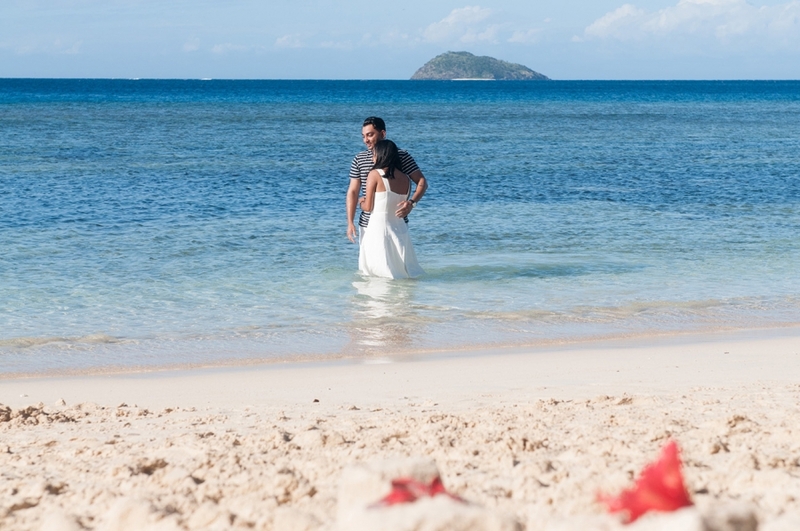 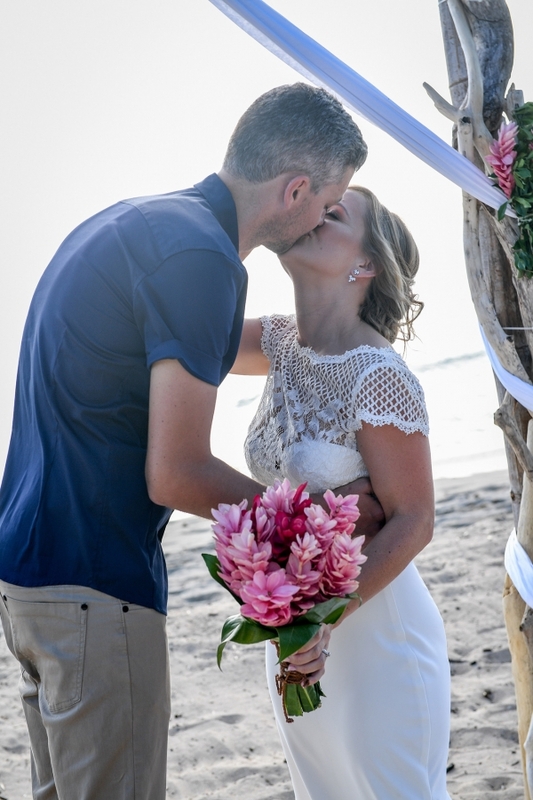 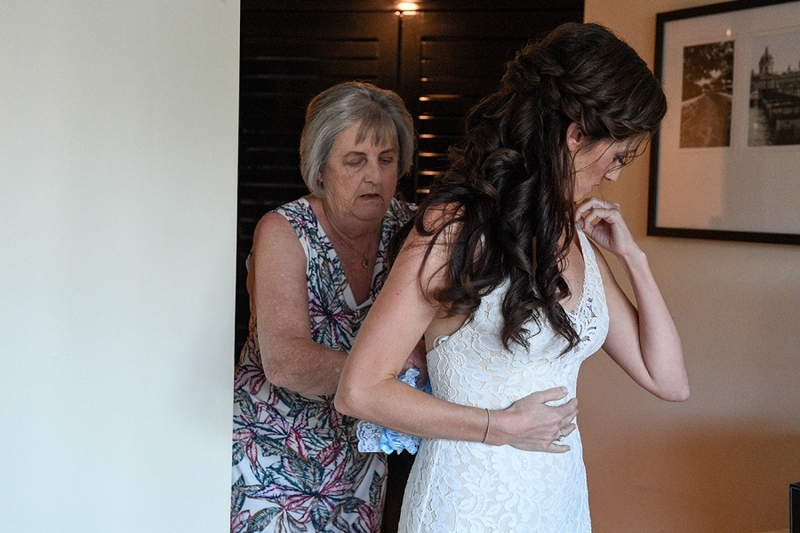 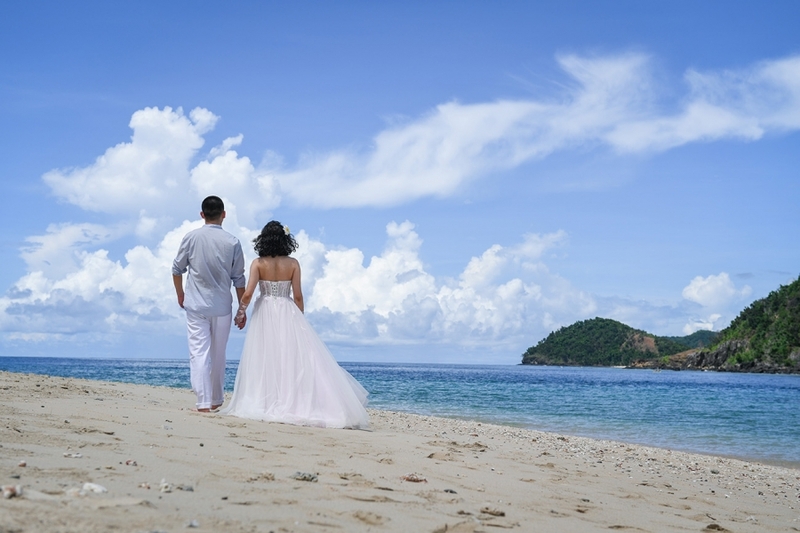 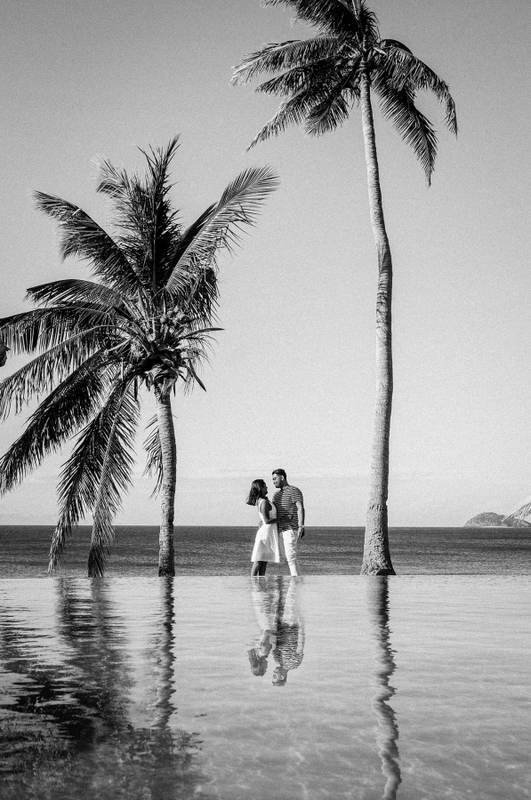 Here is a beautiful elopement at the family resort on the island of Vomo in the Fiji islands. 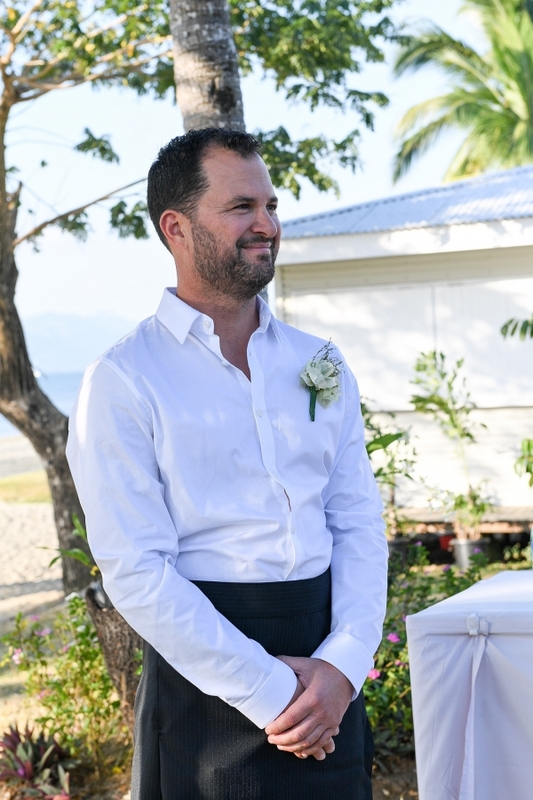 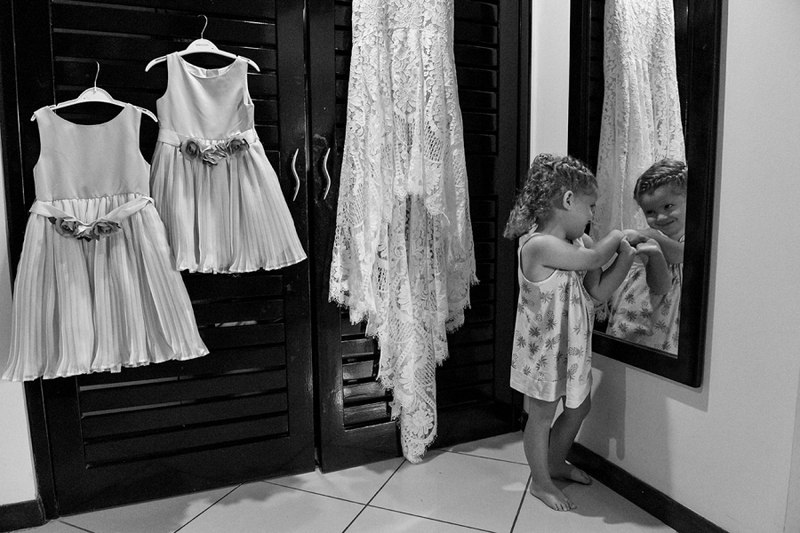 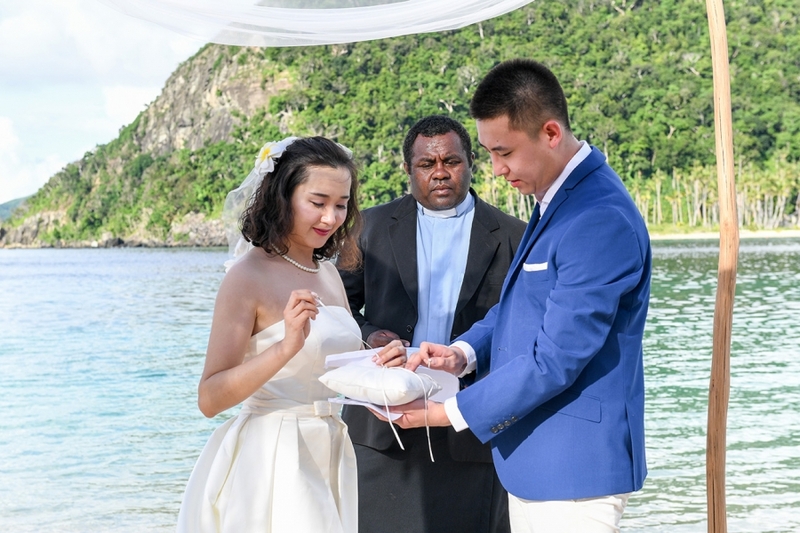 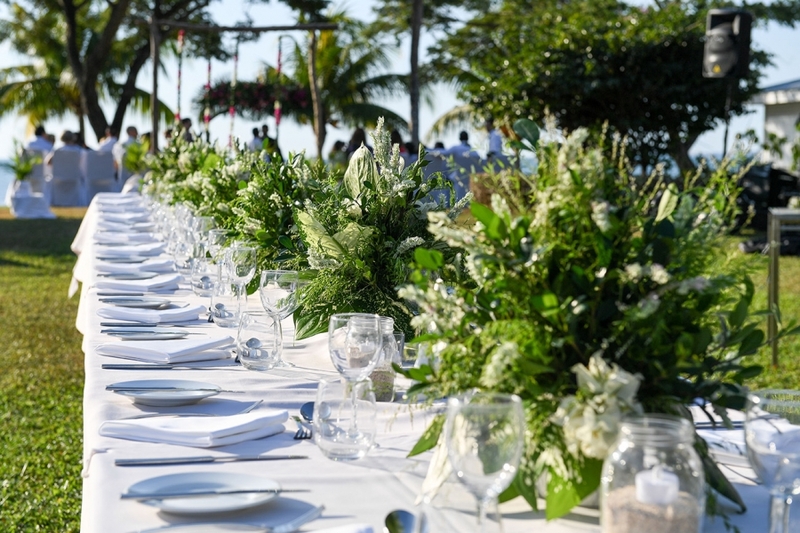 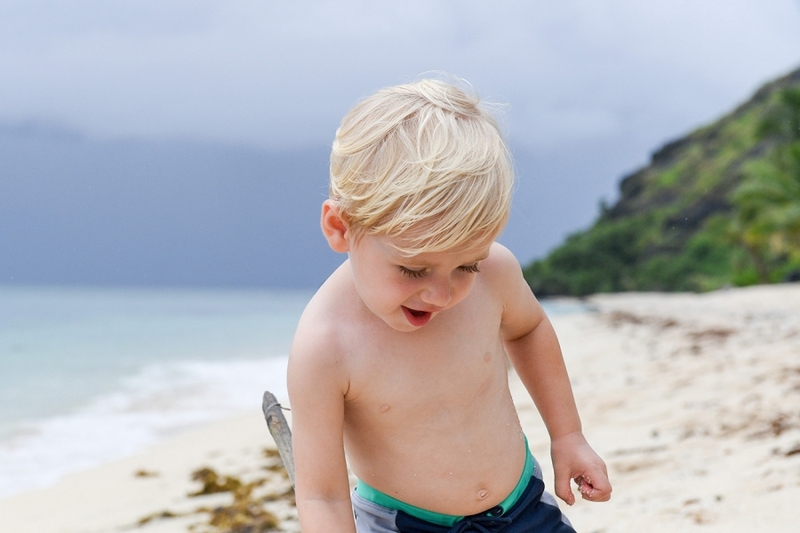 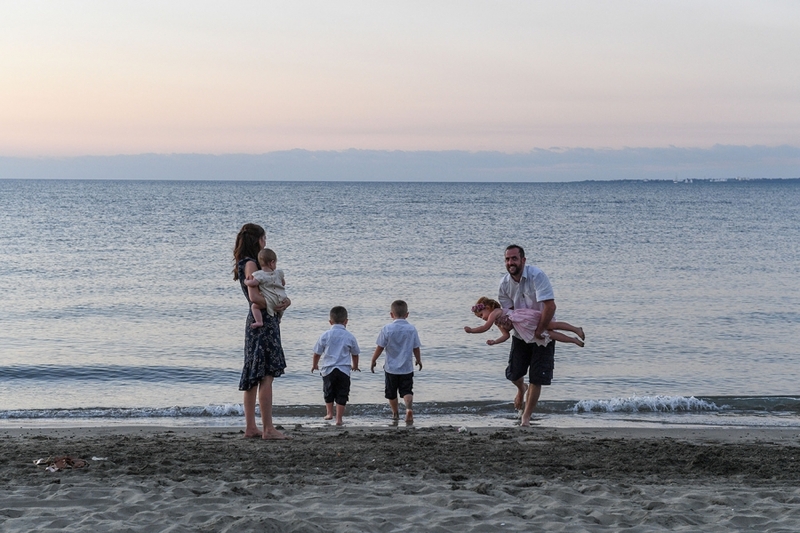 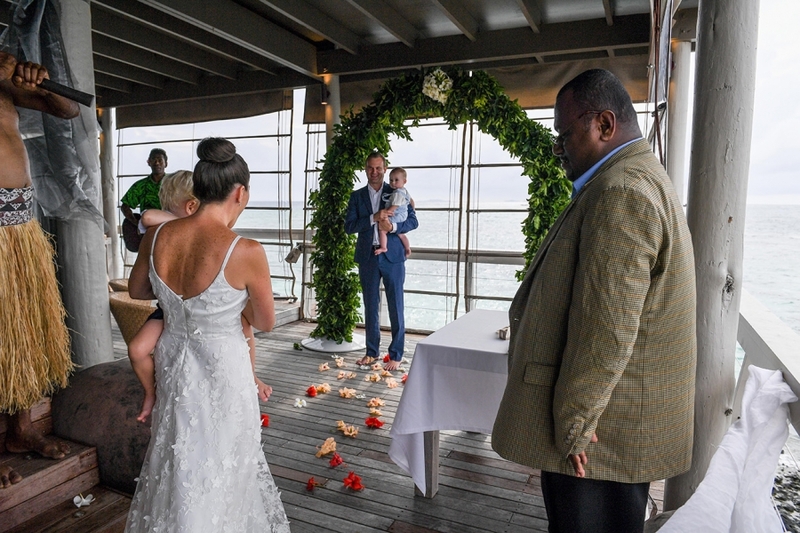 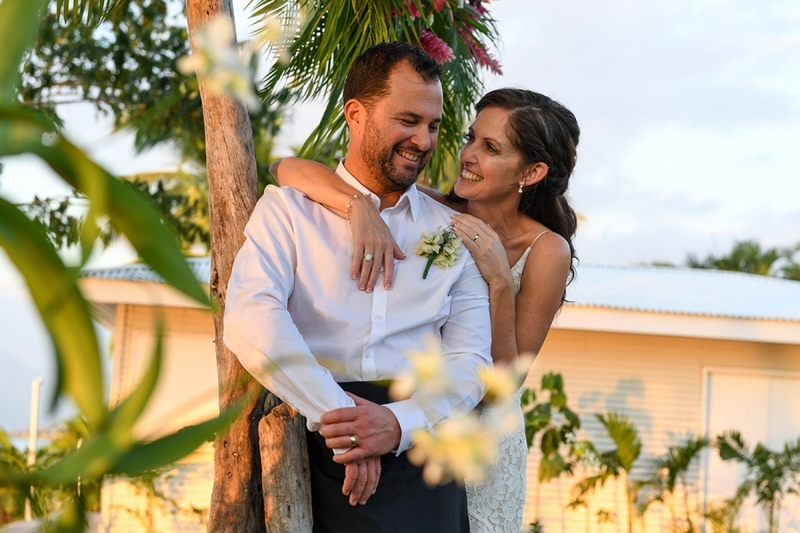 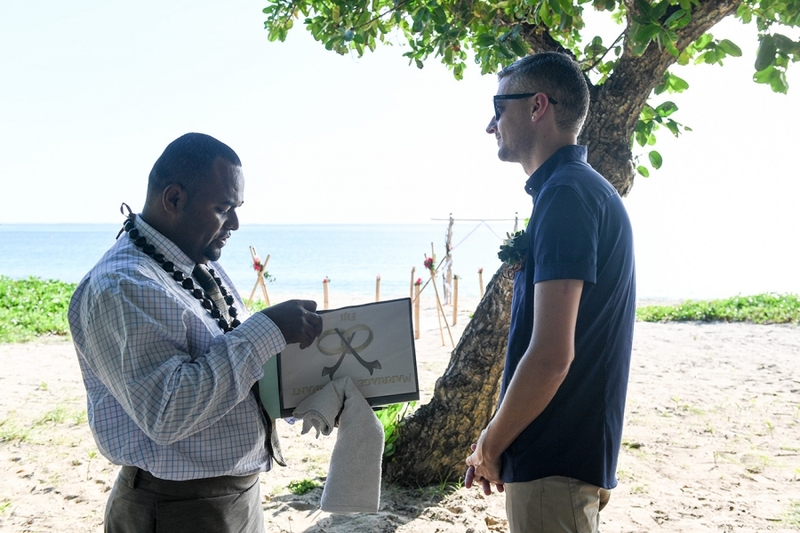 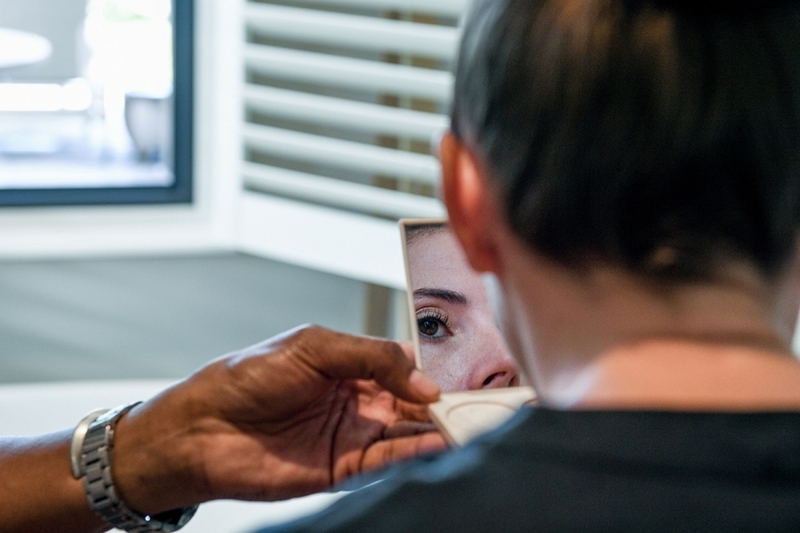 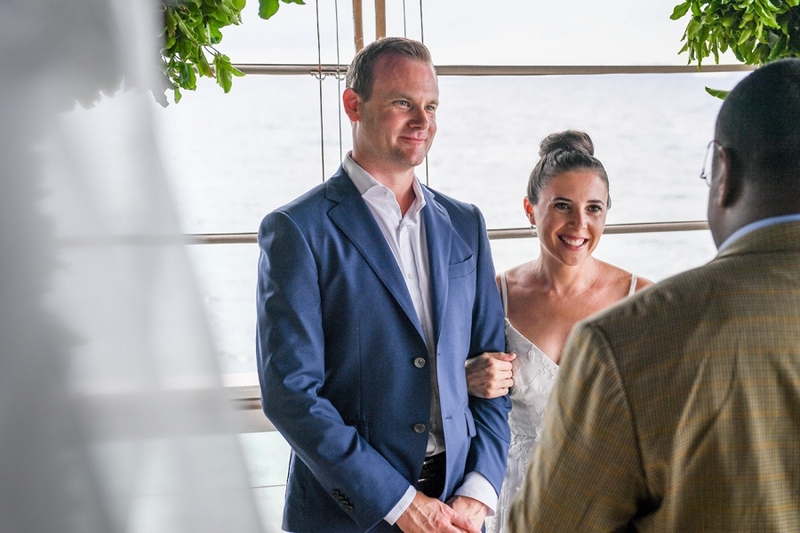 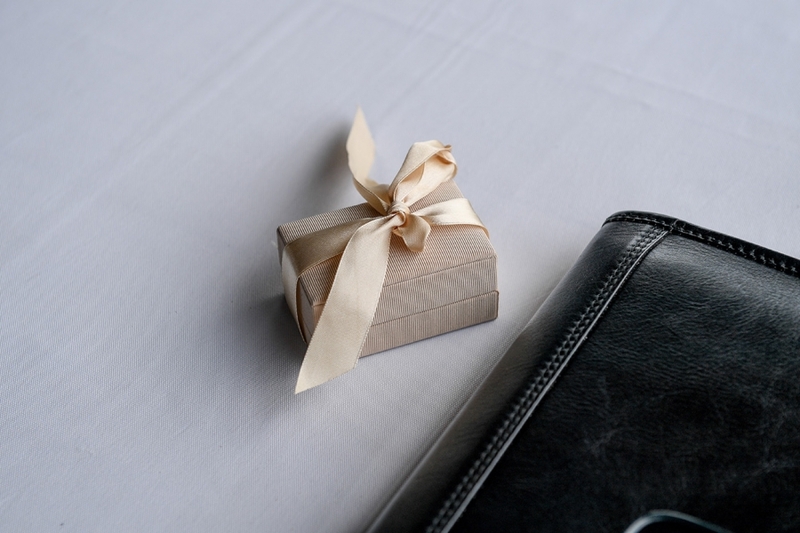 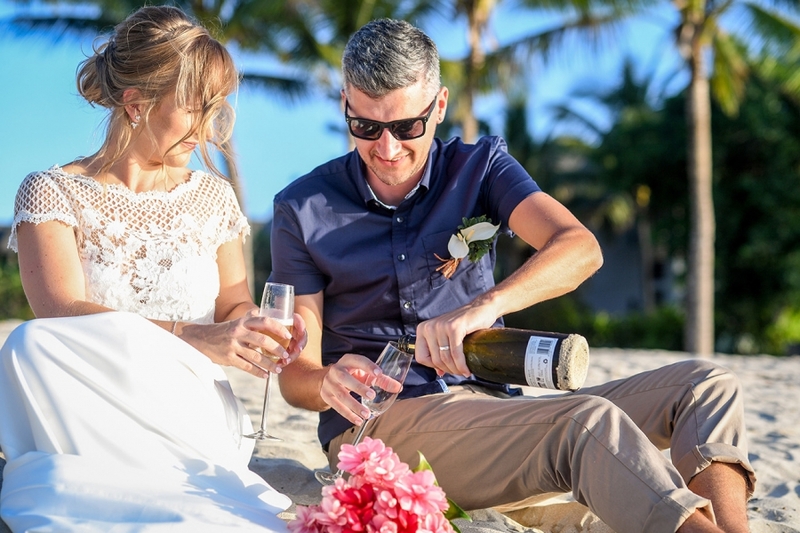 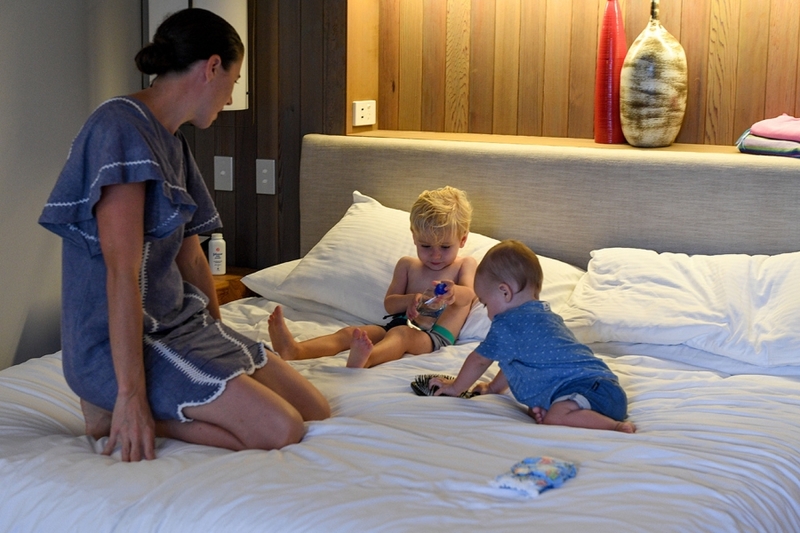 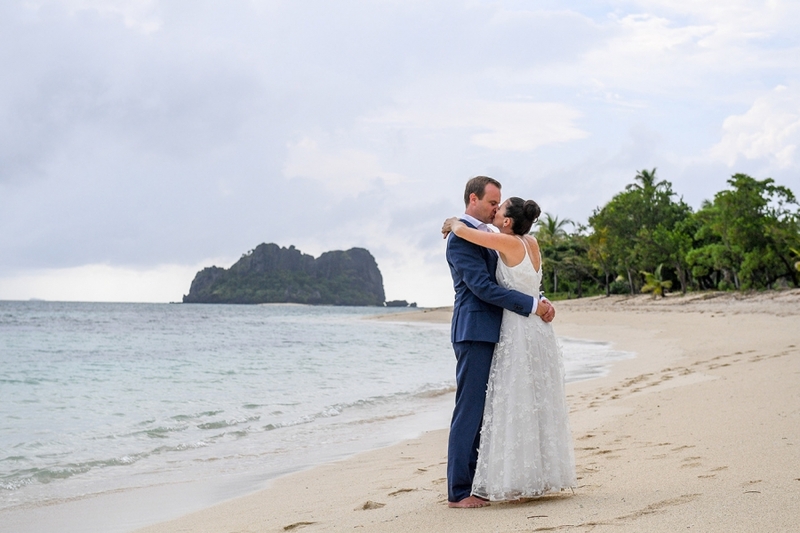 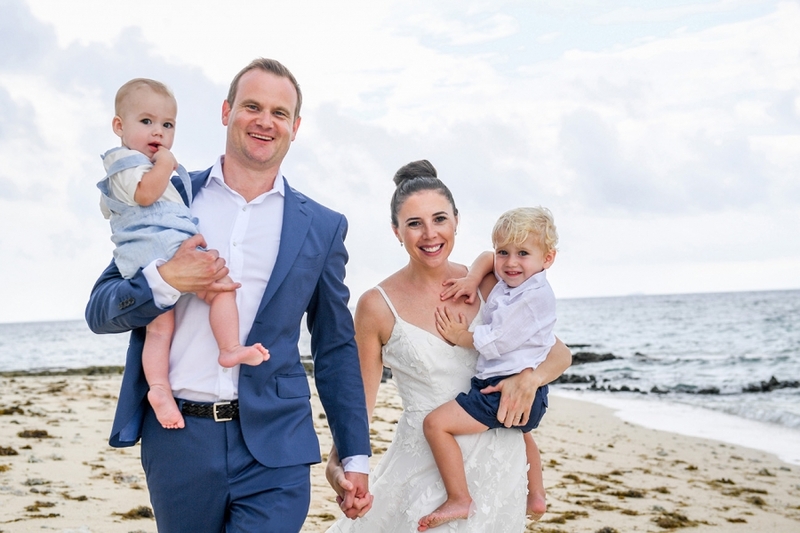 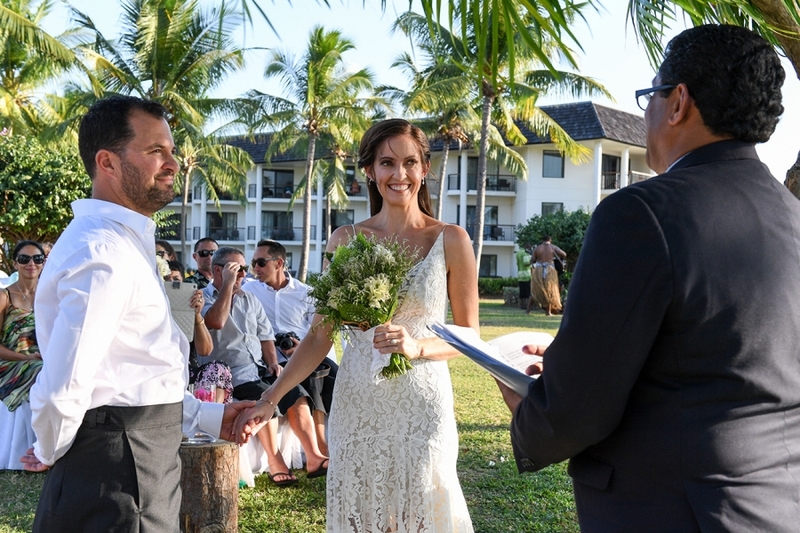 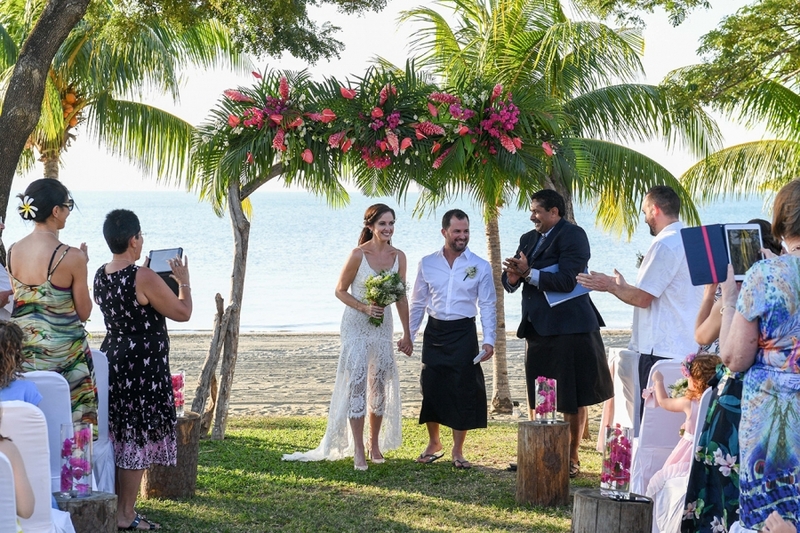 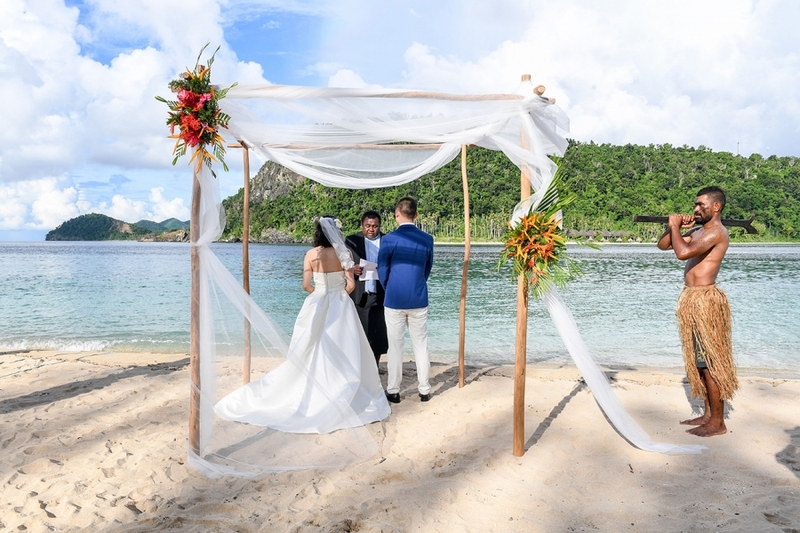 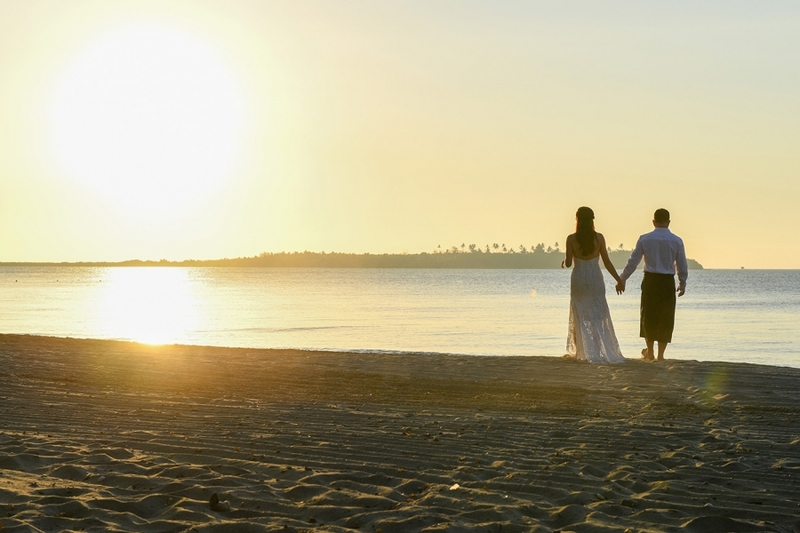 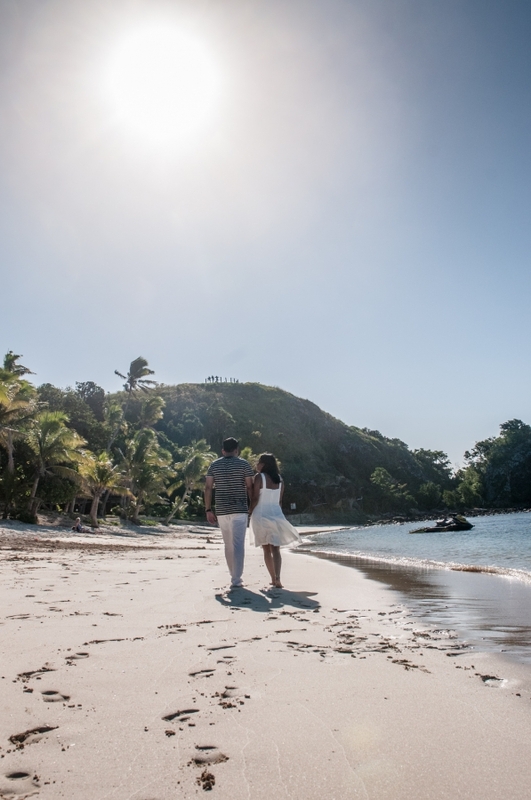 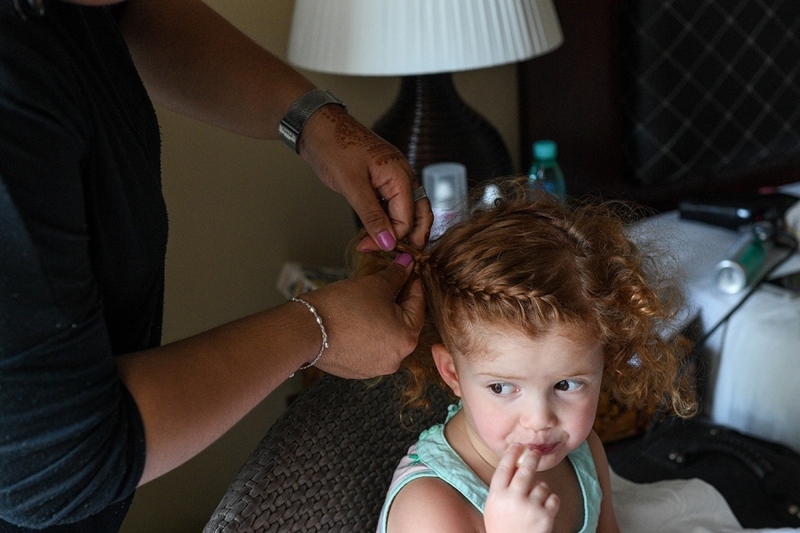 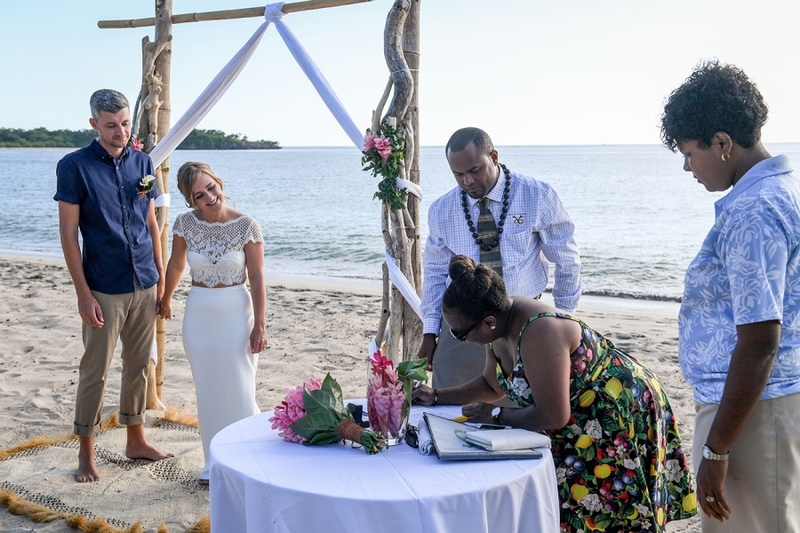 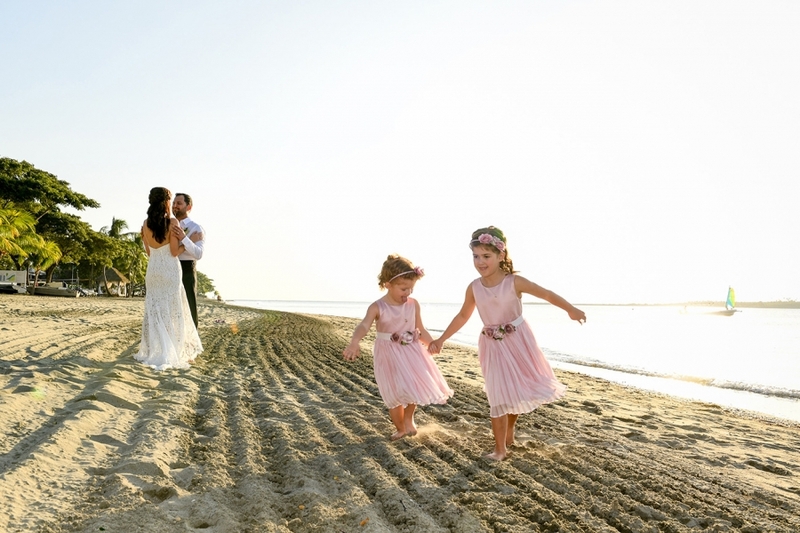 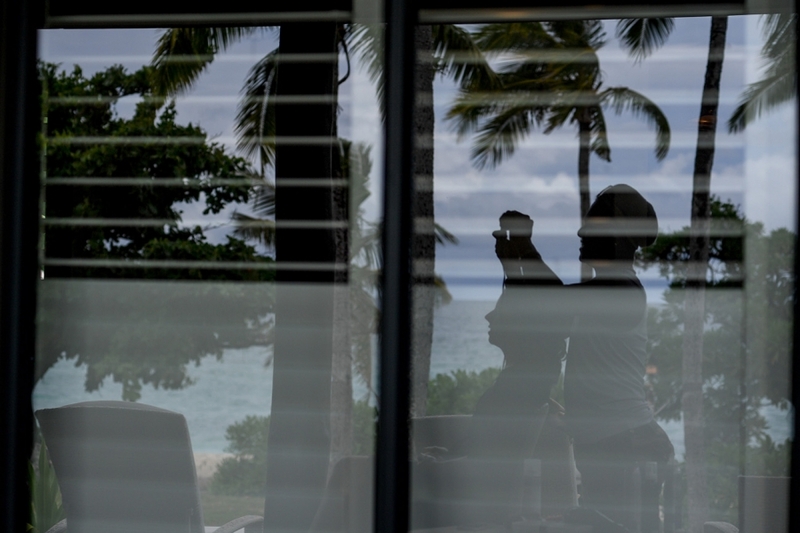 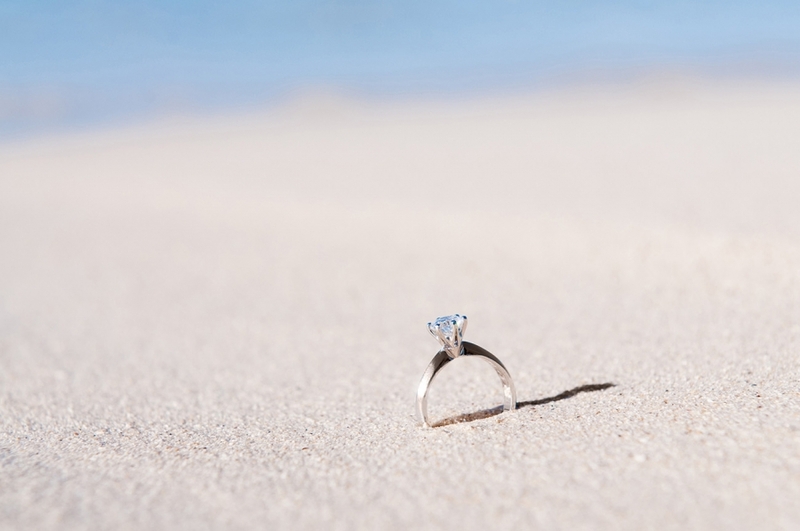 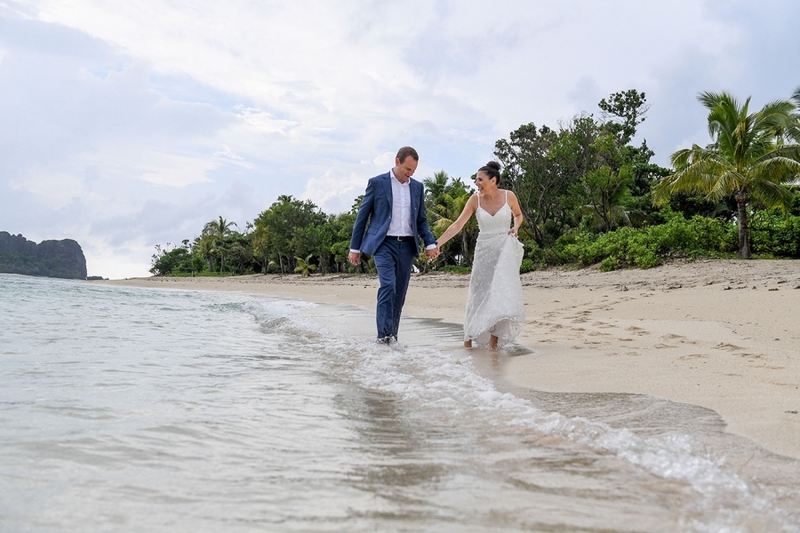 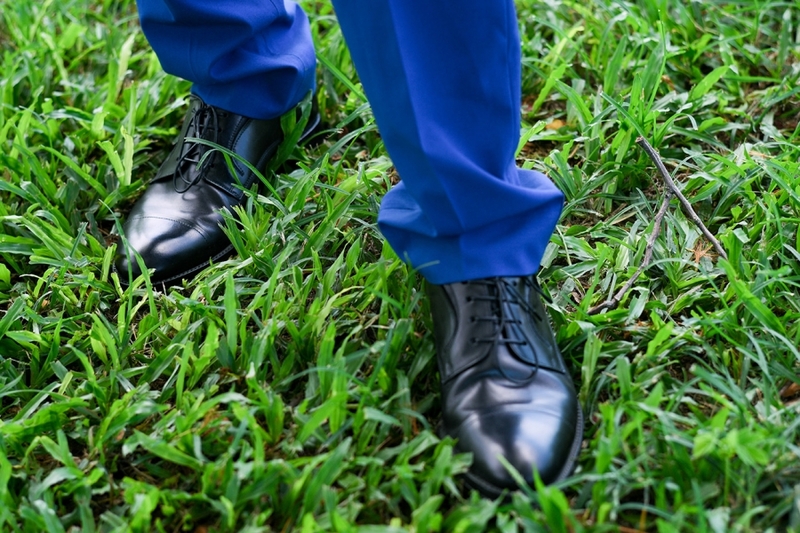 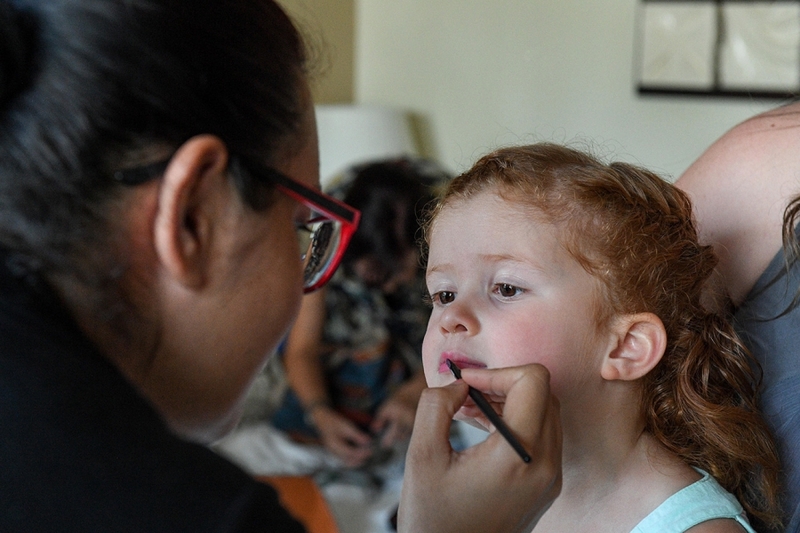 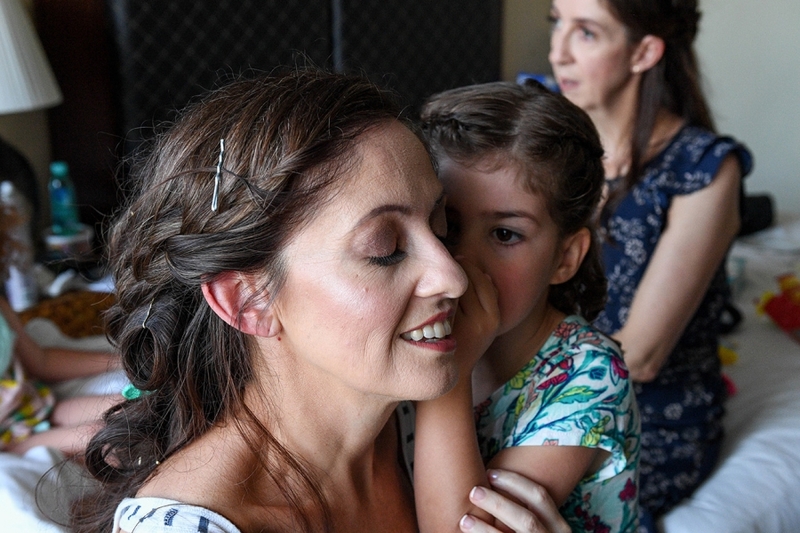 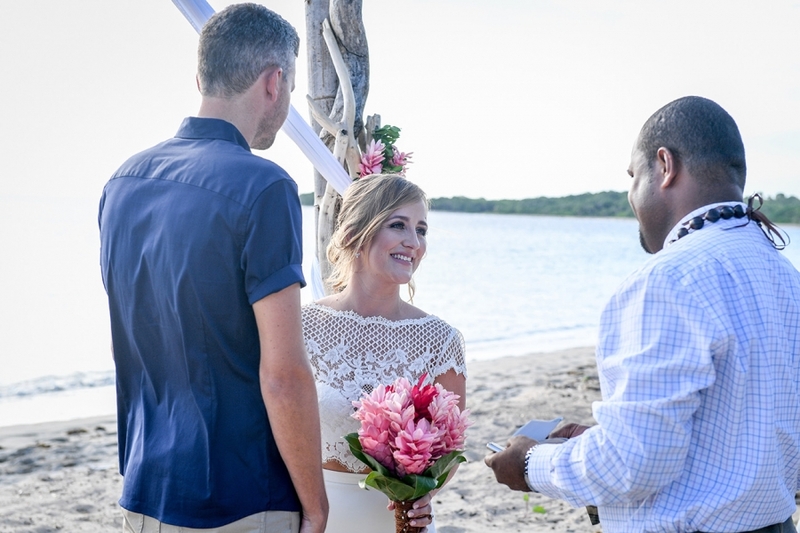 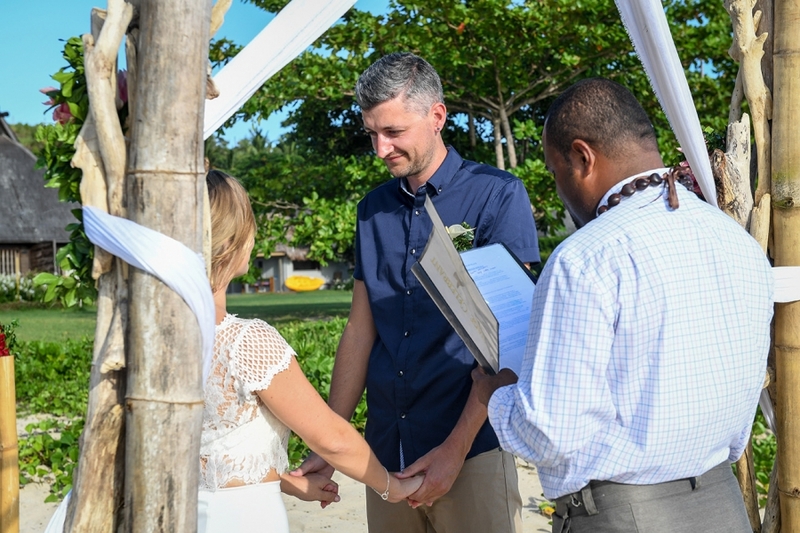 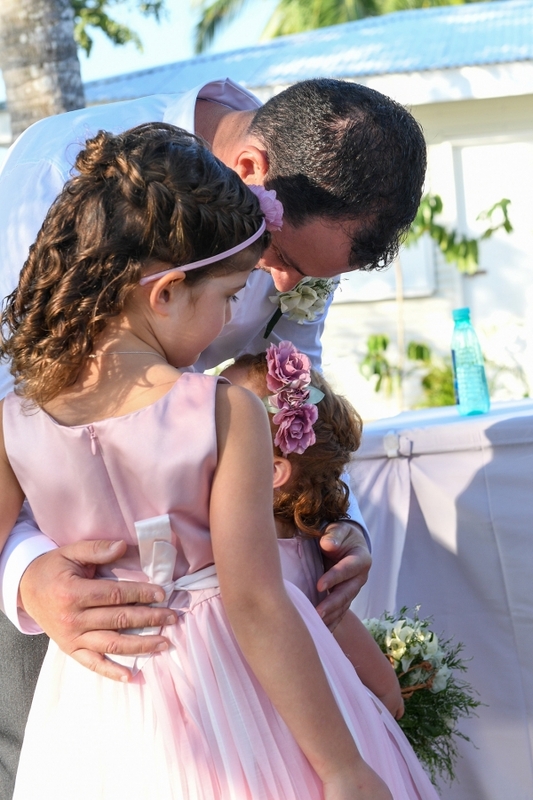 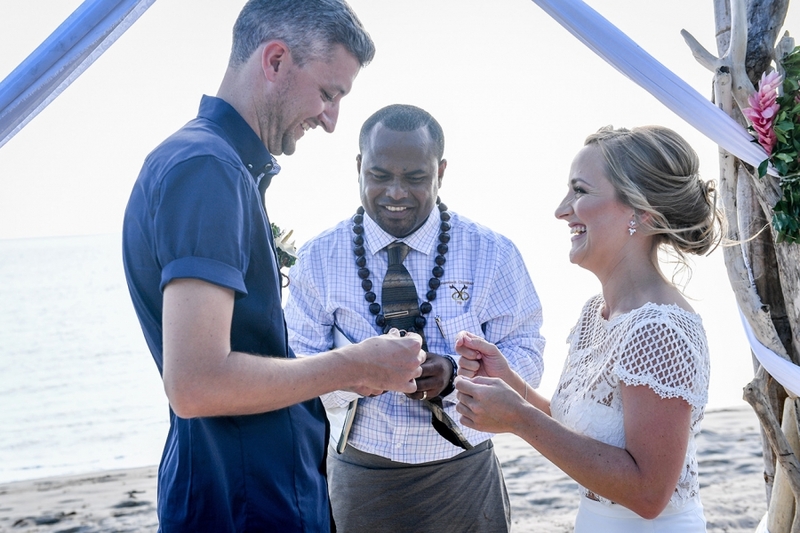 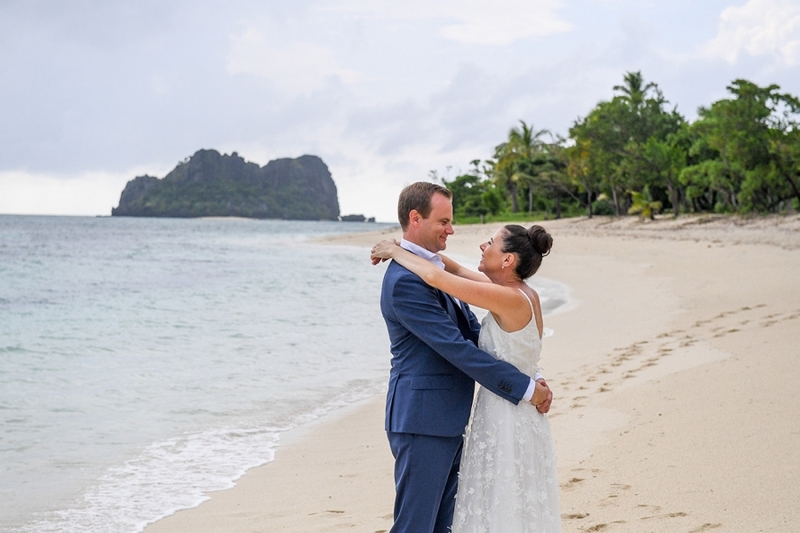 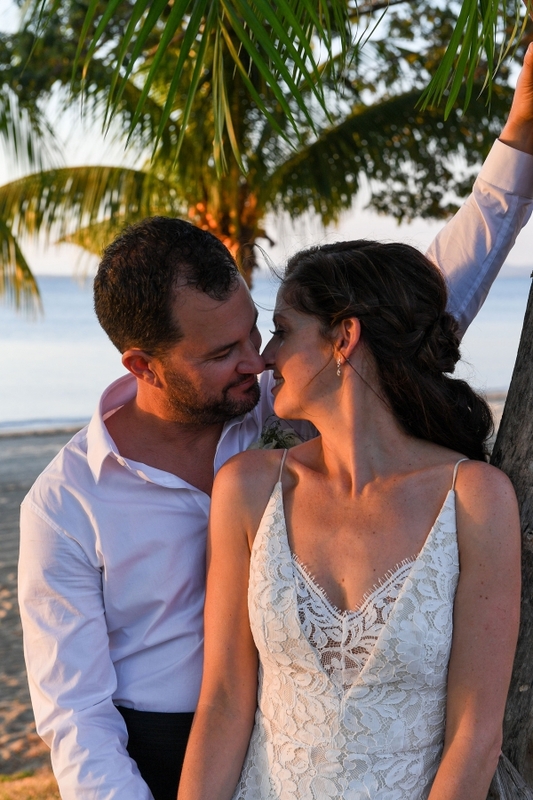 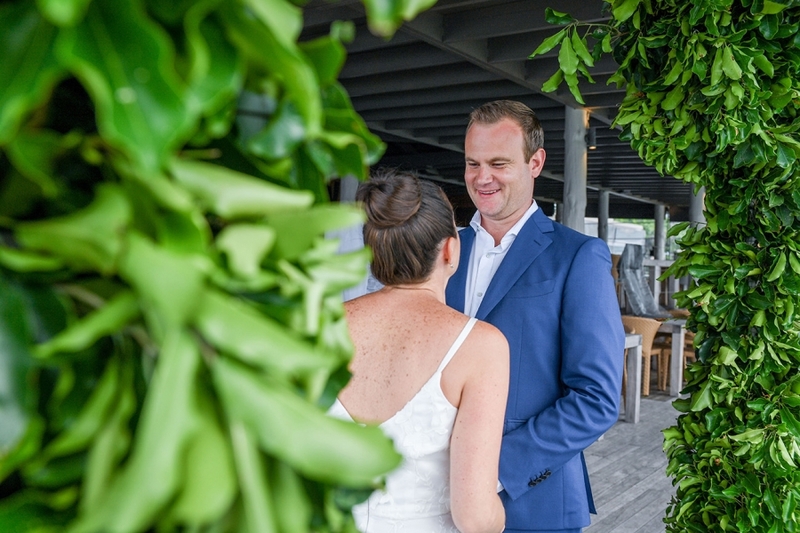 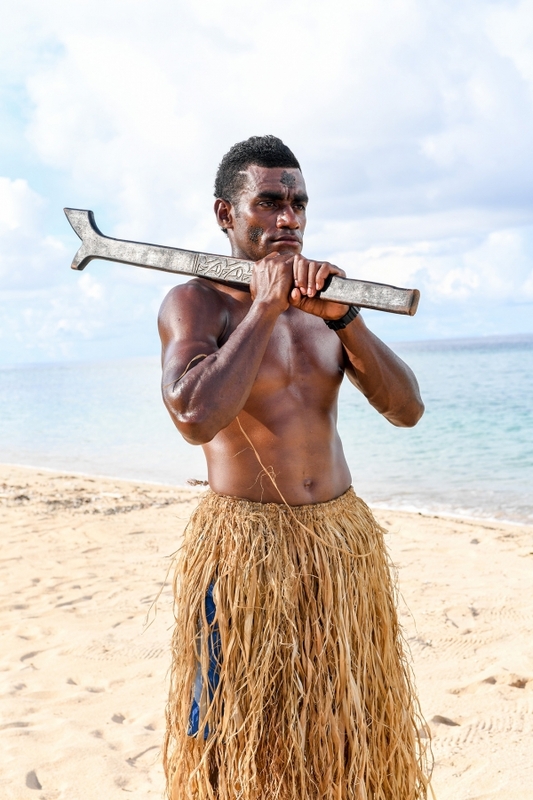 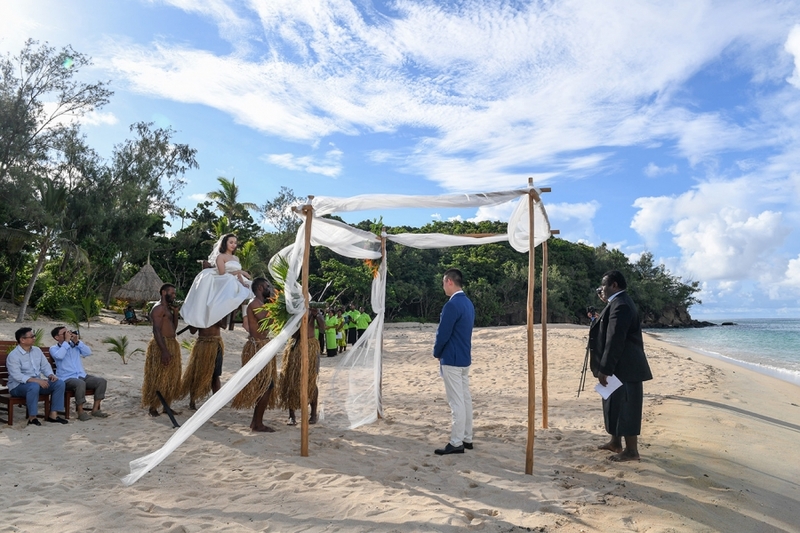 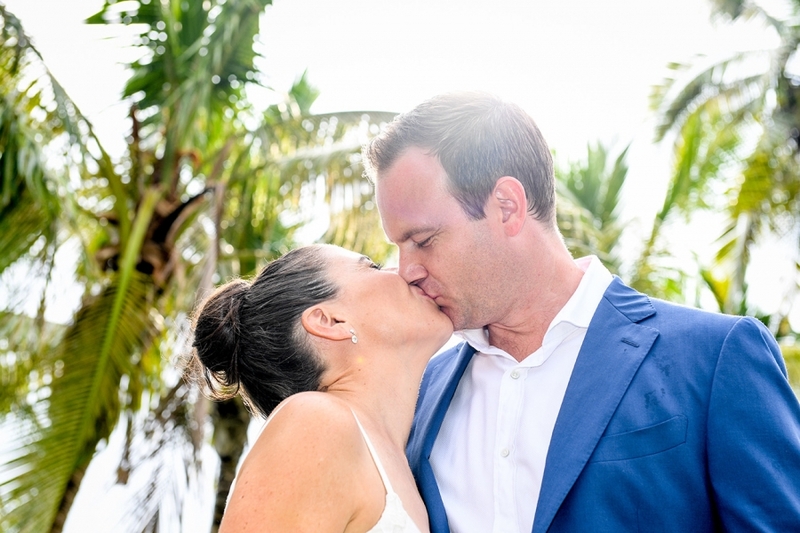 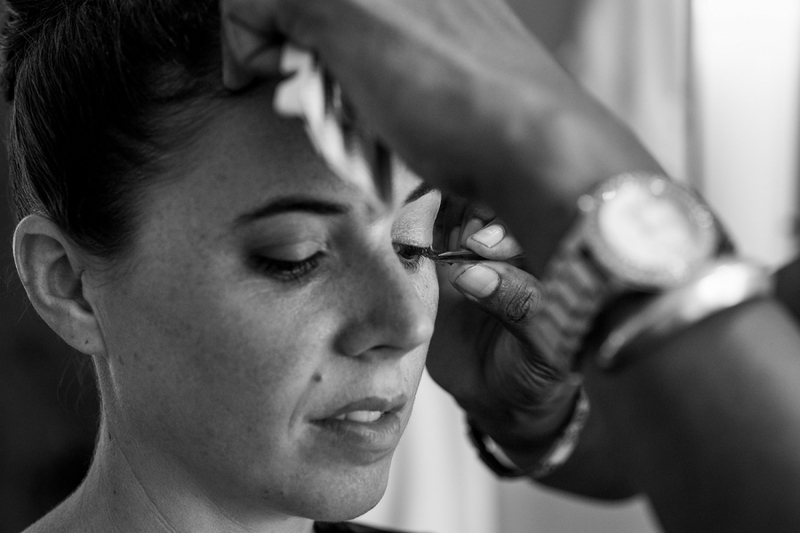 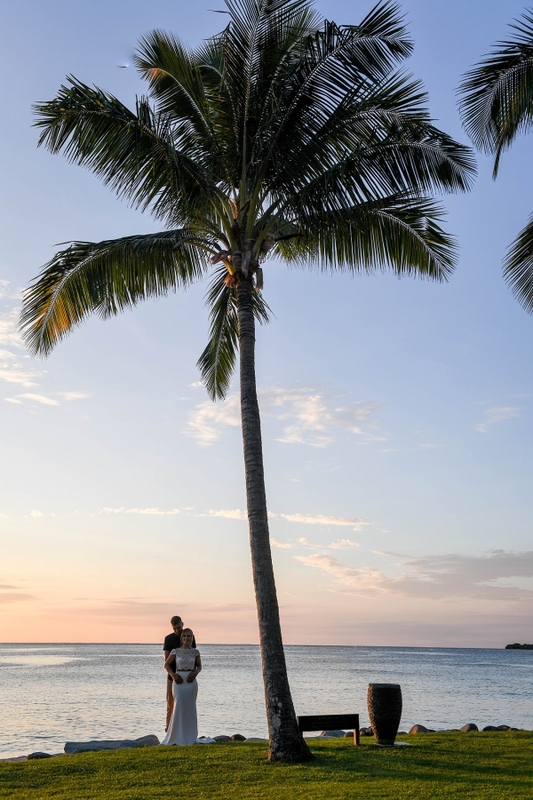 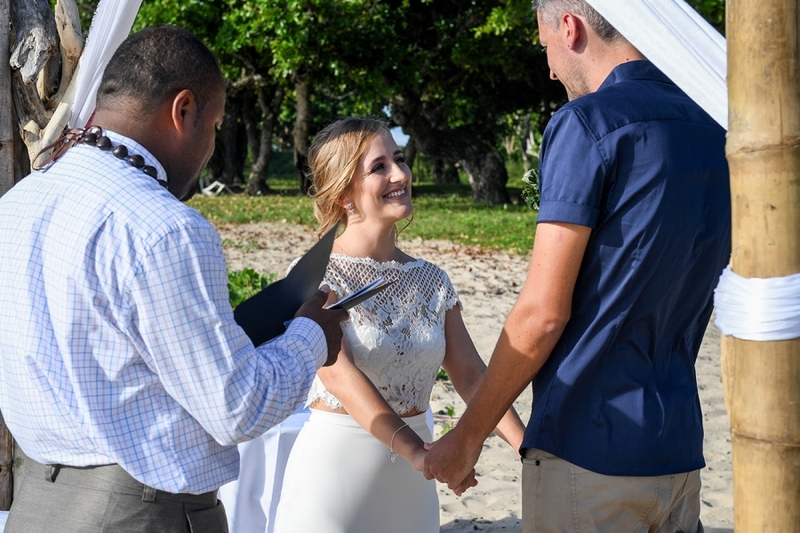 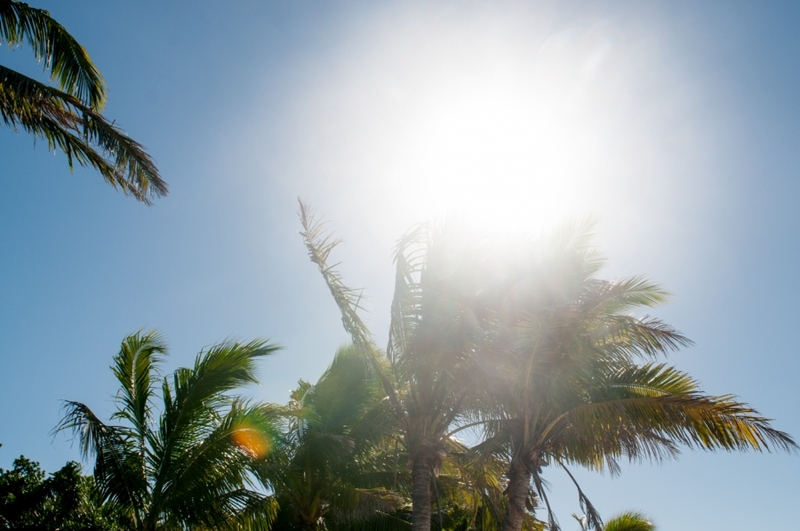 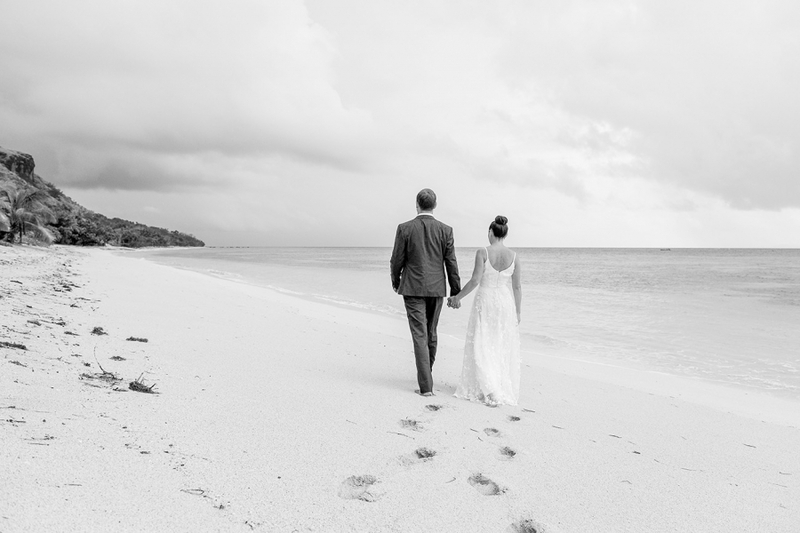 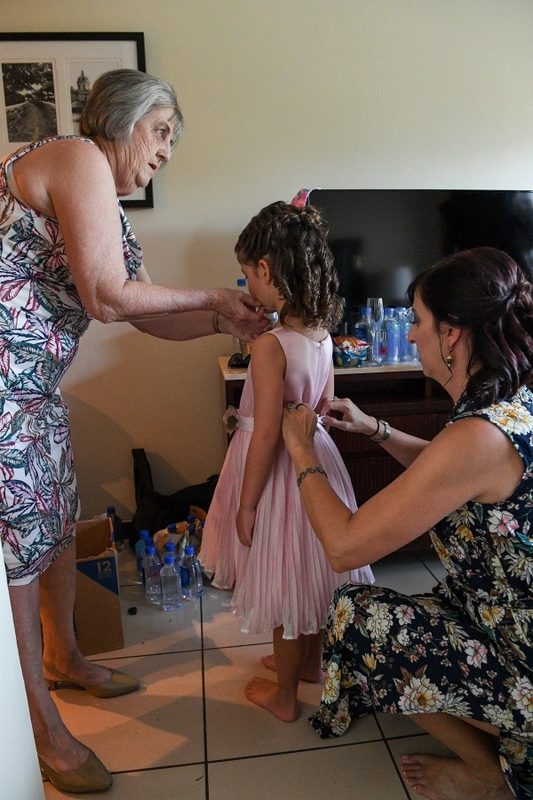 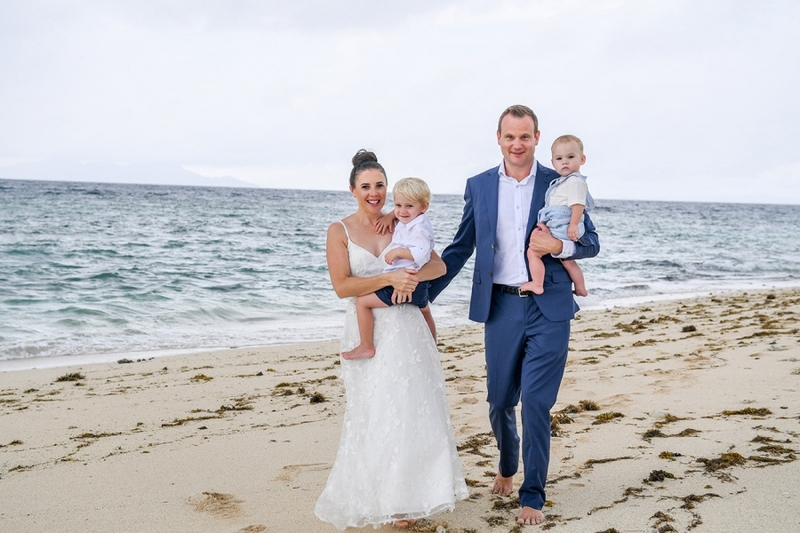 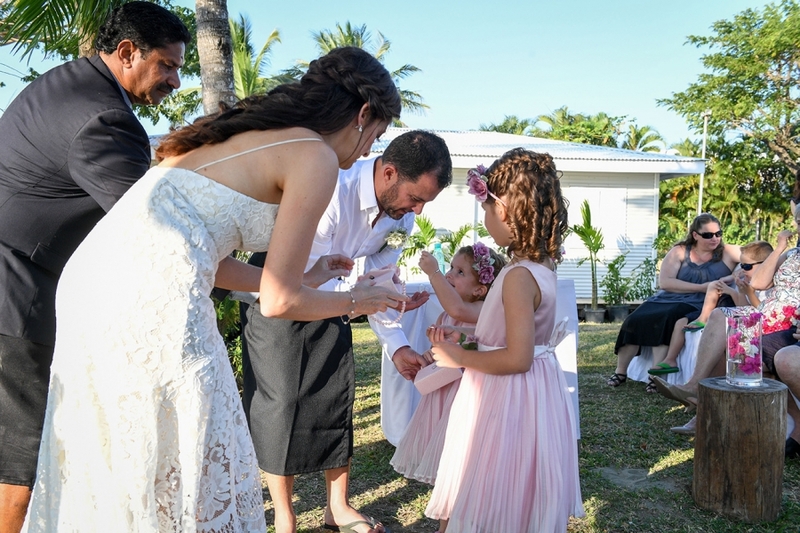 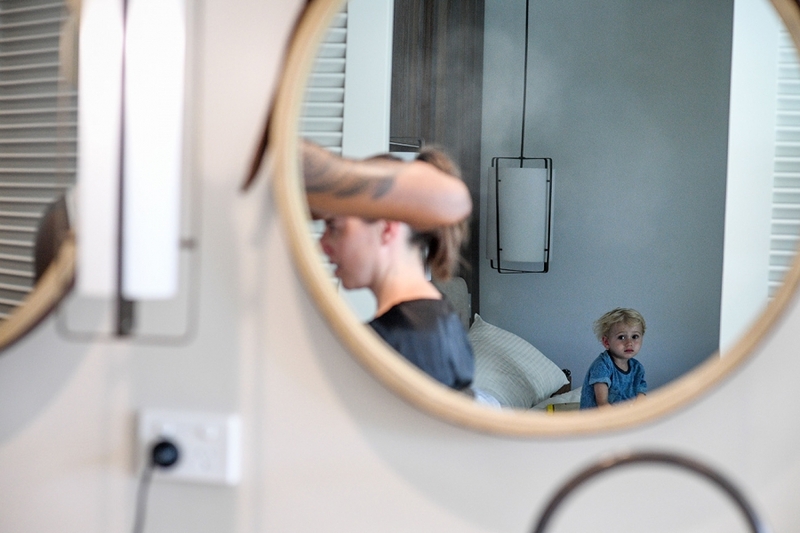 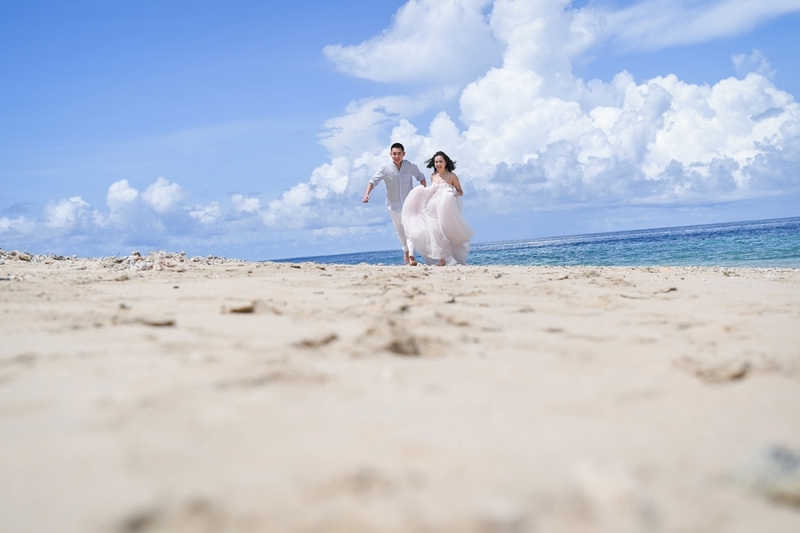 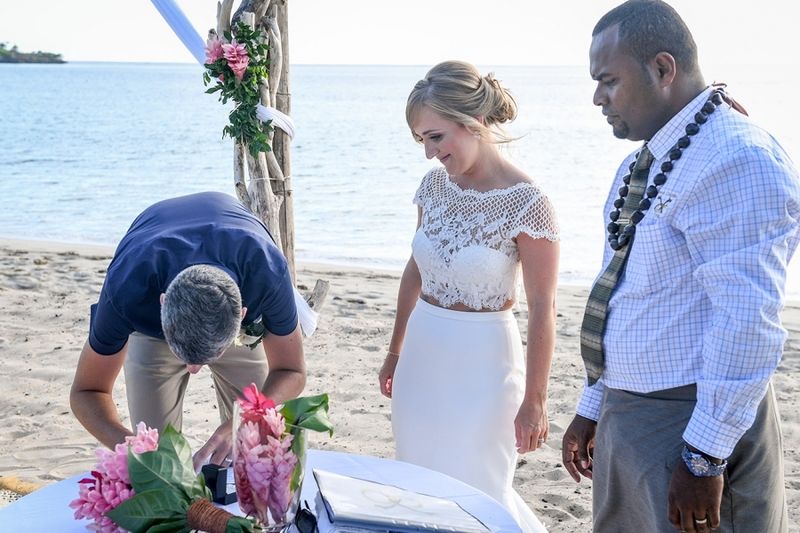 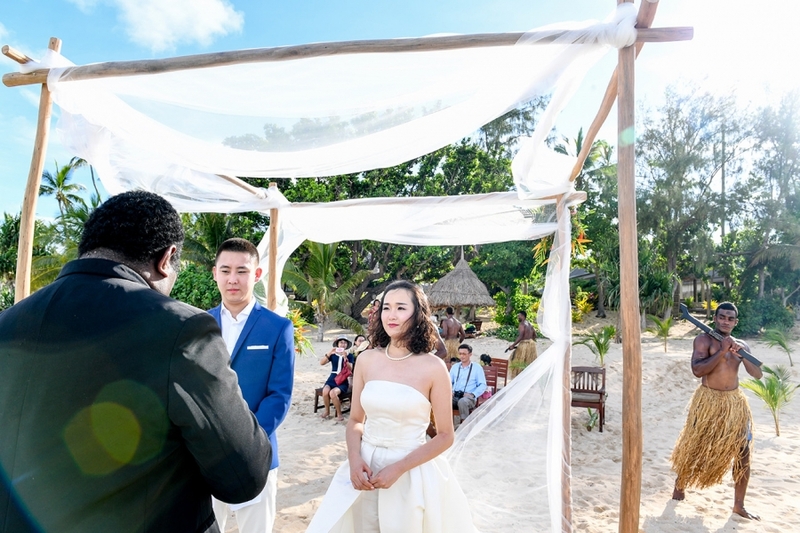 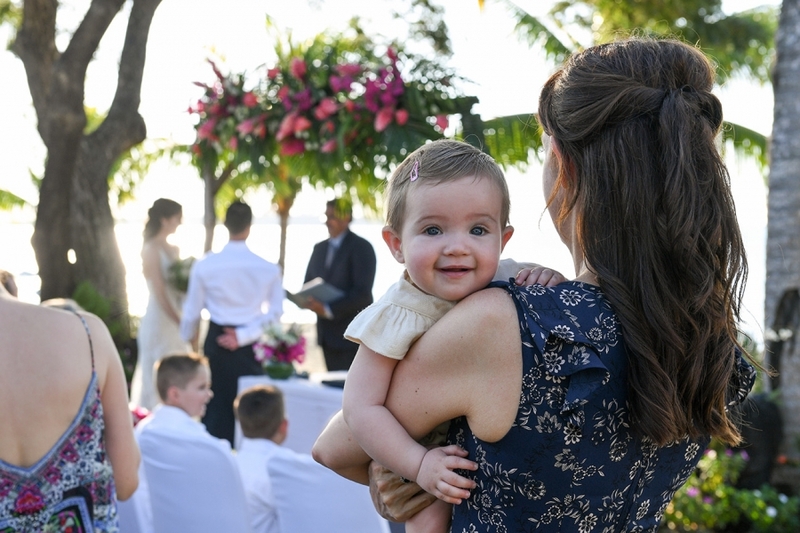 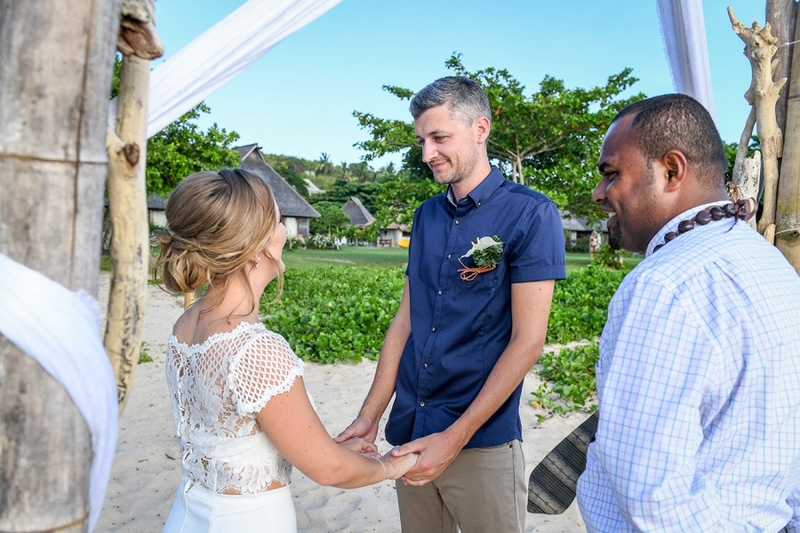 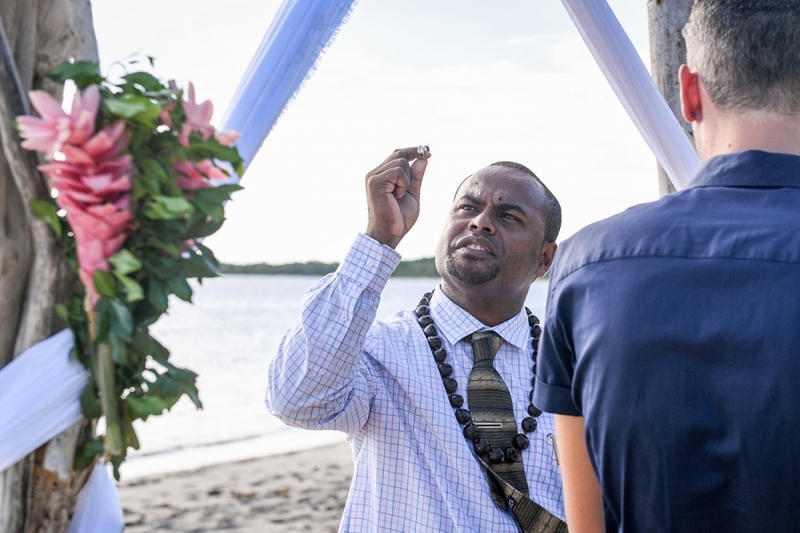 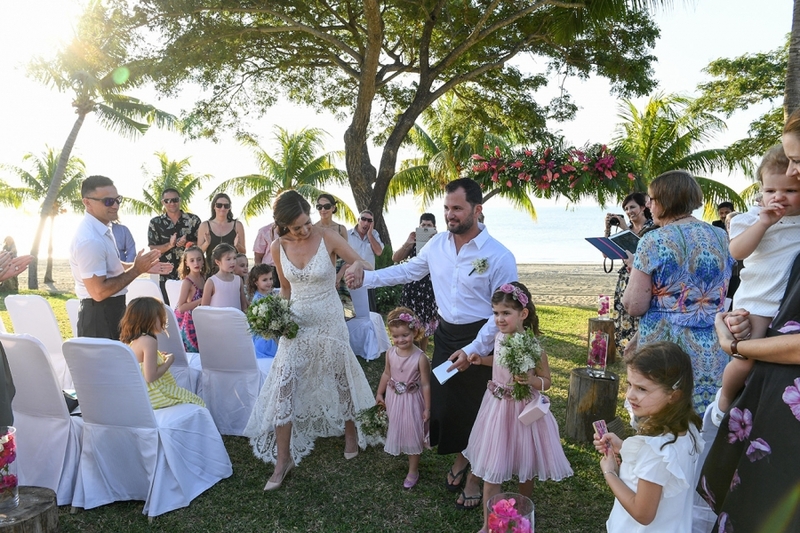 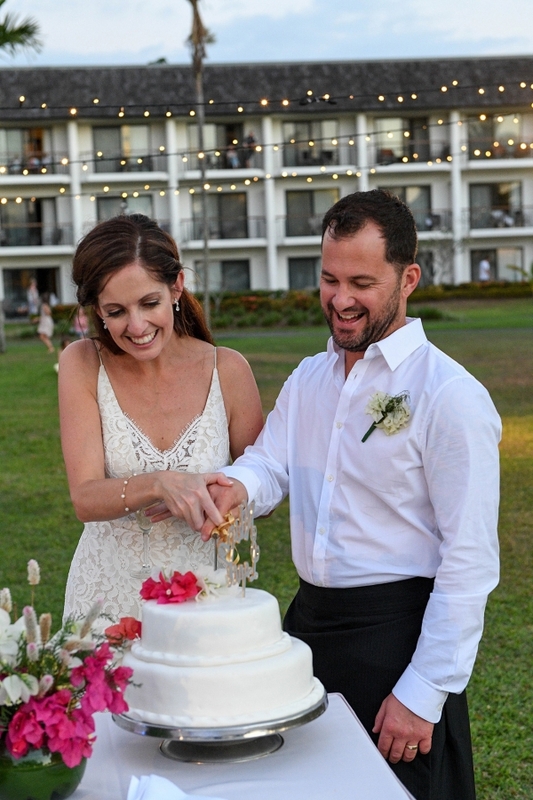 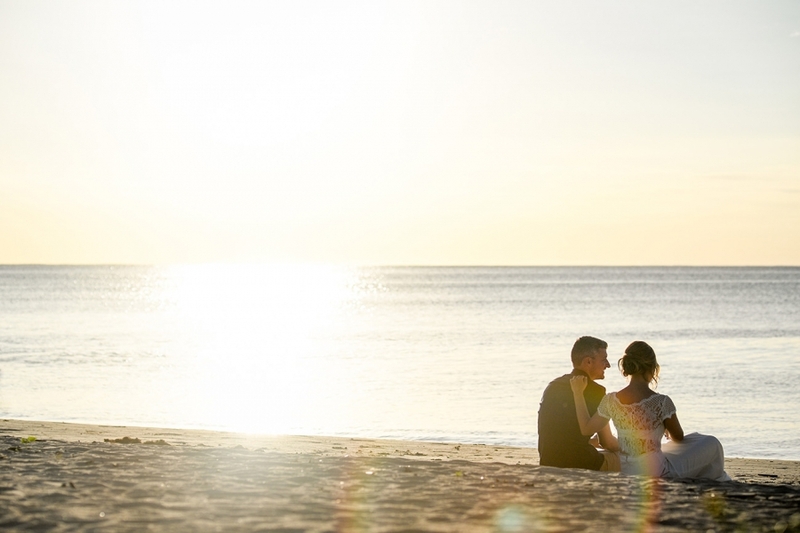 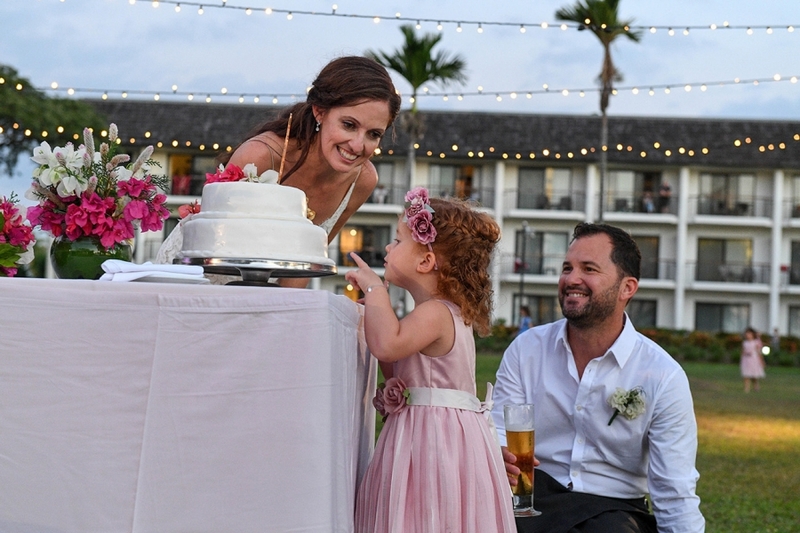 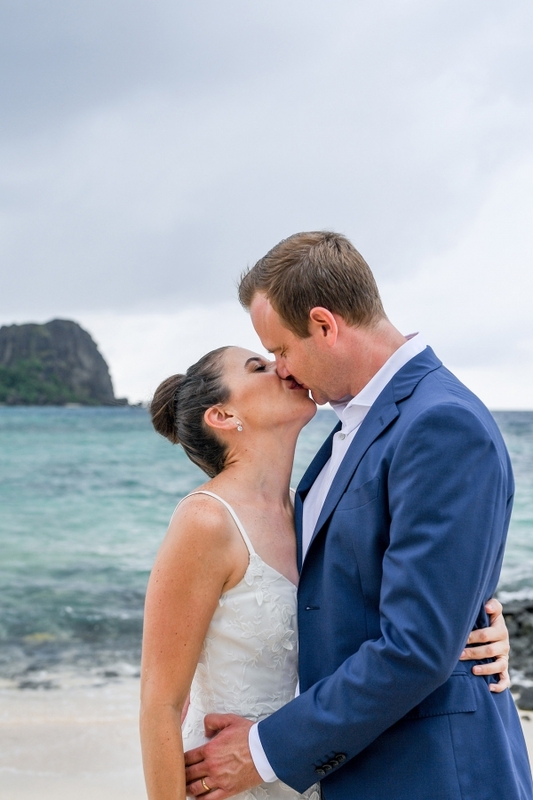 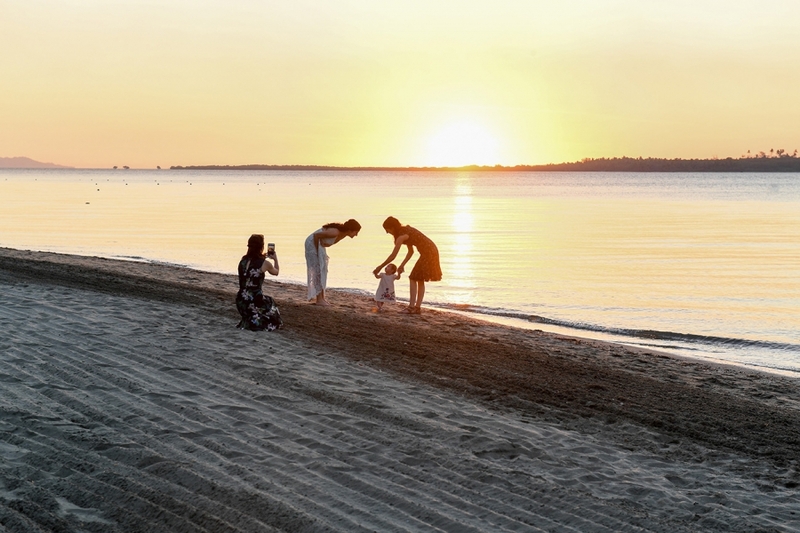 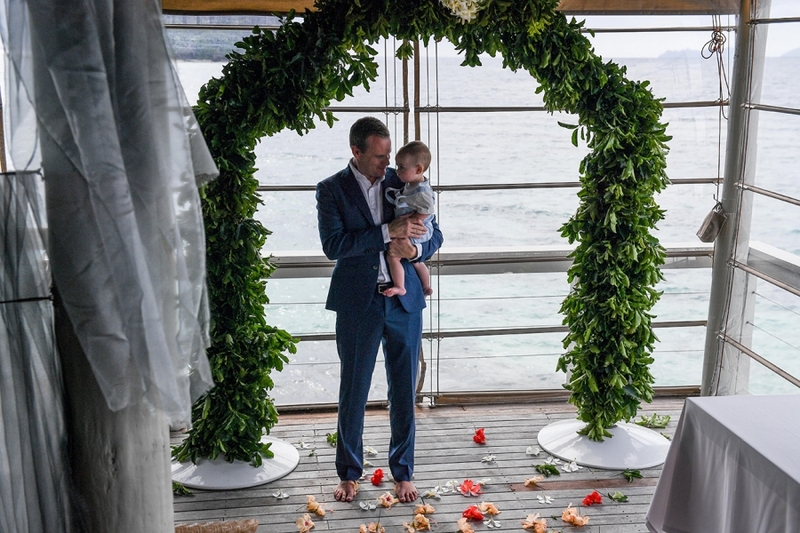 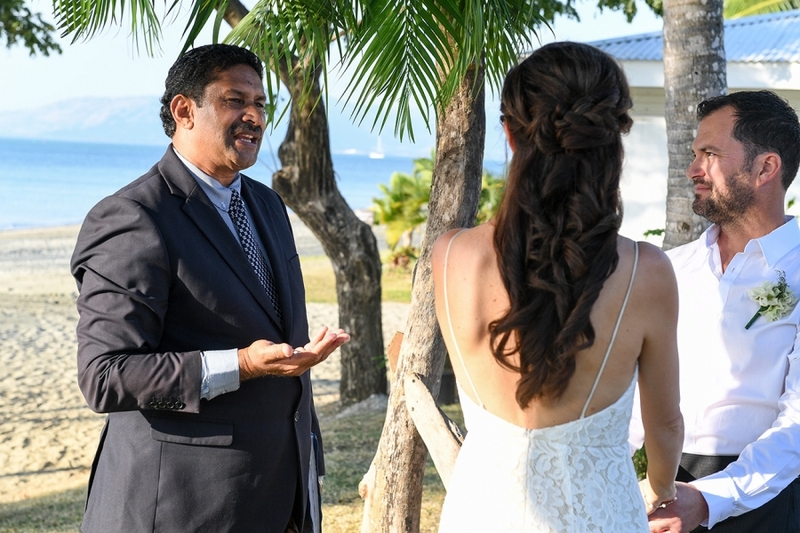 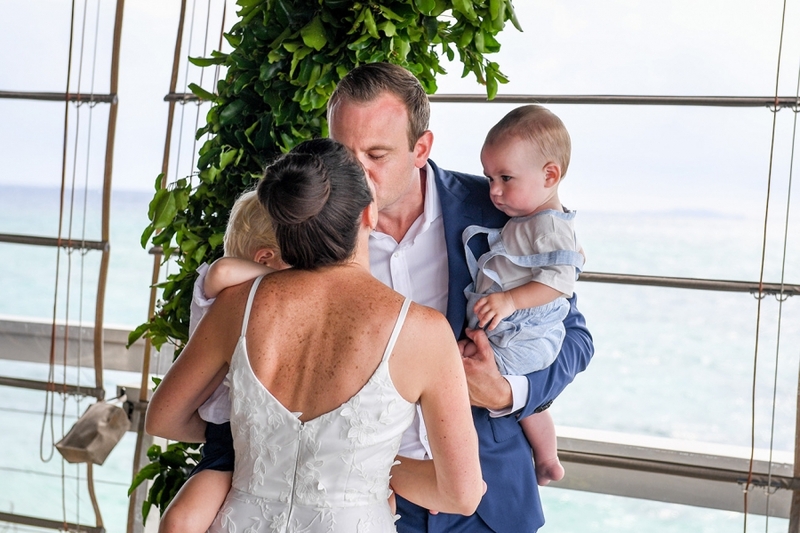 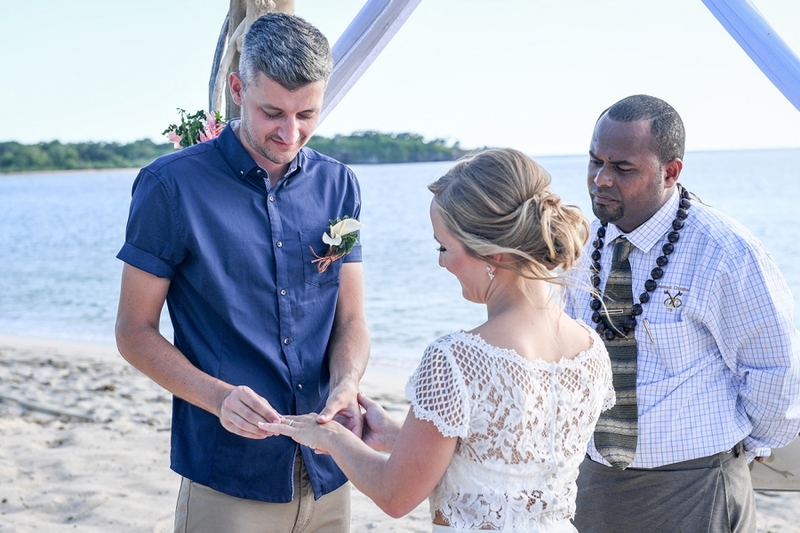 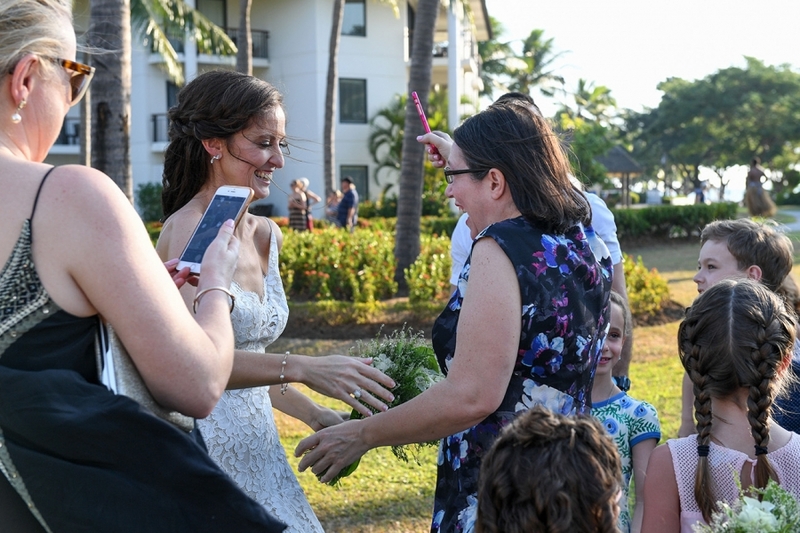 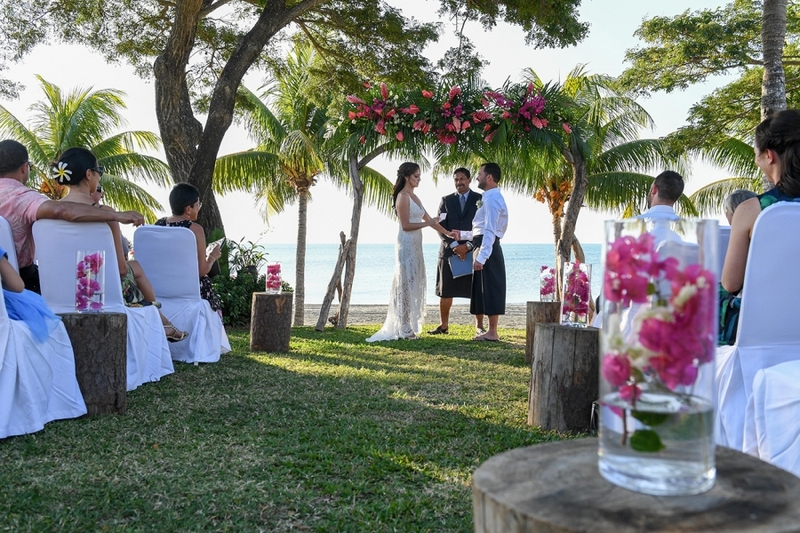 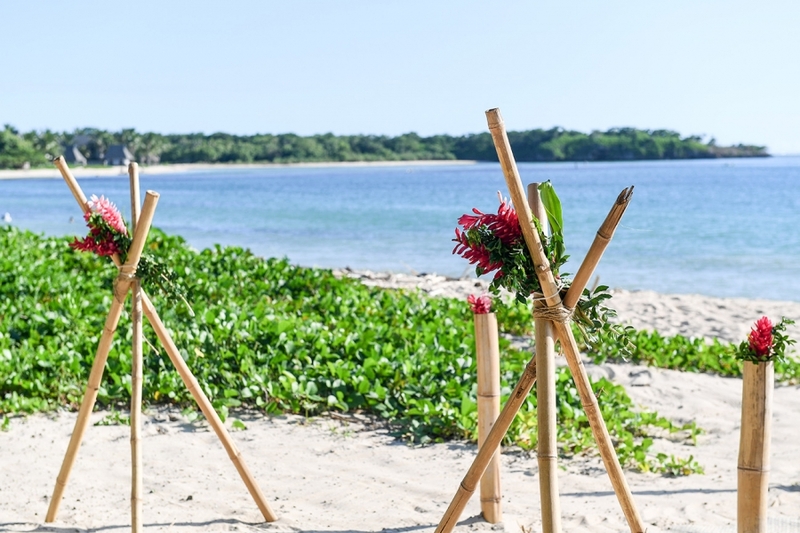 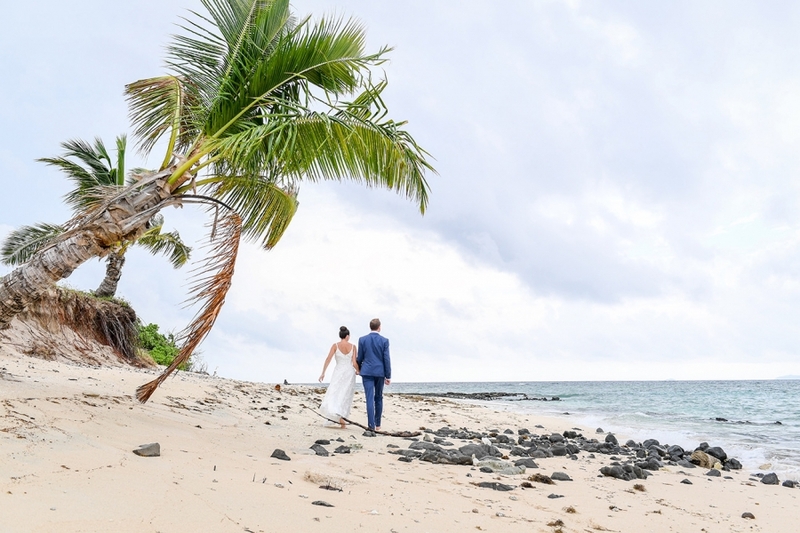 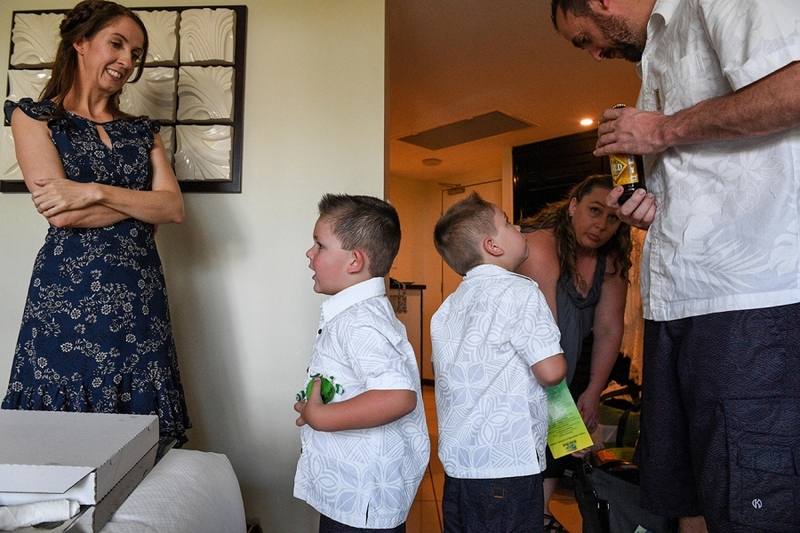 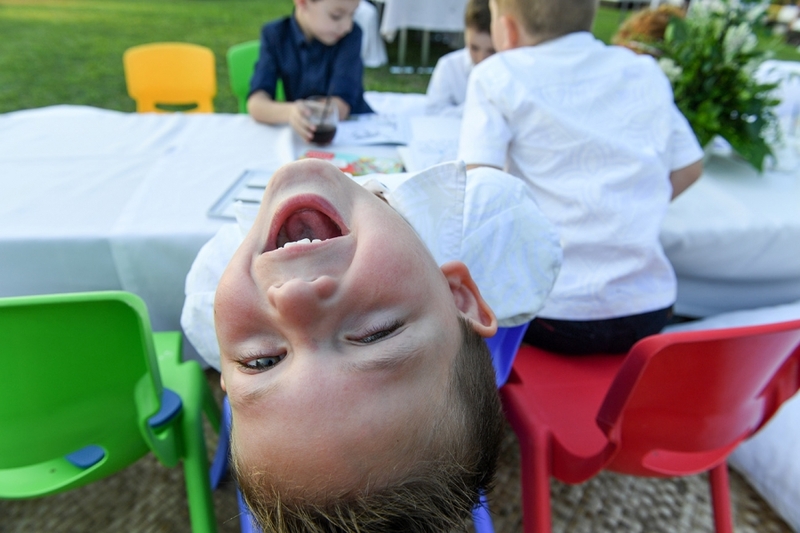 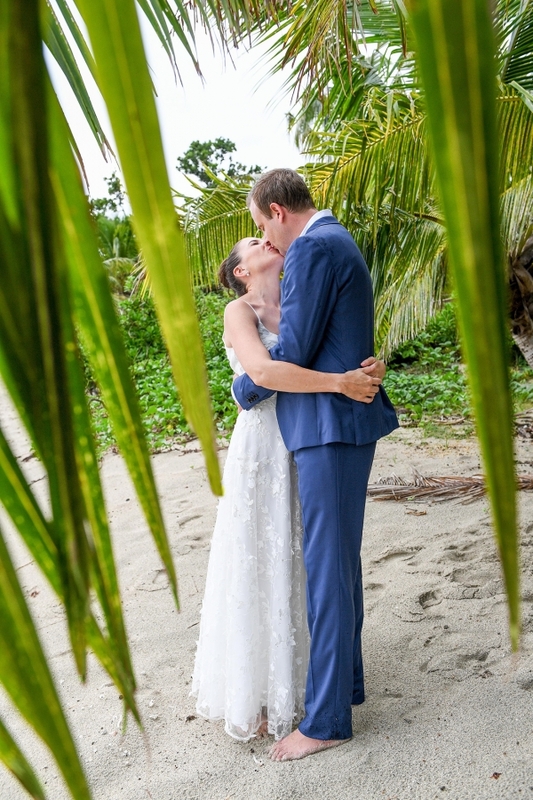 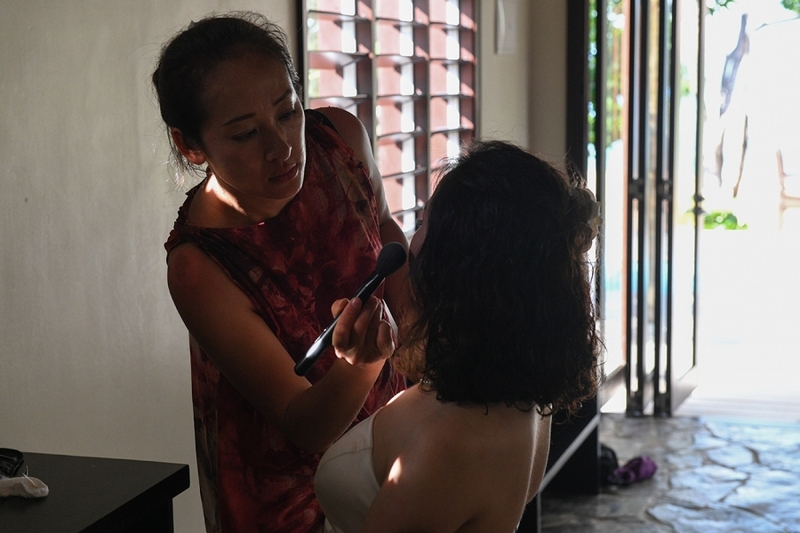 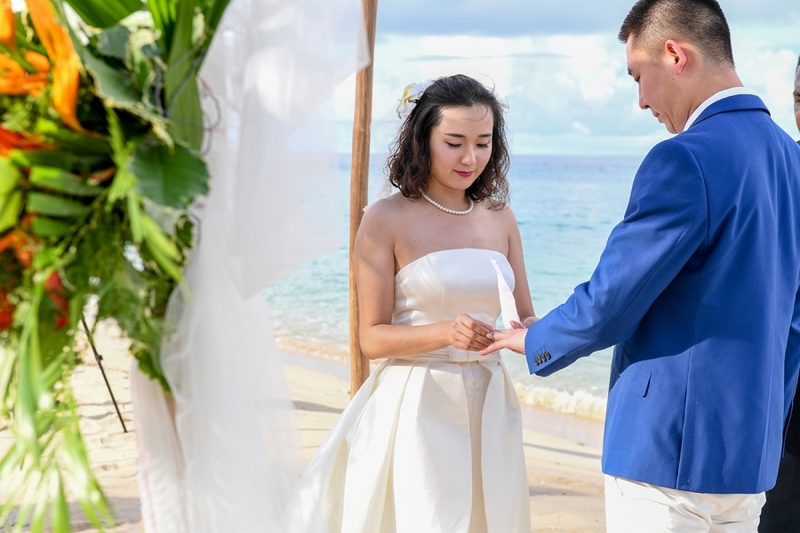 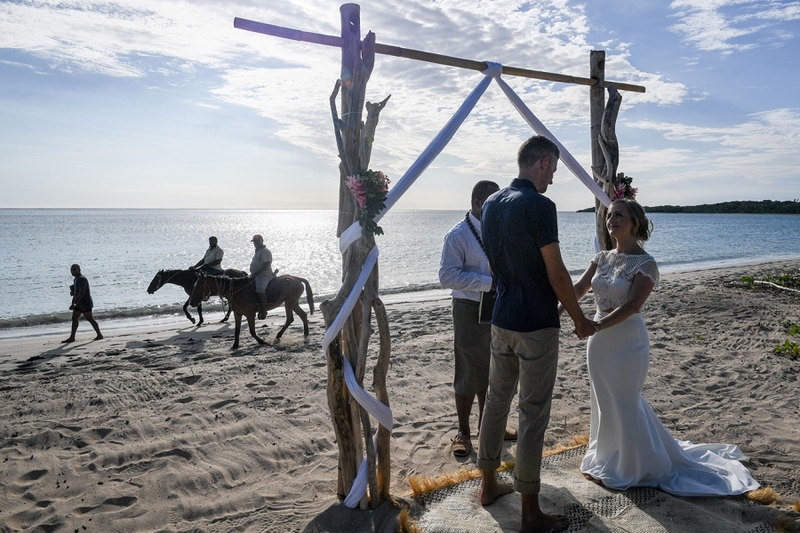 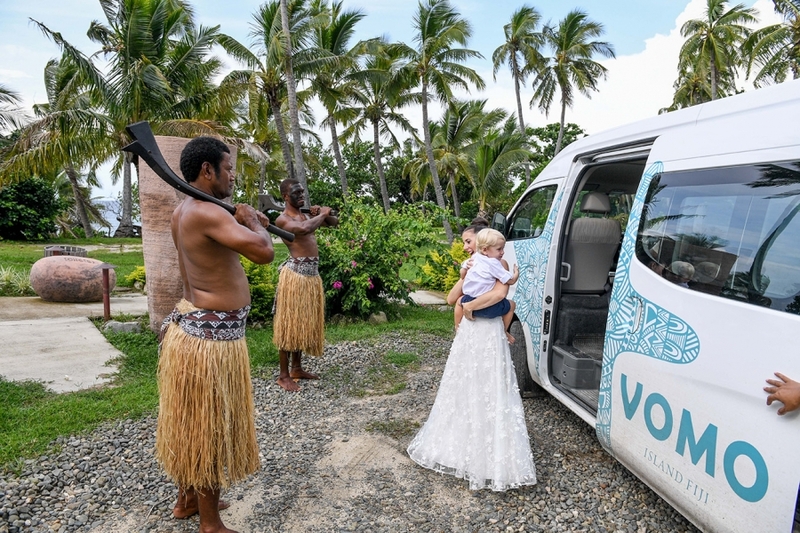 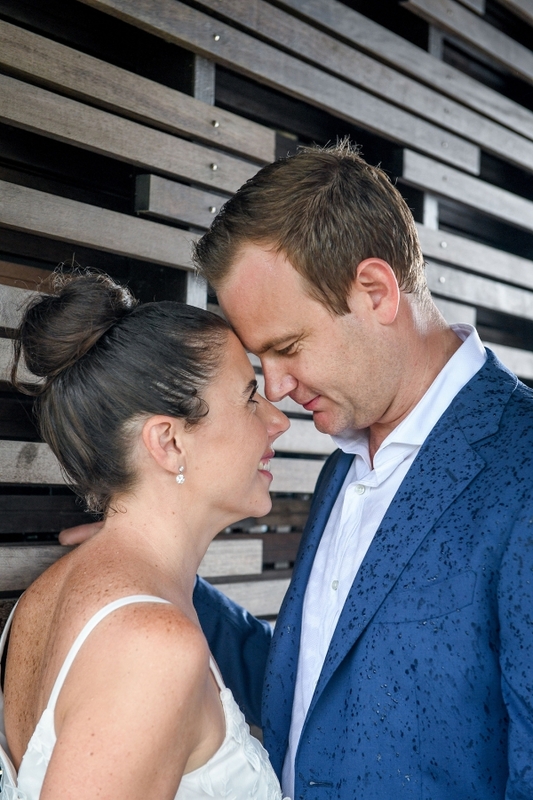 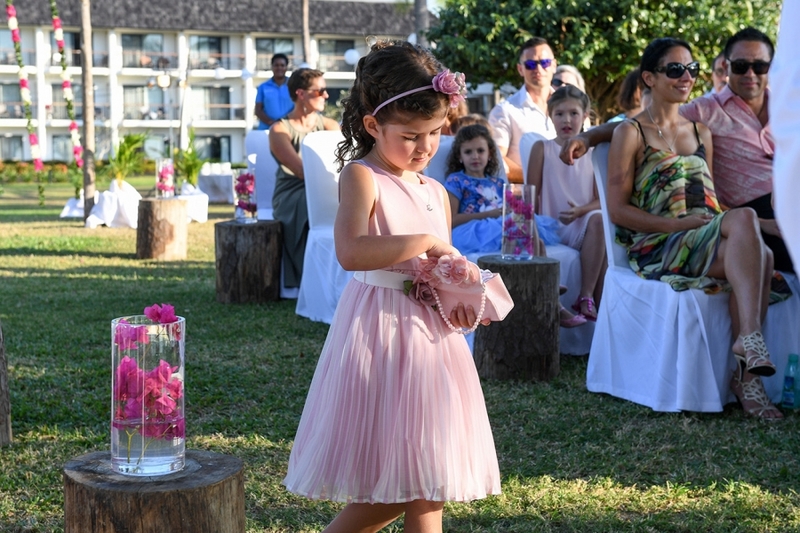 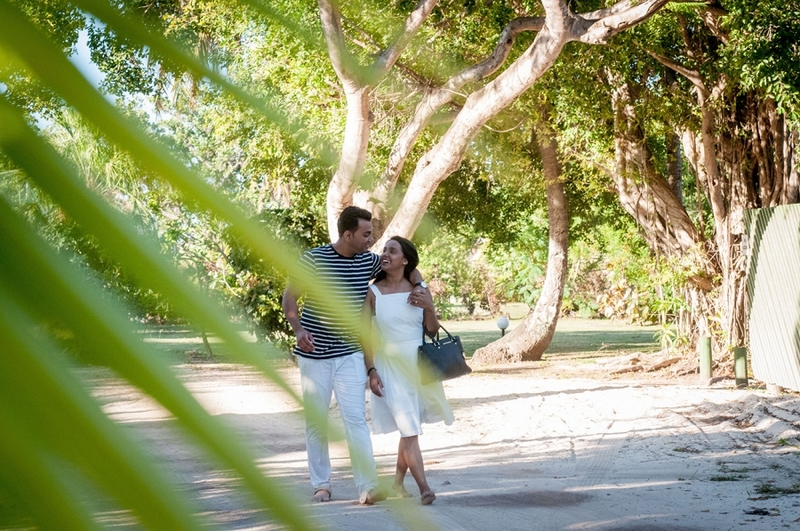 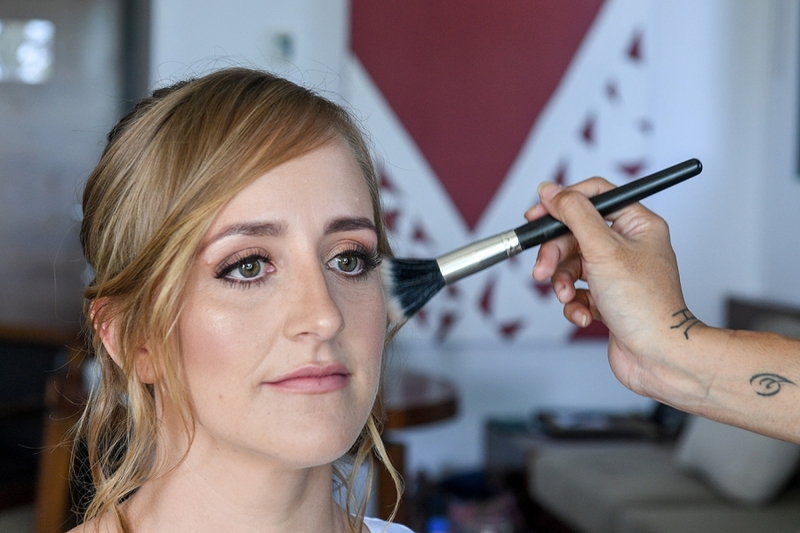 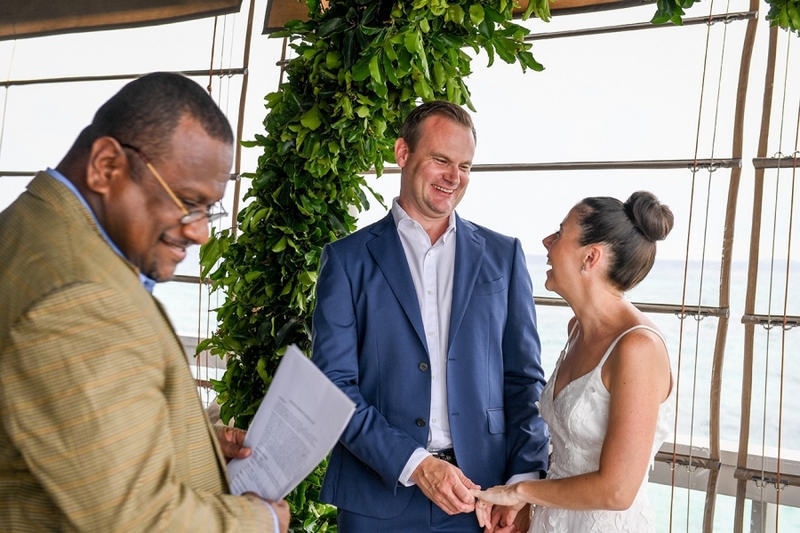 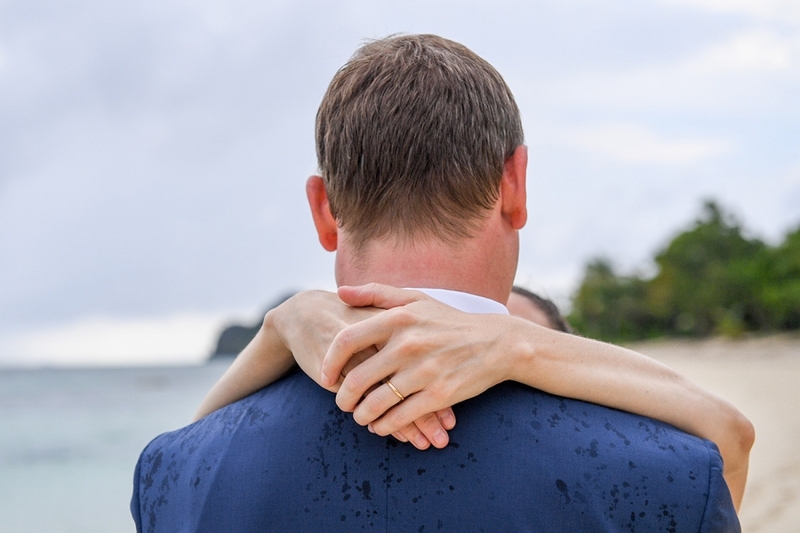 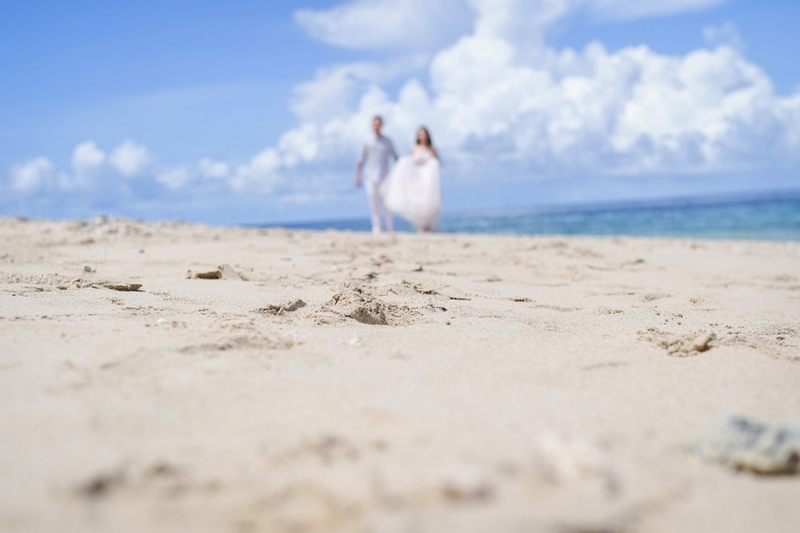 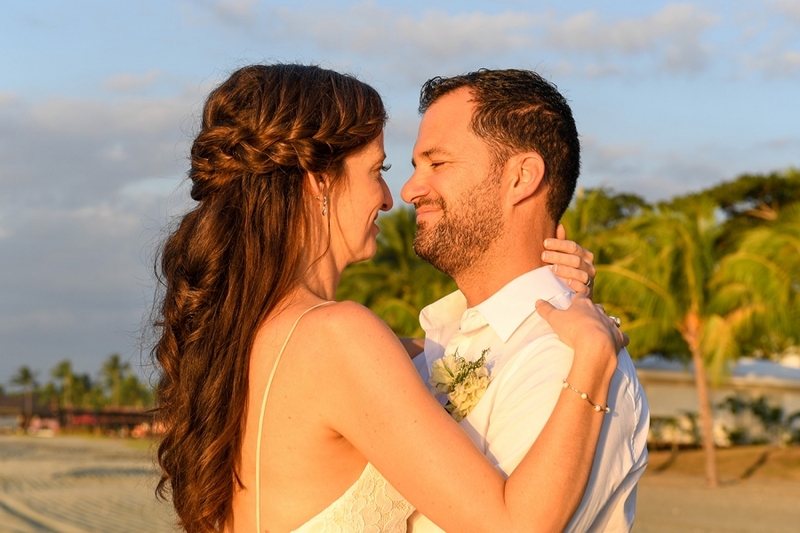 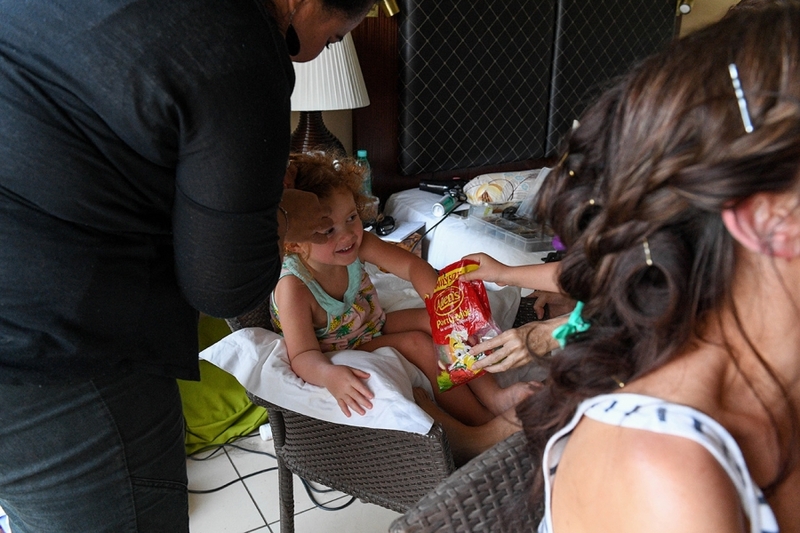 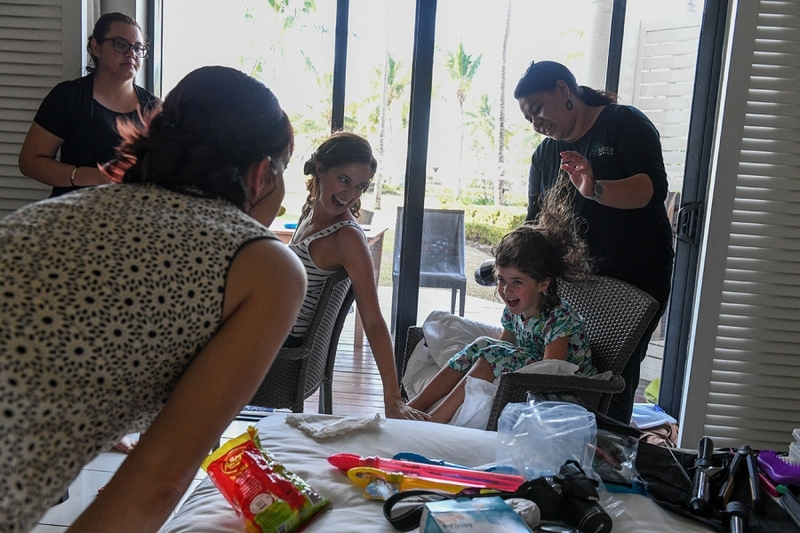 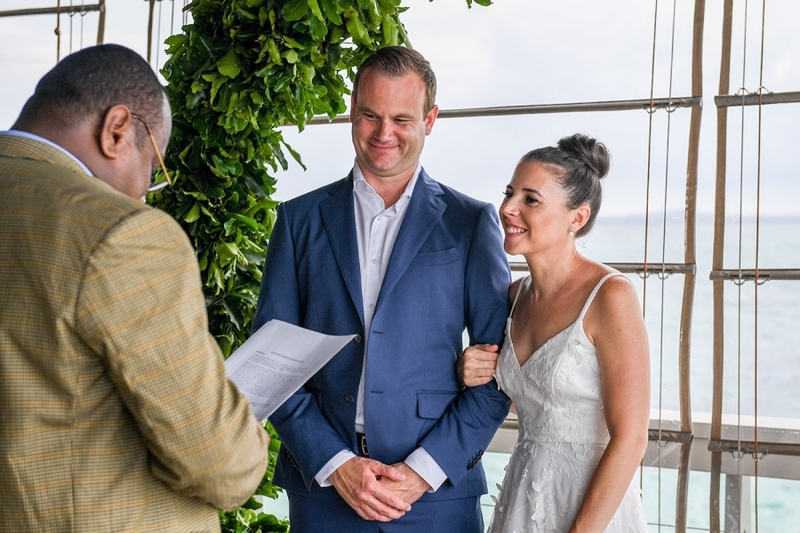 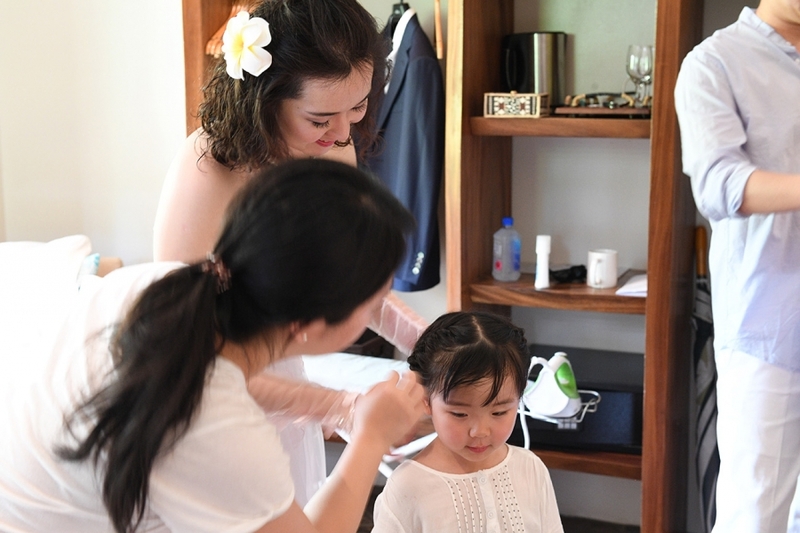 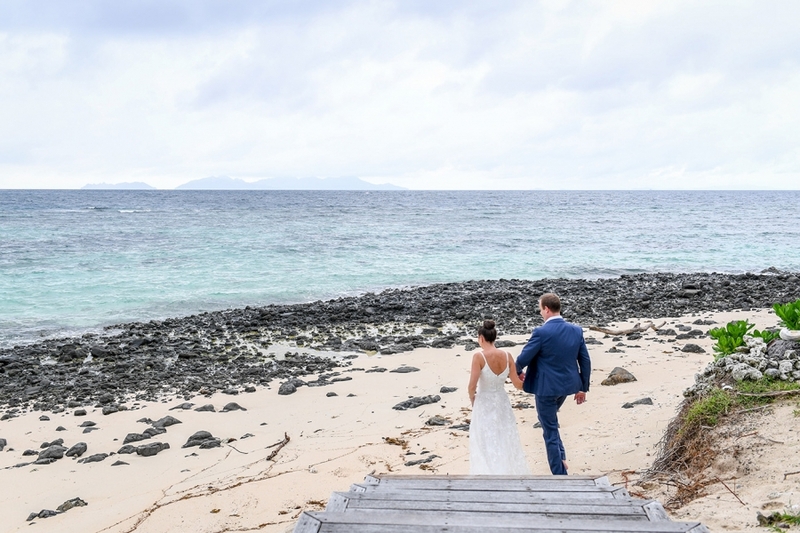 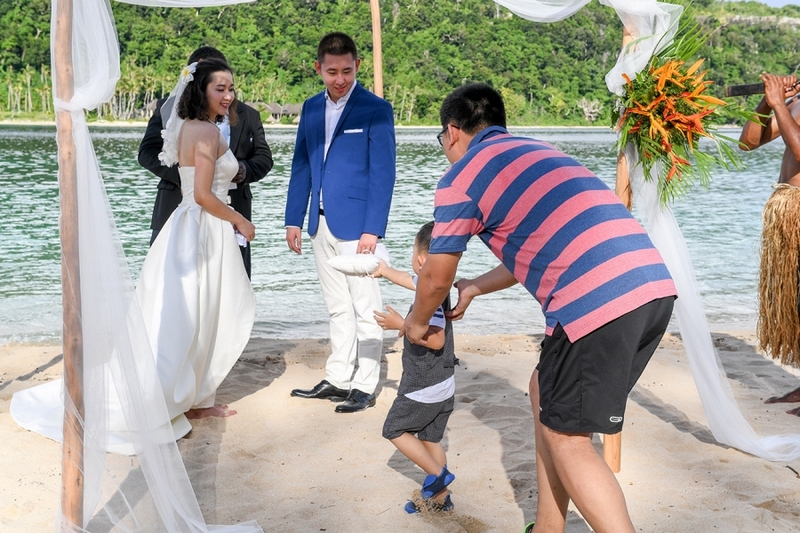 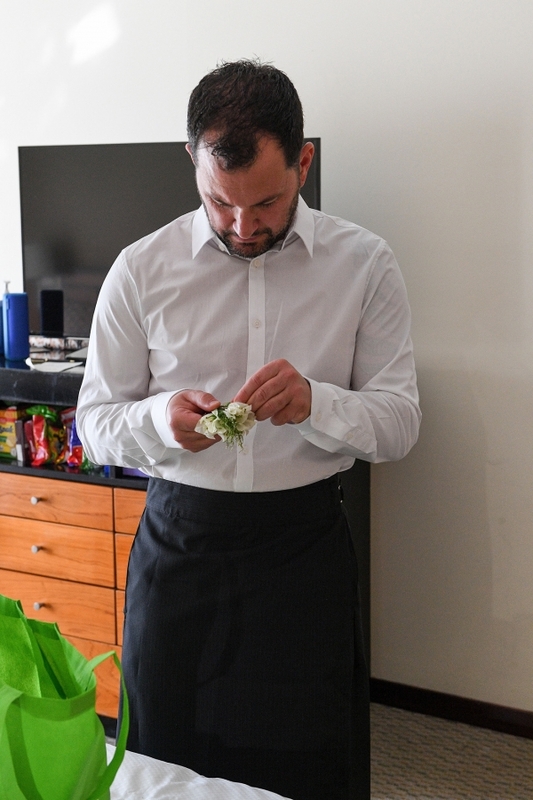 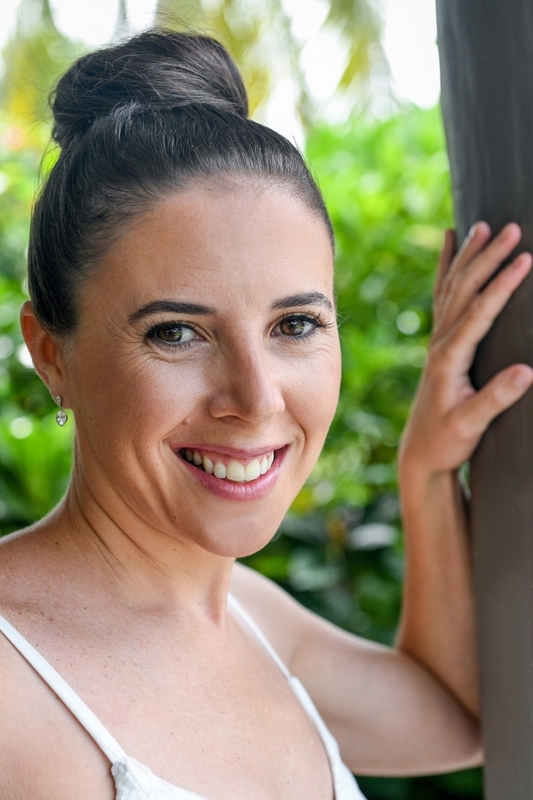 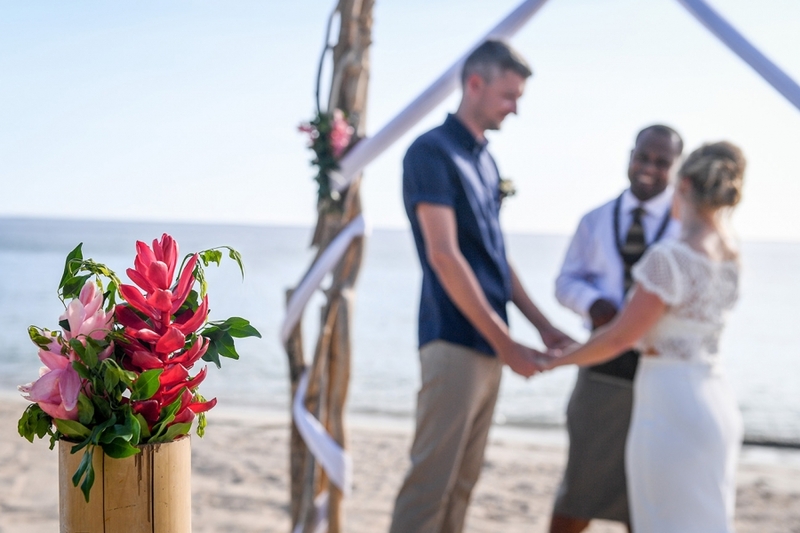 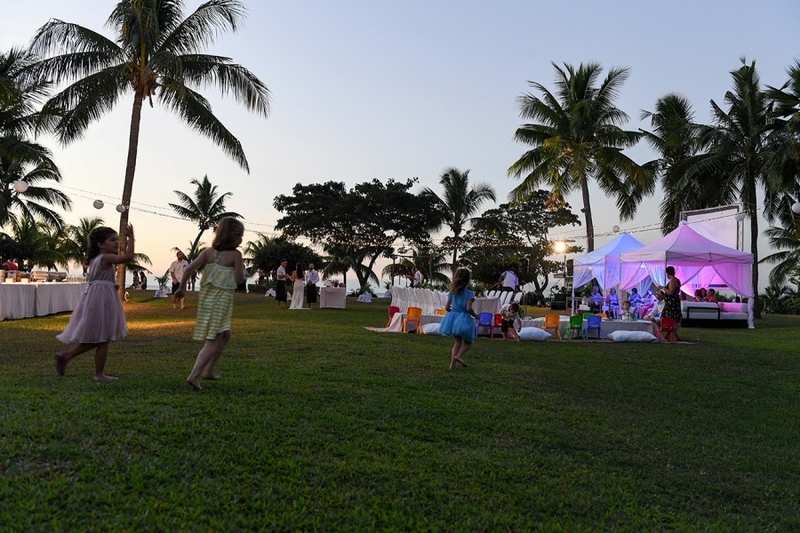 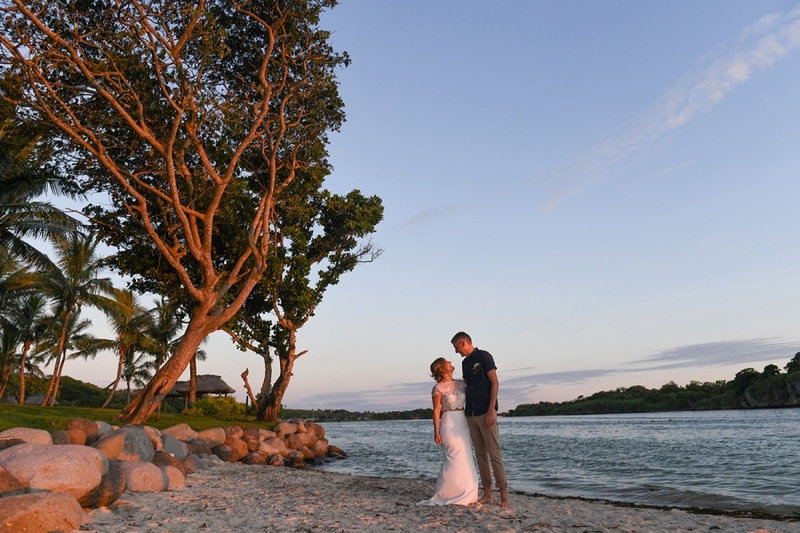 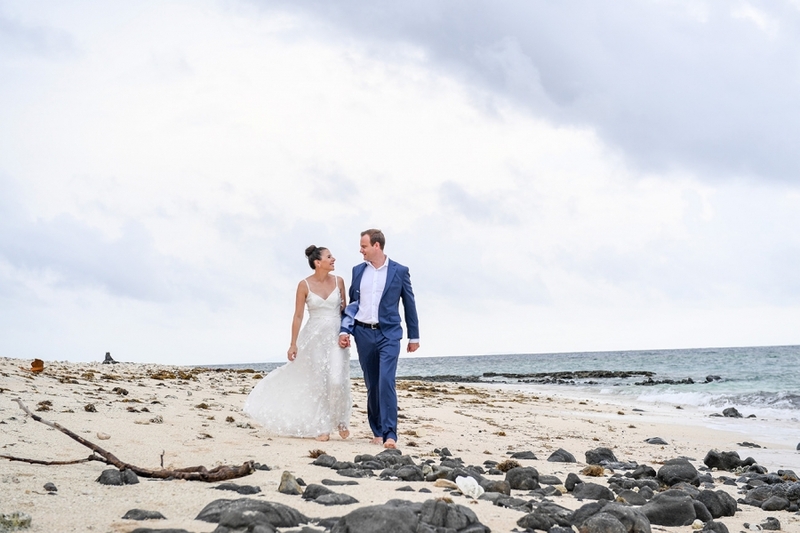 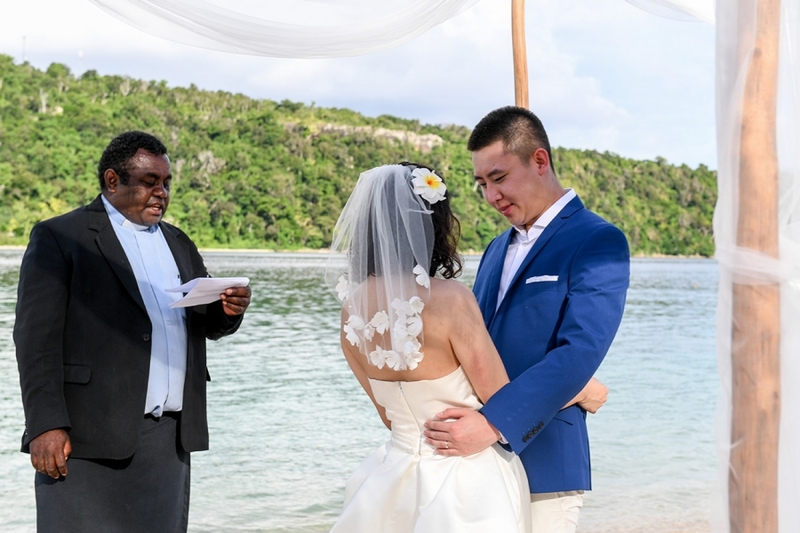 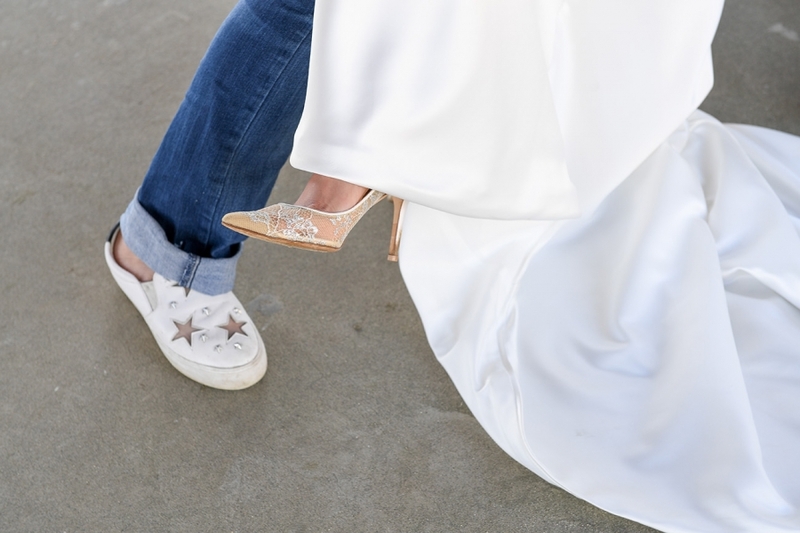 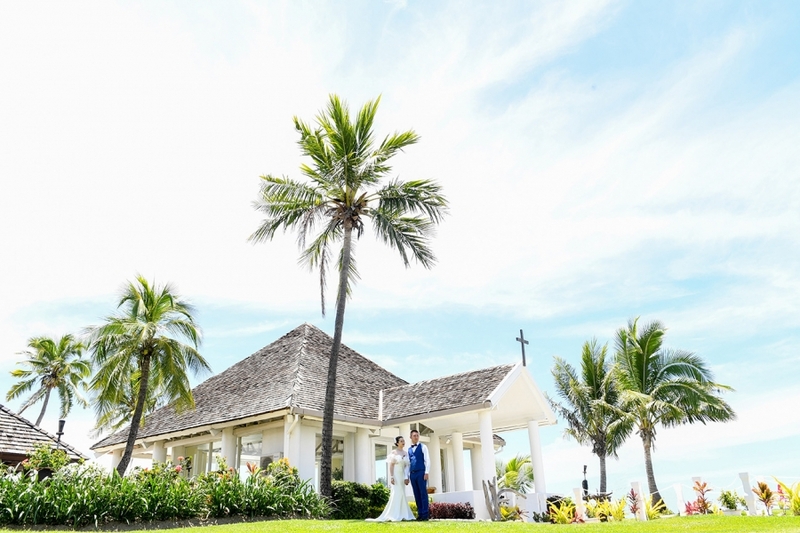 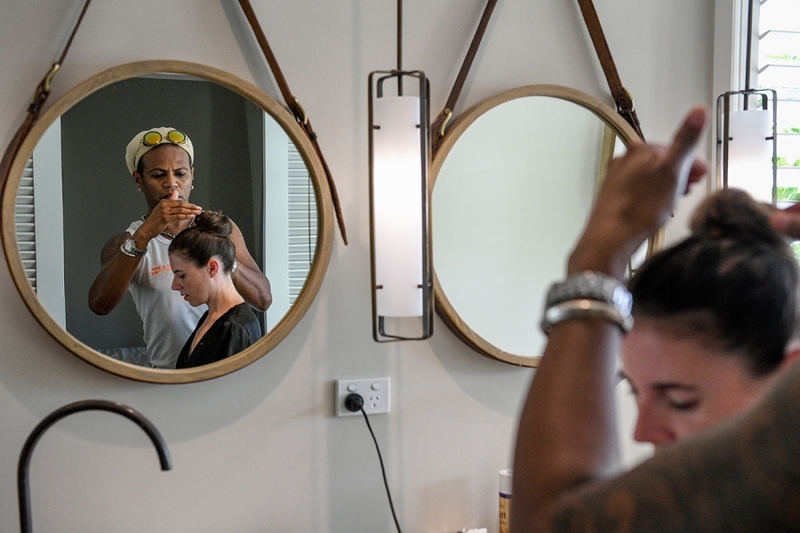 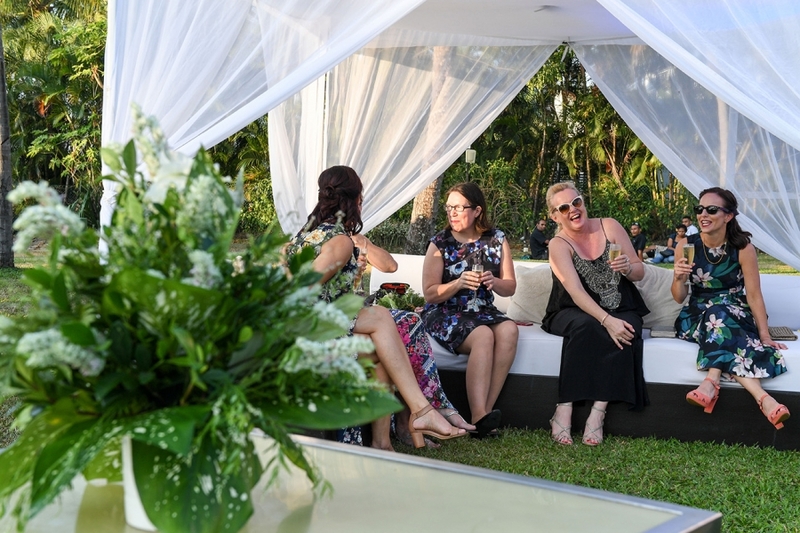 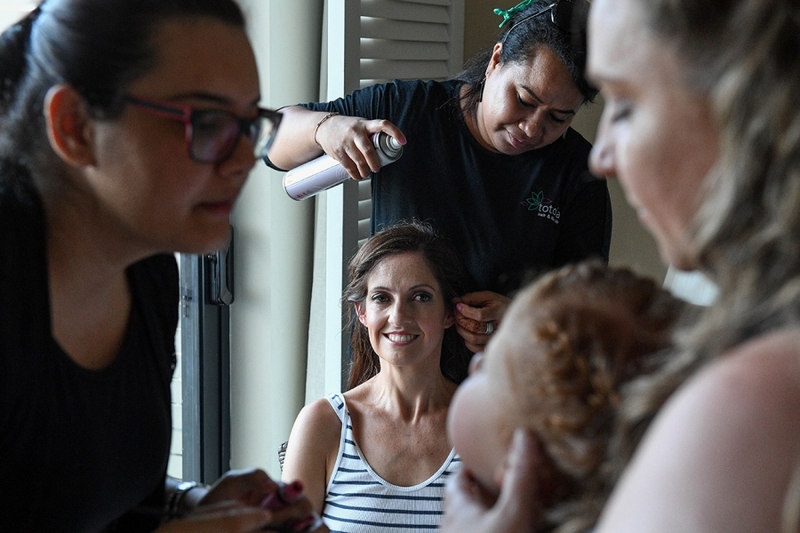 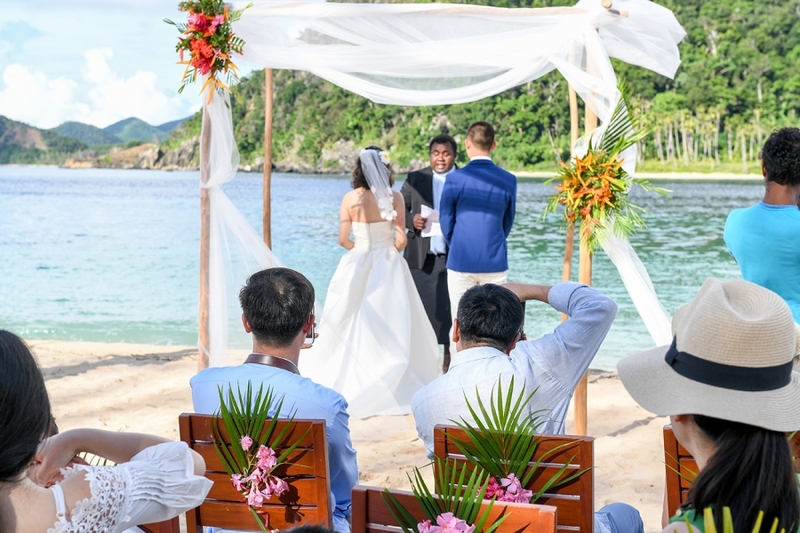 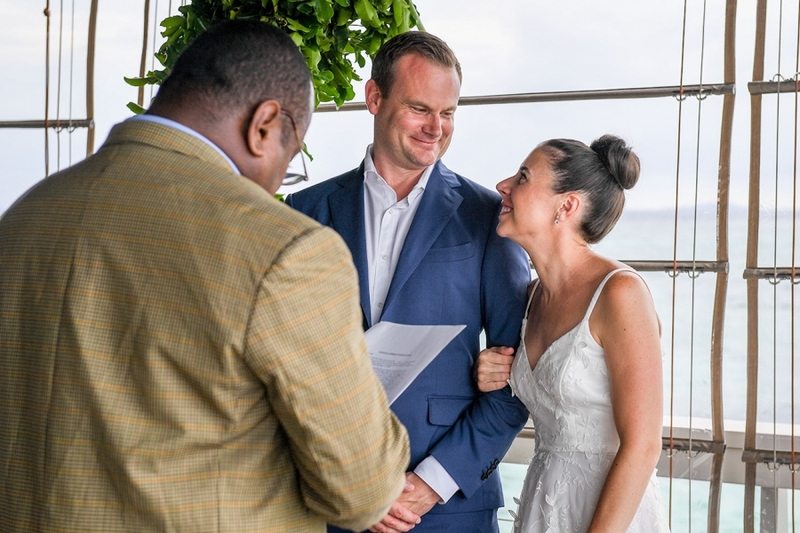 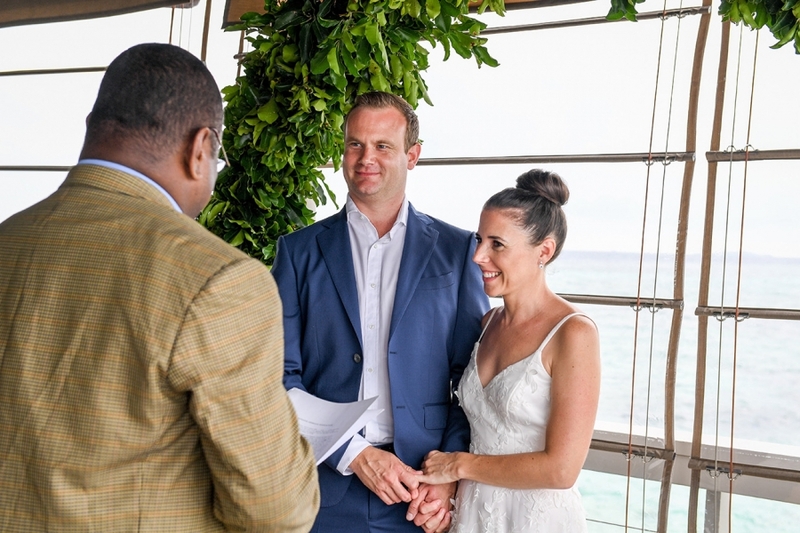 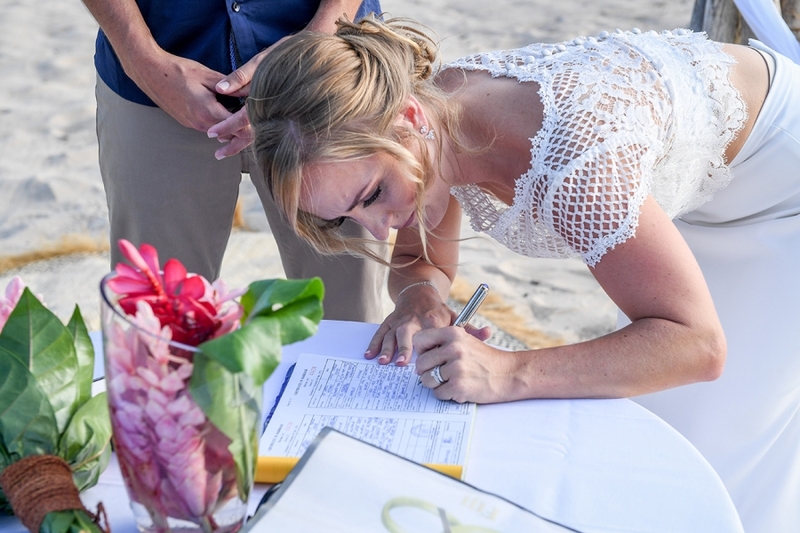 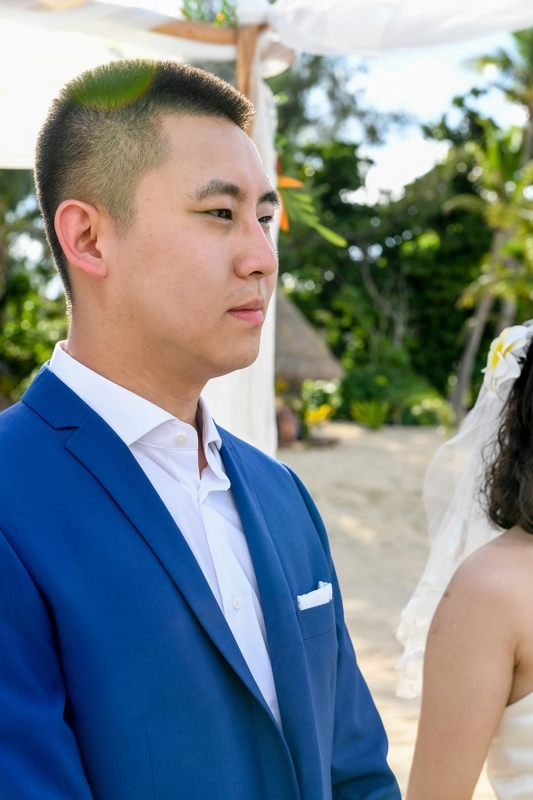 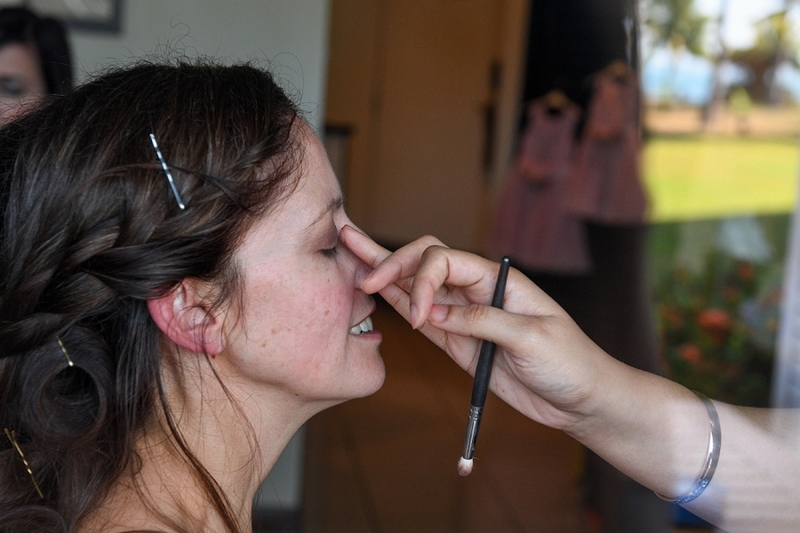 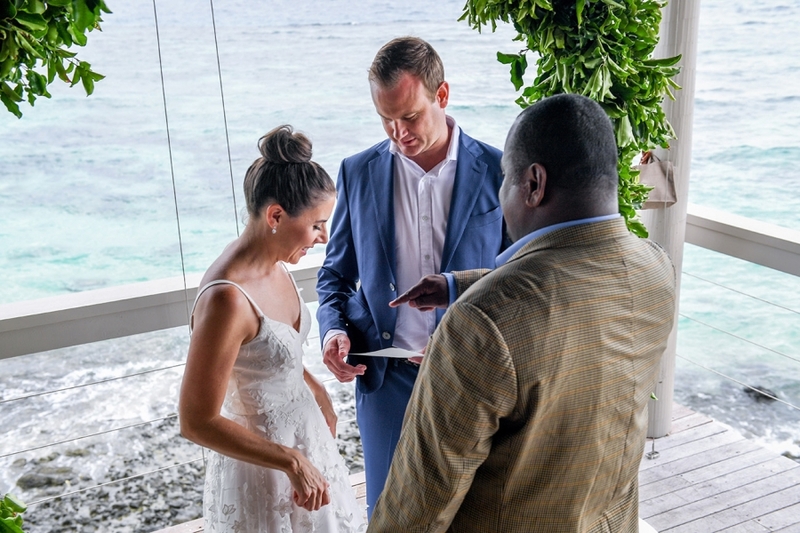 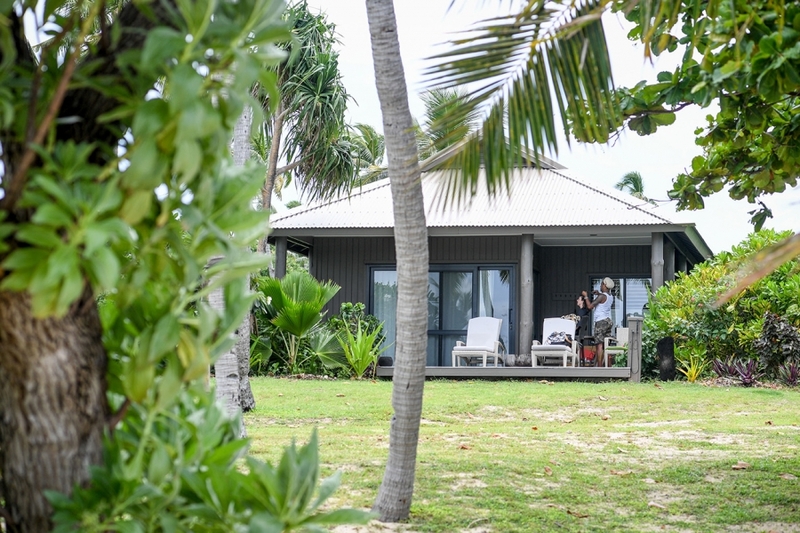 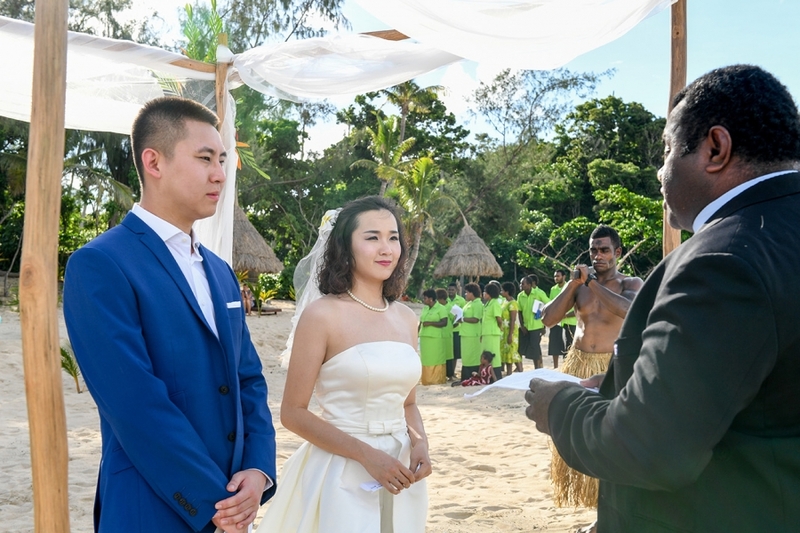 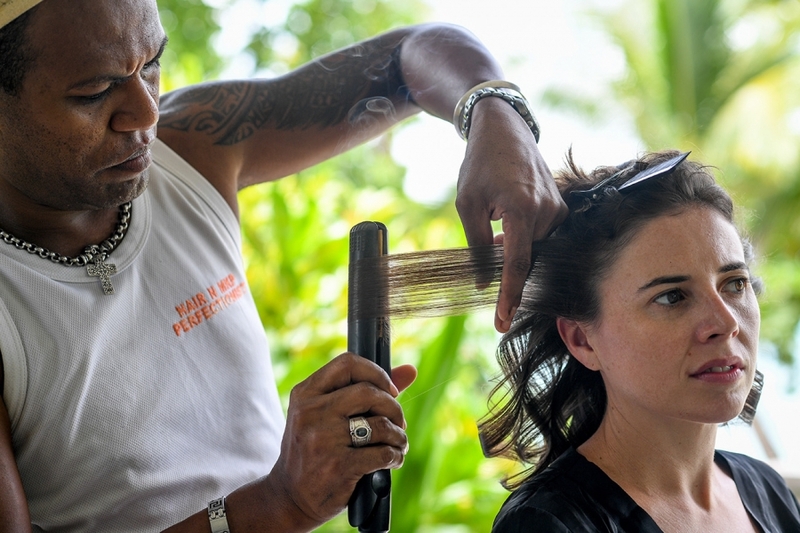 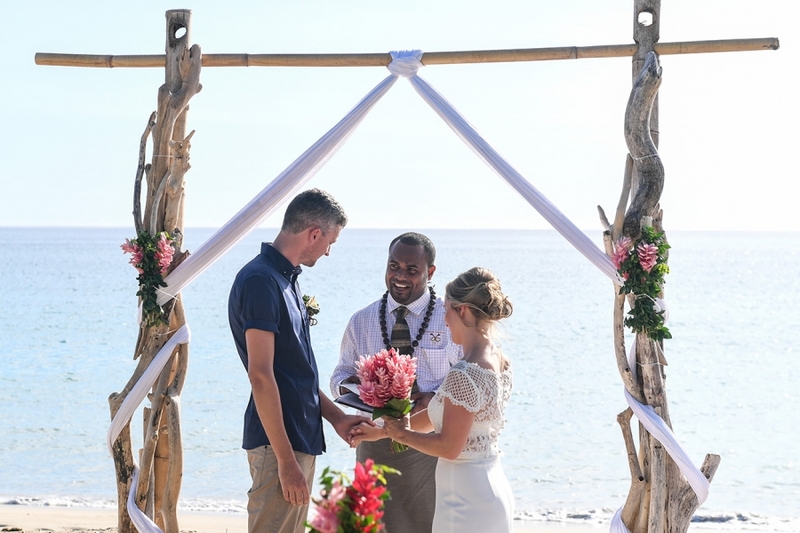 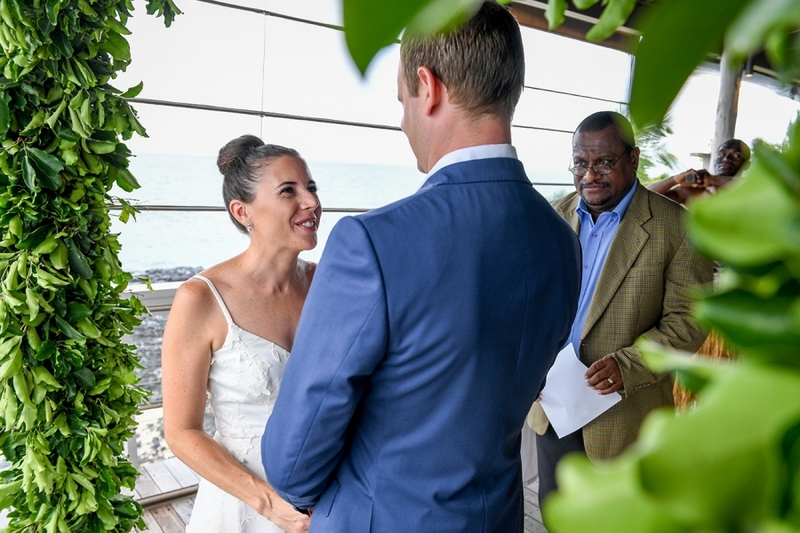 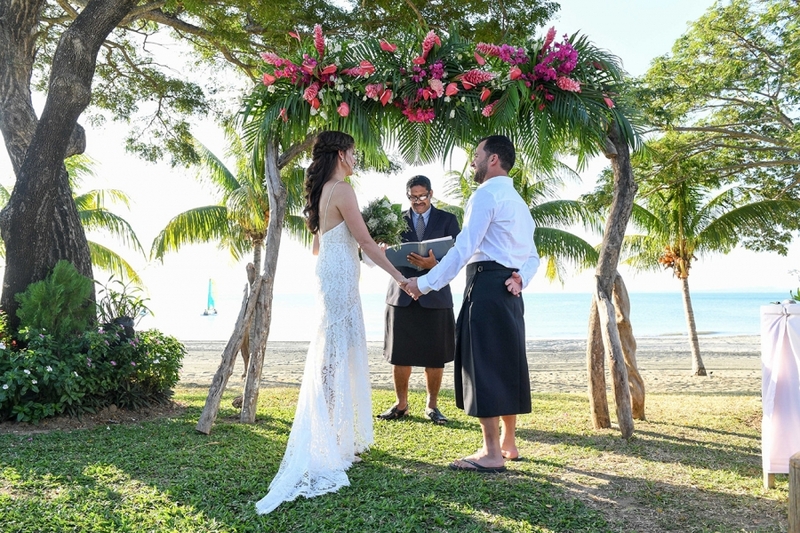 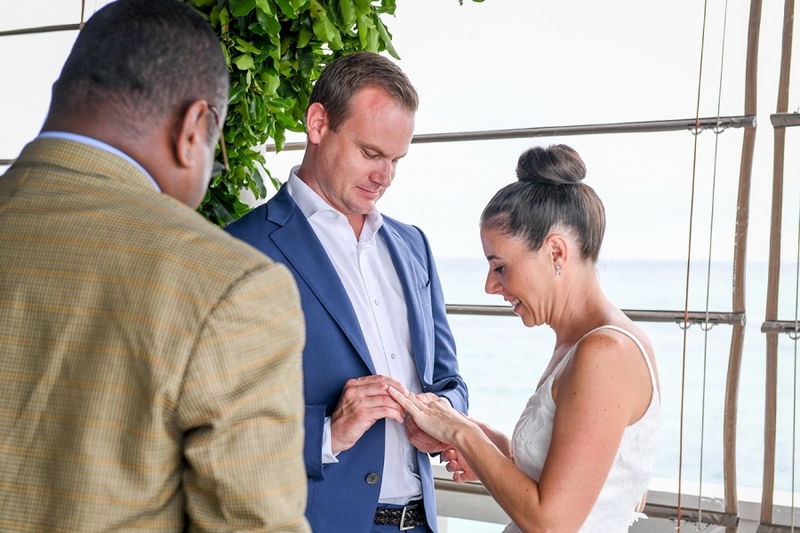 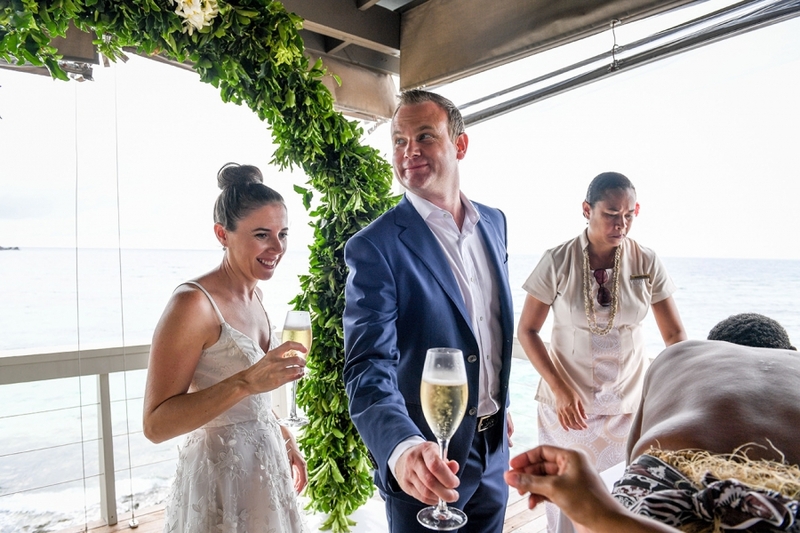 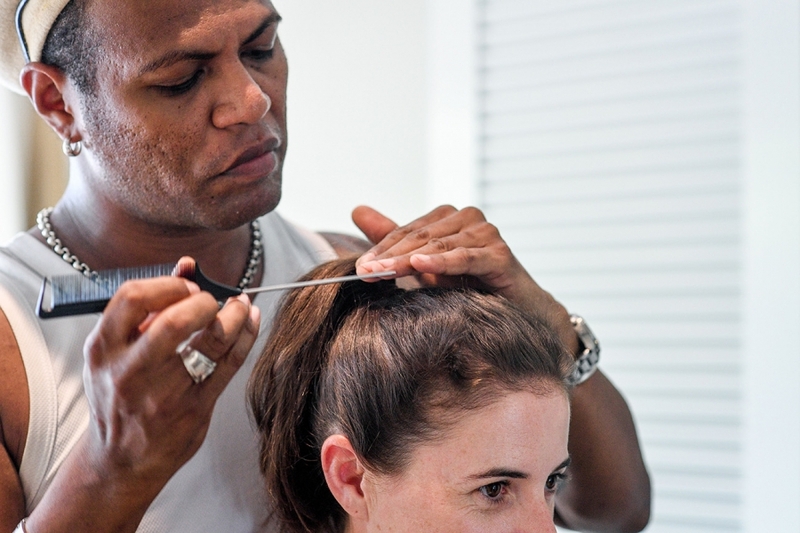 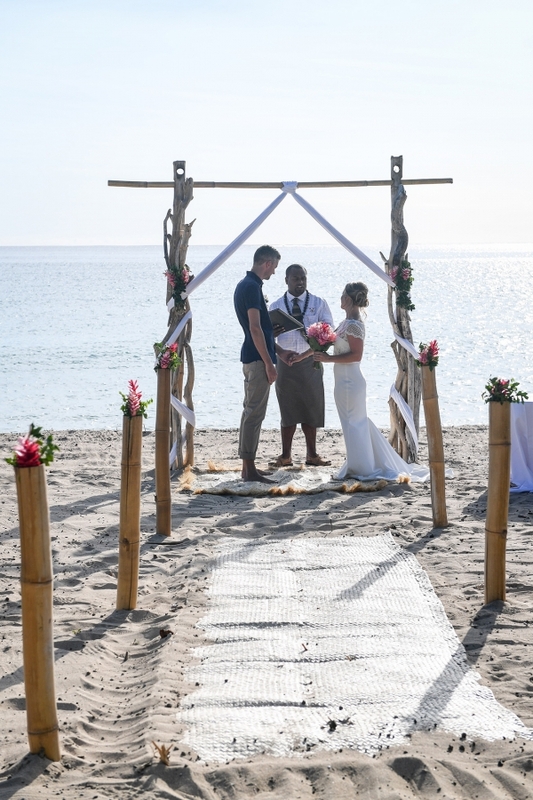 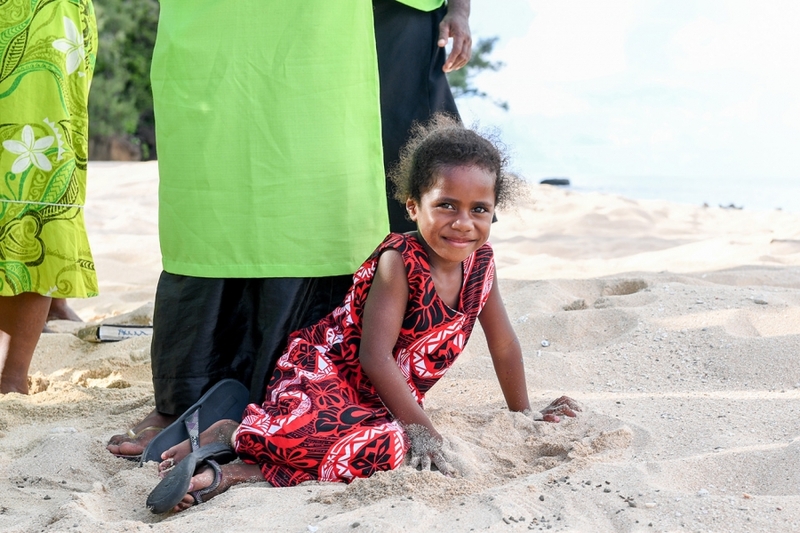 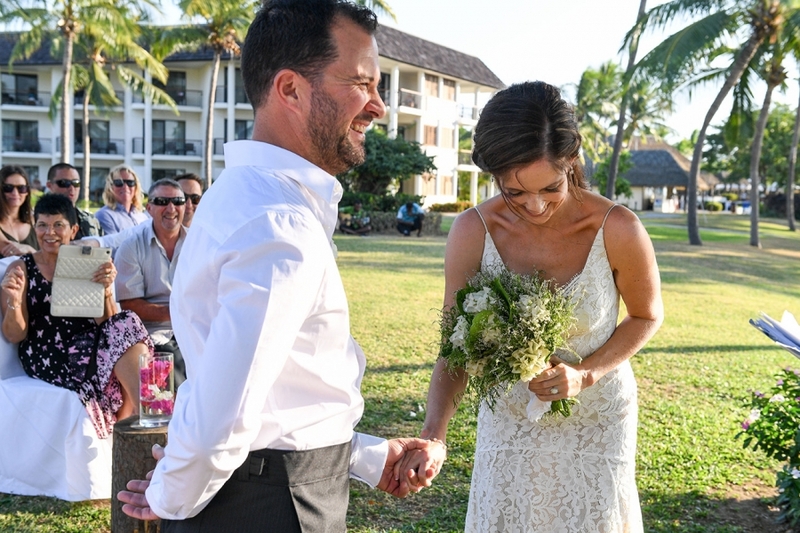 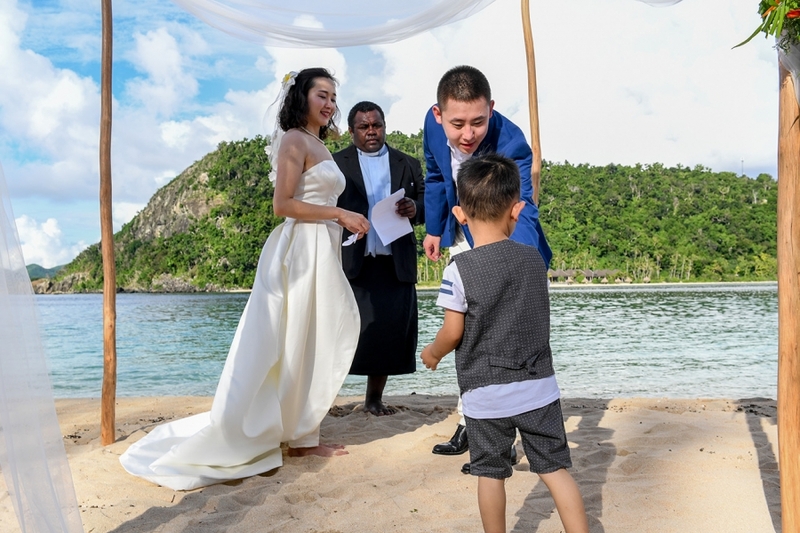 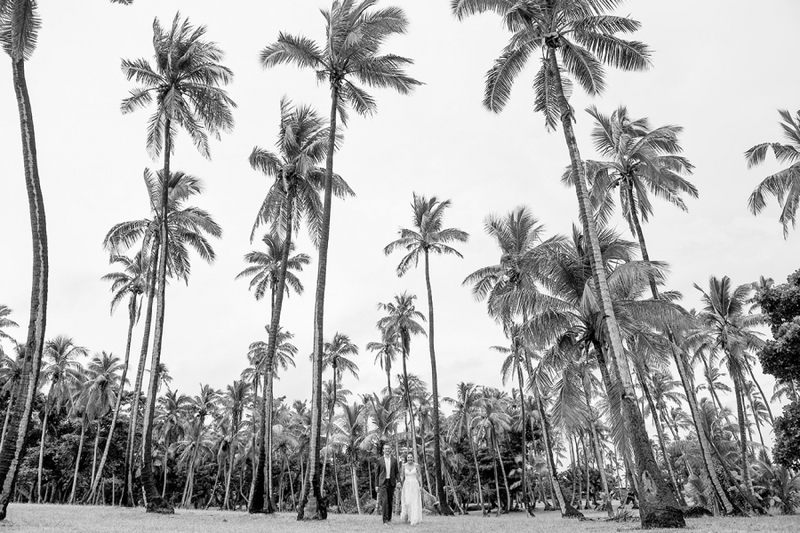 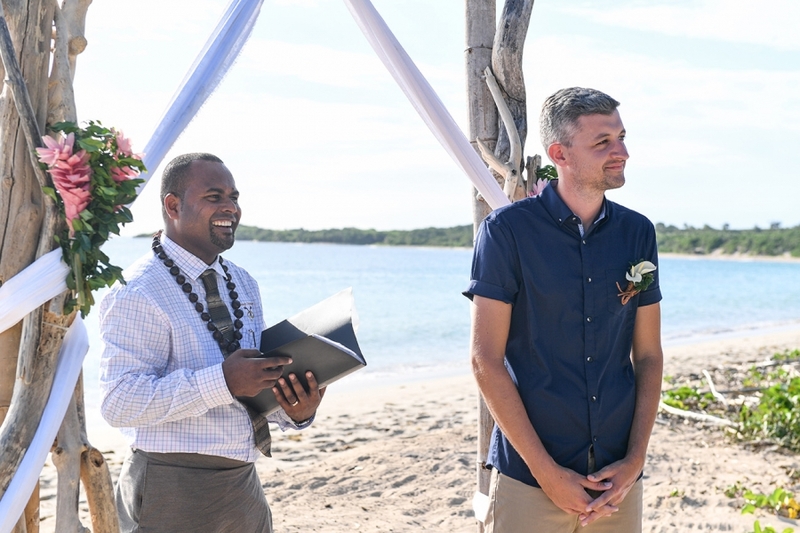 White sand, swaying palm trees, Fijian warriors, and celebrant… It was the perfect venue for an intimate exchange of their vows with their two young sons and to have an authentic experience. 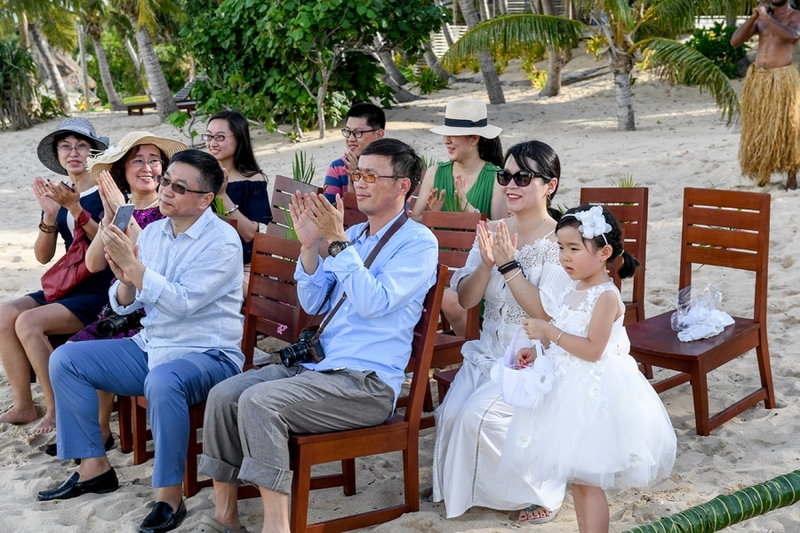 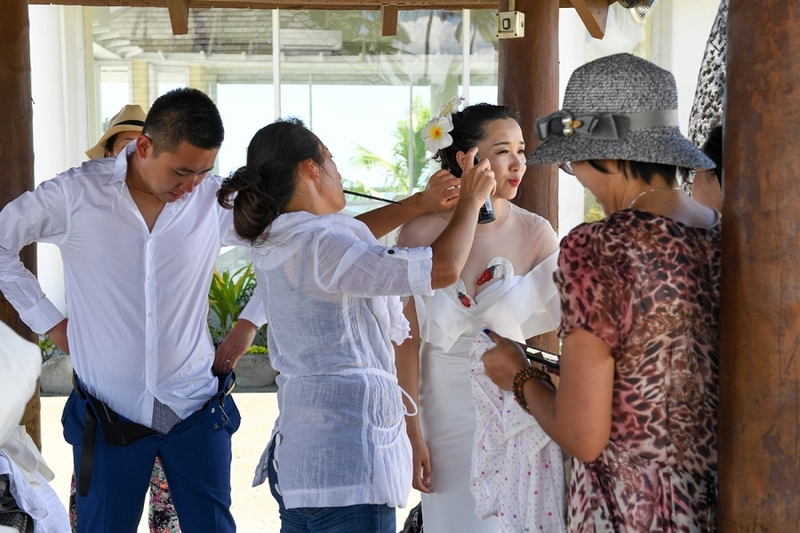 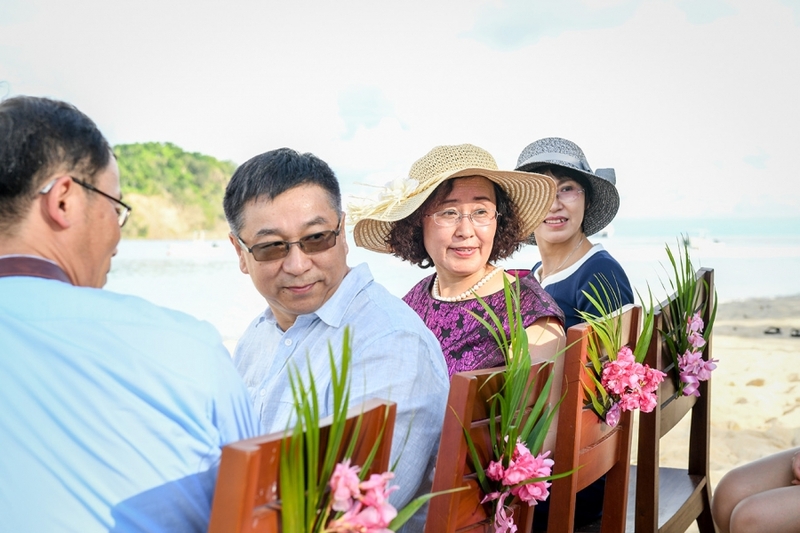 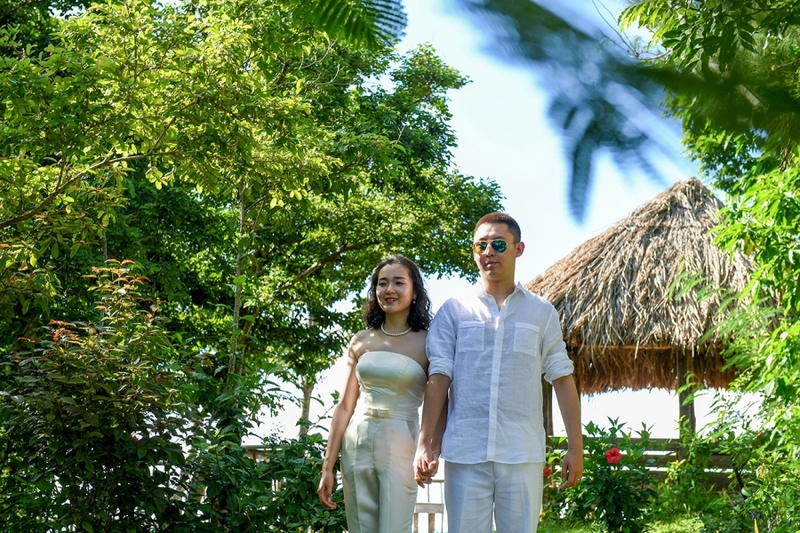 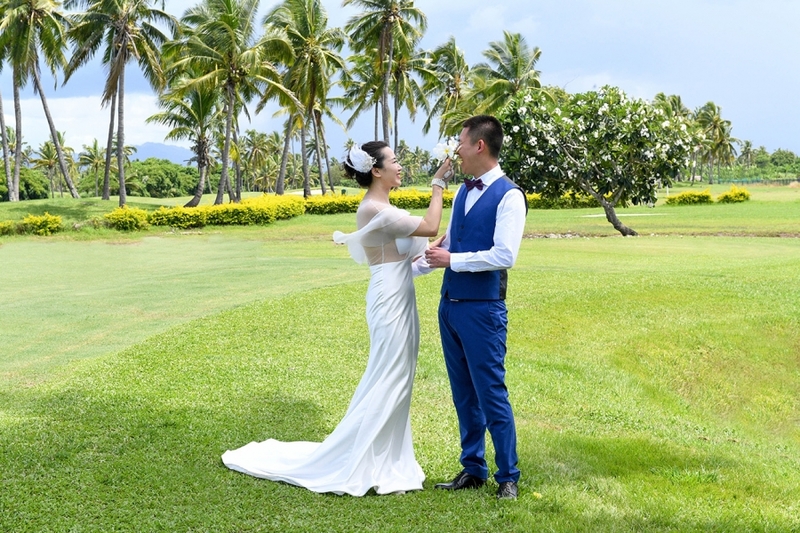 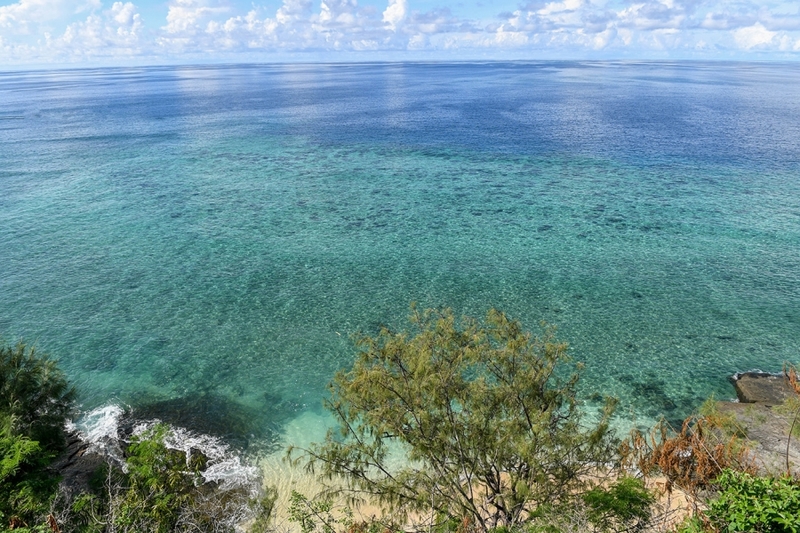 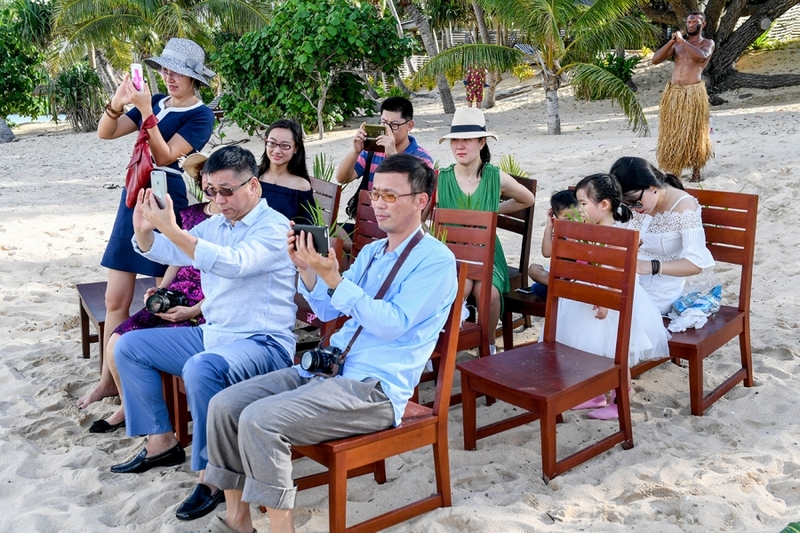 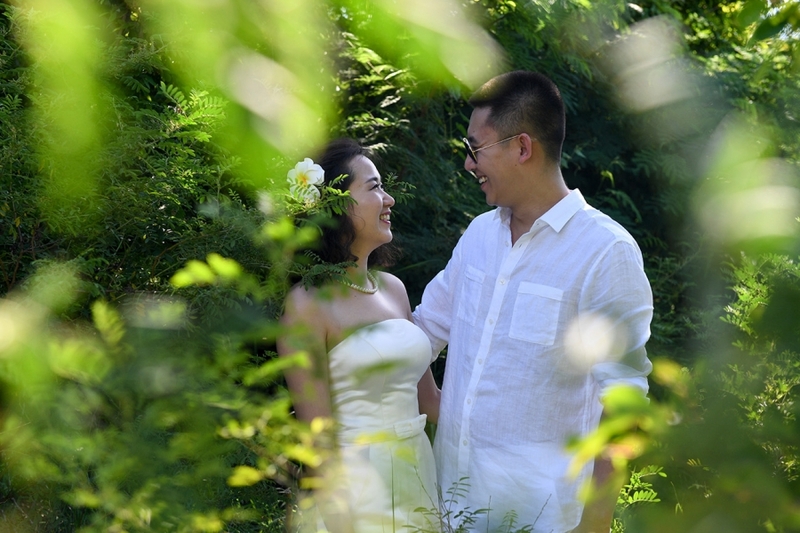 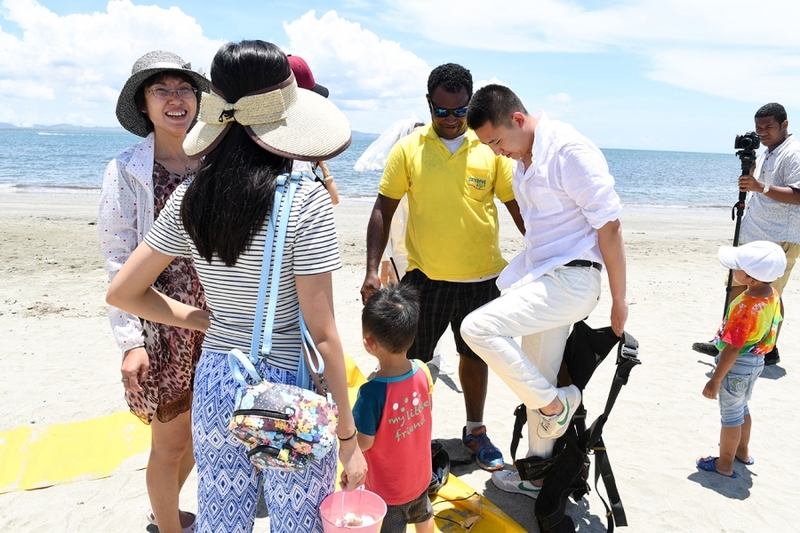 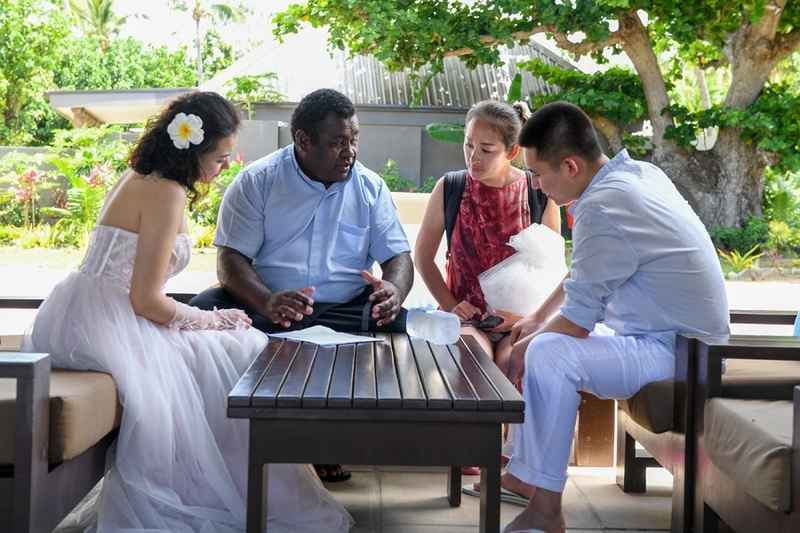 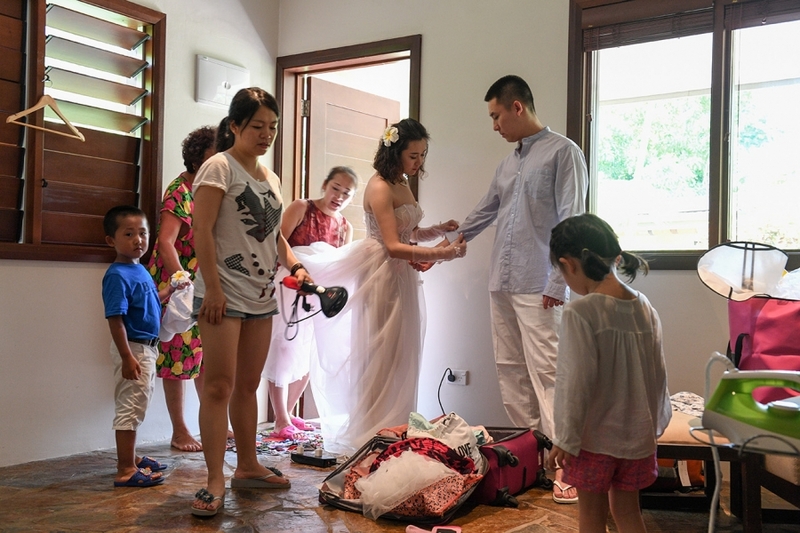 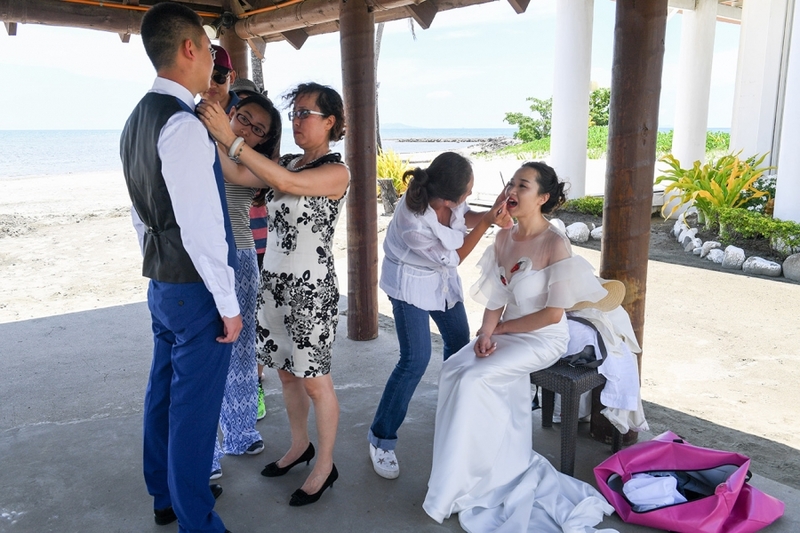 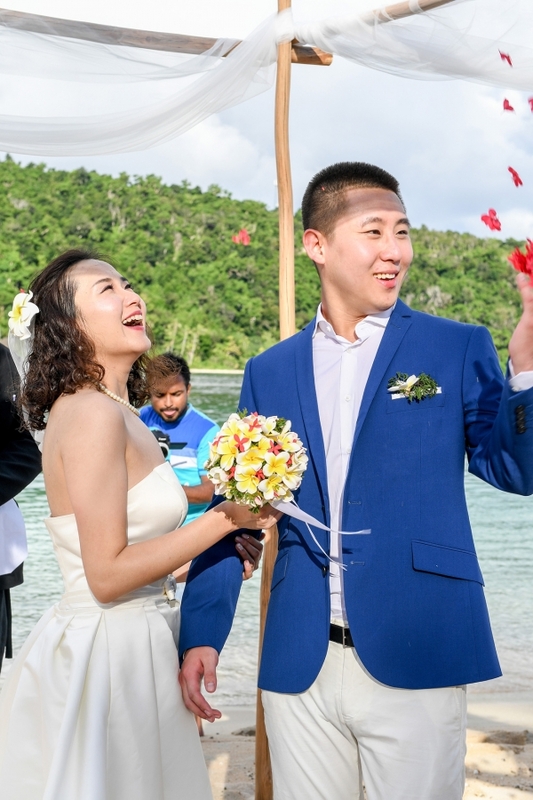 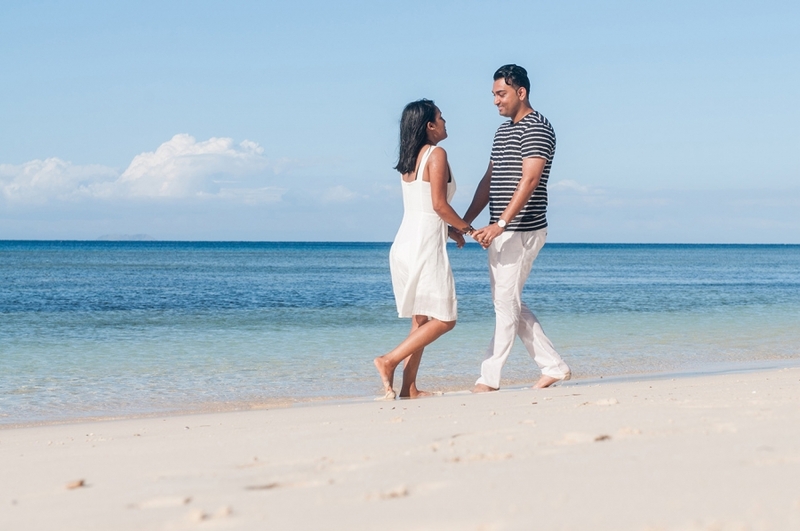 The Chinese couple came to Fiji to escape the cold winter and enjoy the white sand Fijian beaches. 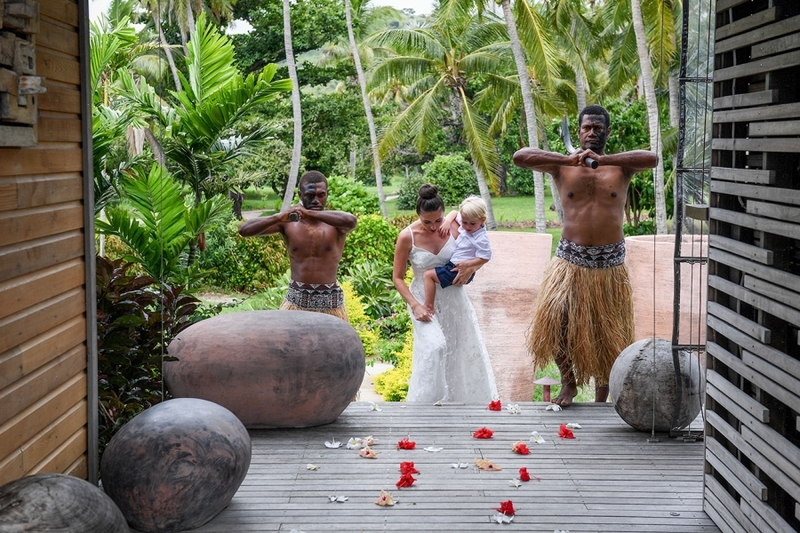 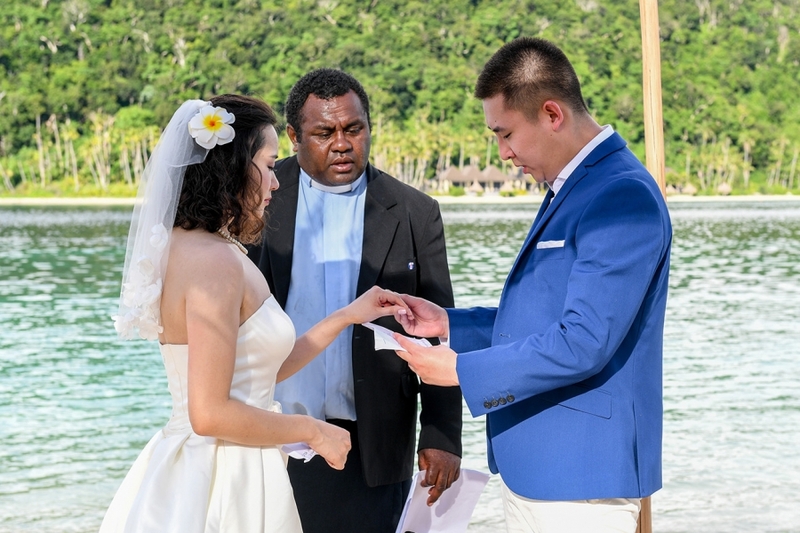 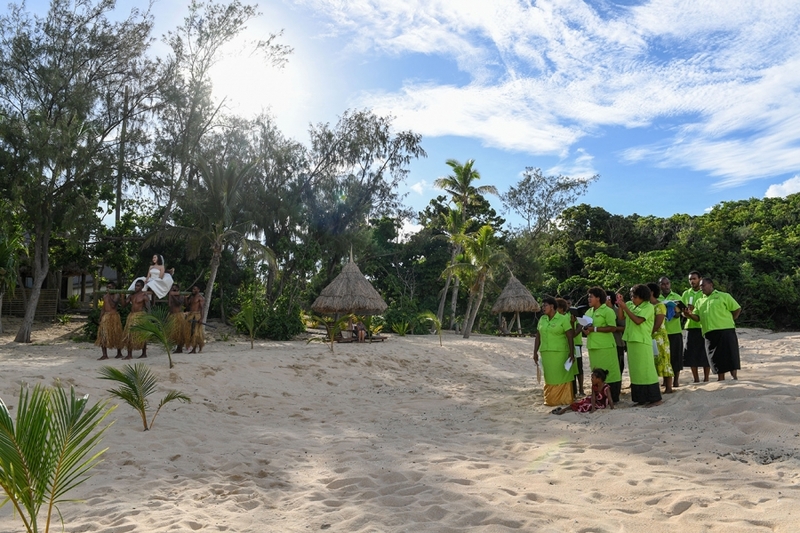 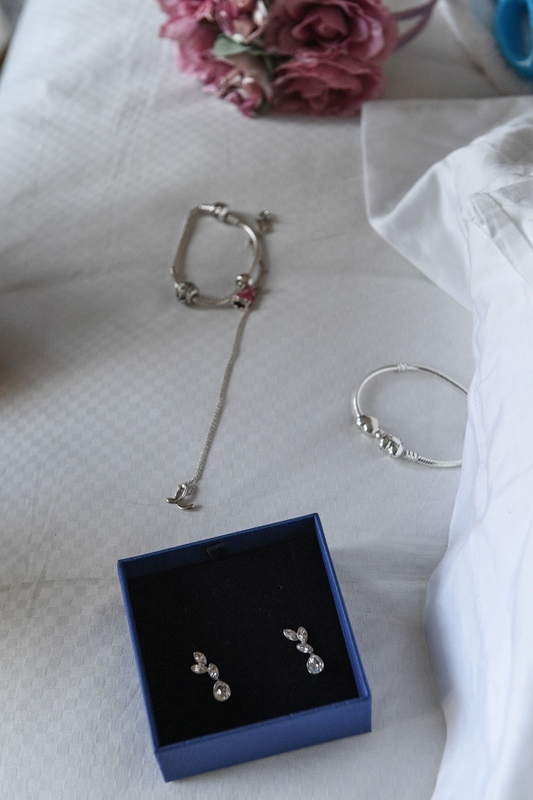 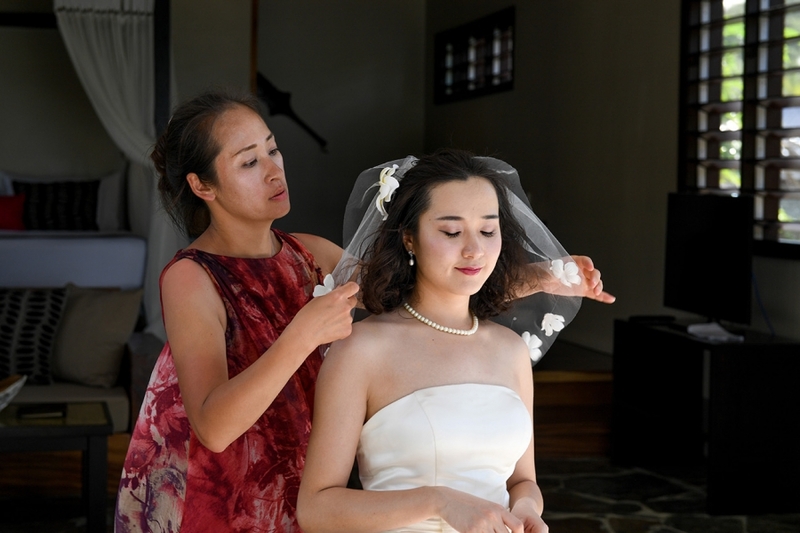 They had a traditional Fijian wedding ceremony at the stunning Paradise Cove Island Resort in the Yasawas island. 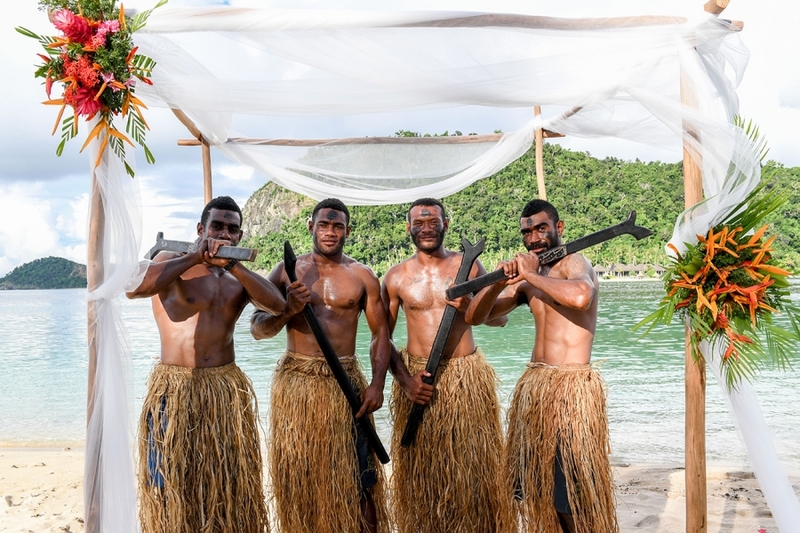 The bride got carried by four Fijian warriors to her husband while the choir was singing. 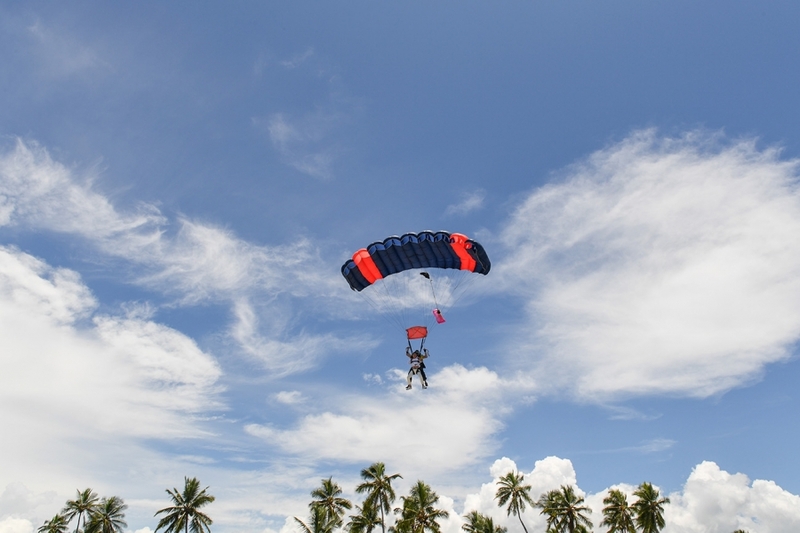 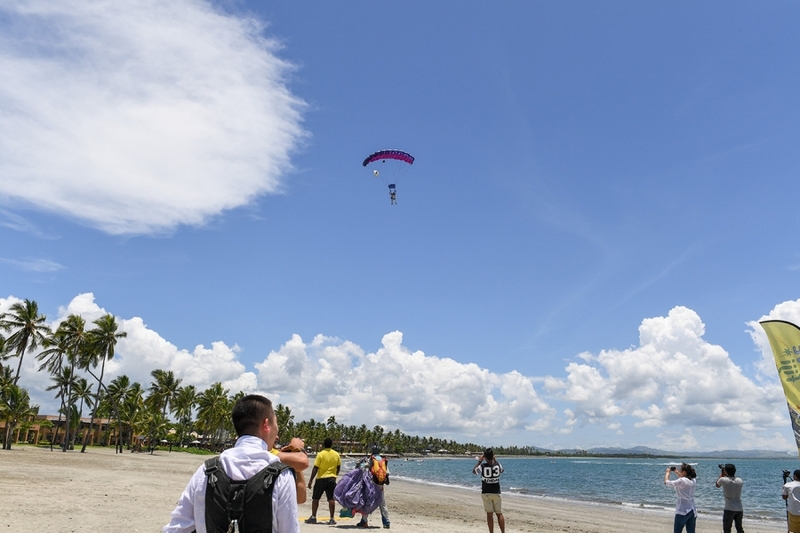 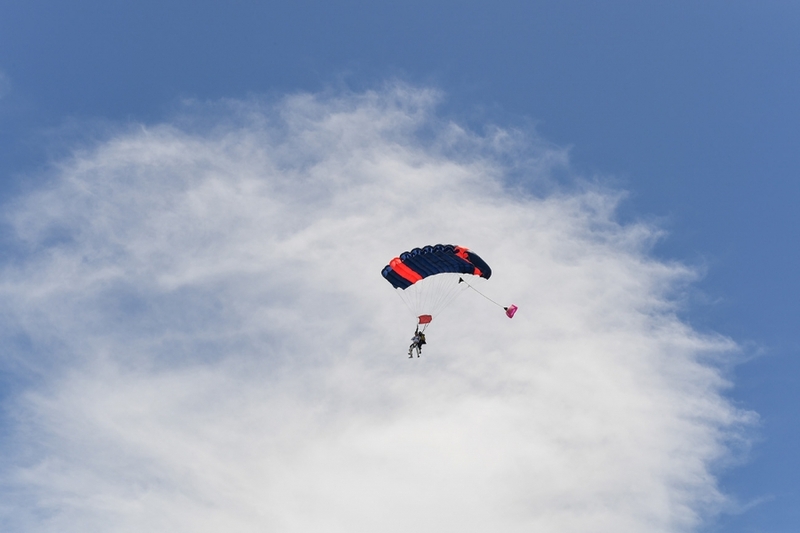 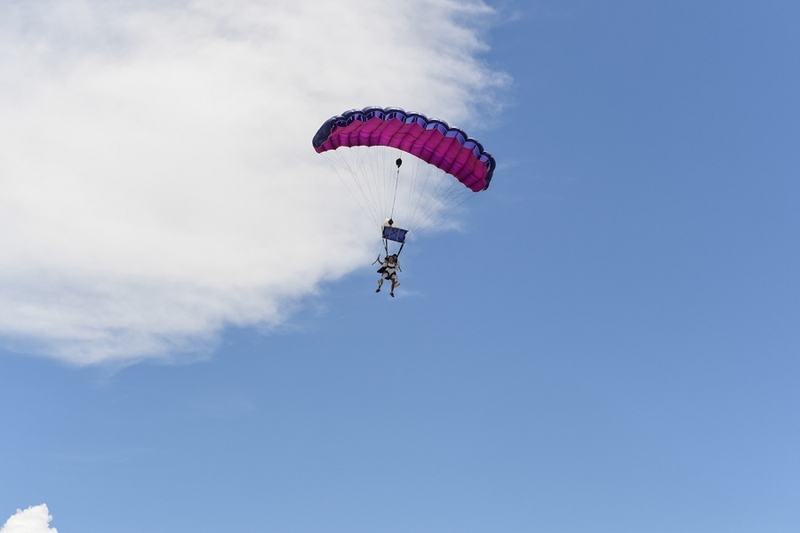 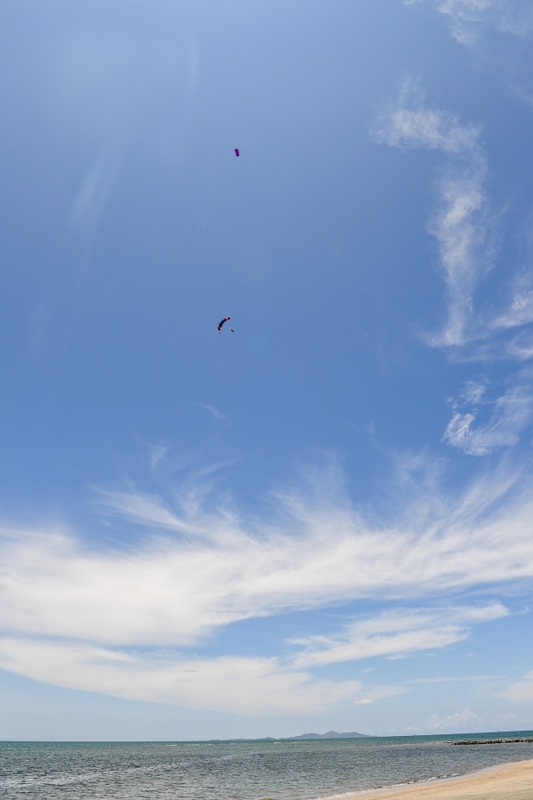 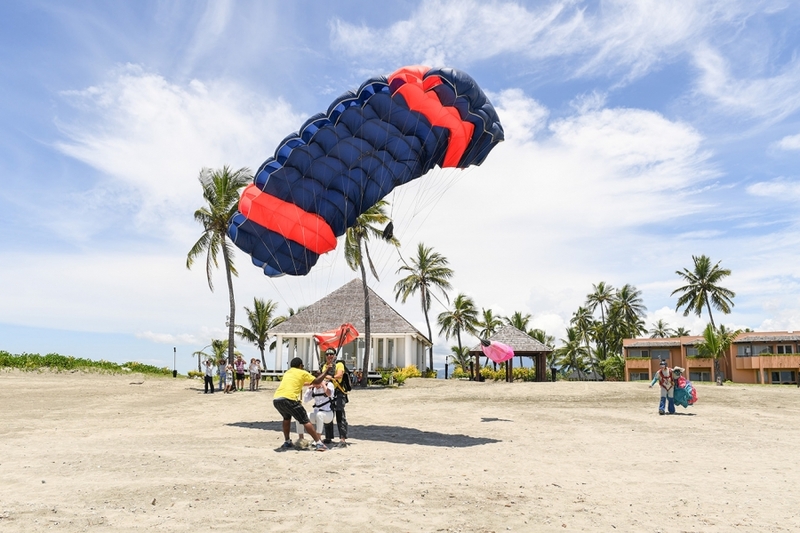 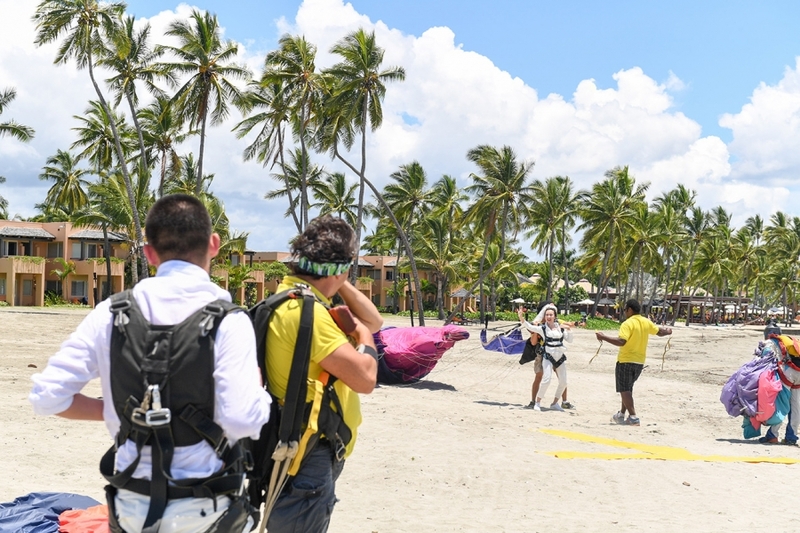 They also had a taste for adventure and parasailed to the Sheraton beach in Denerau. 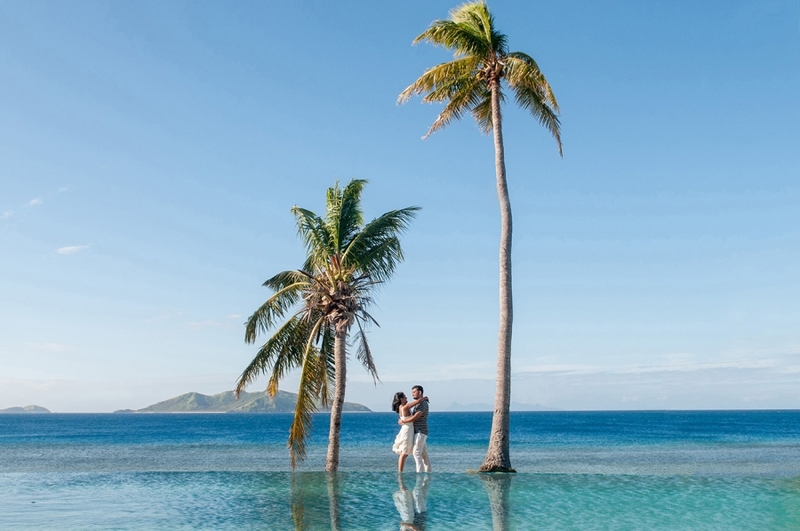 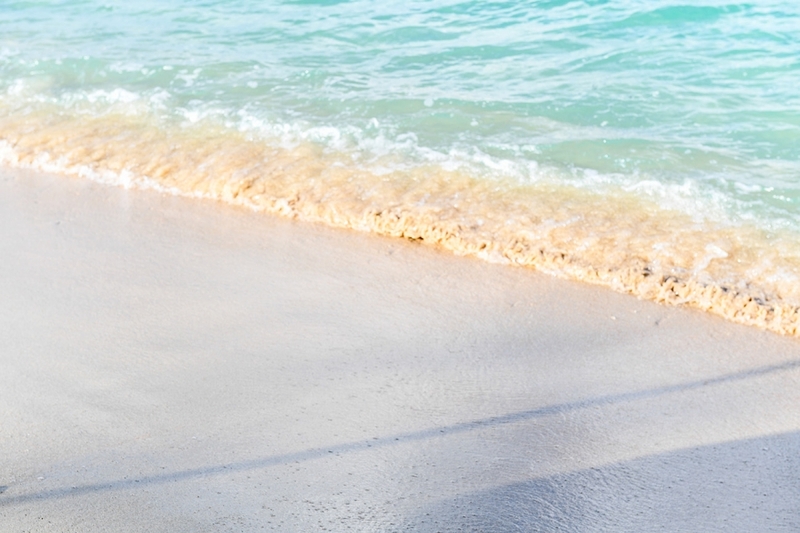 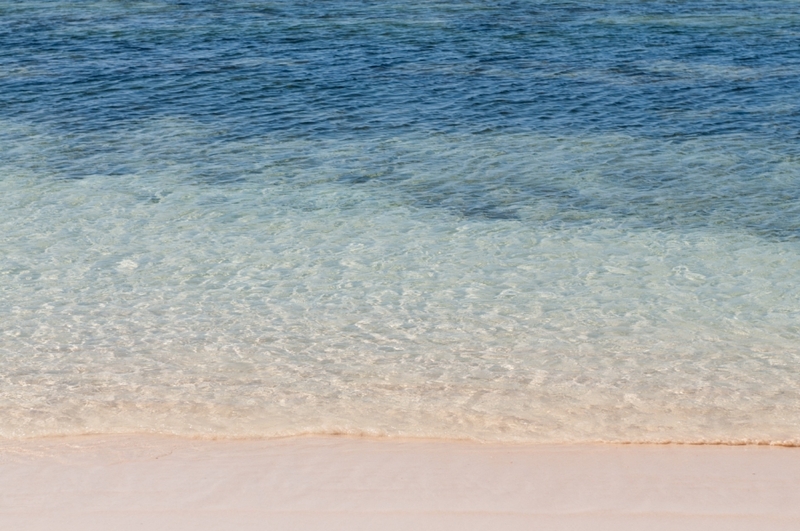 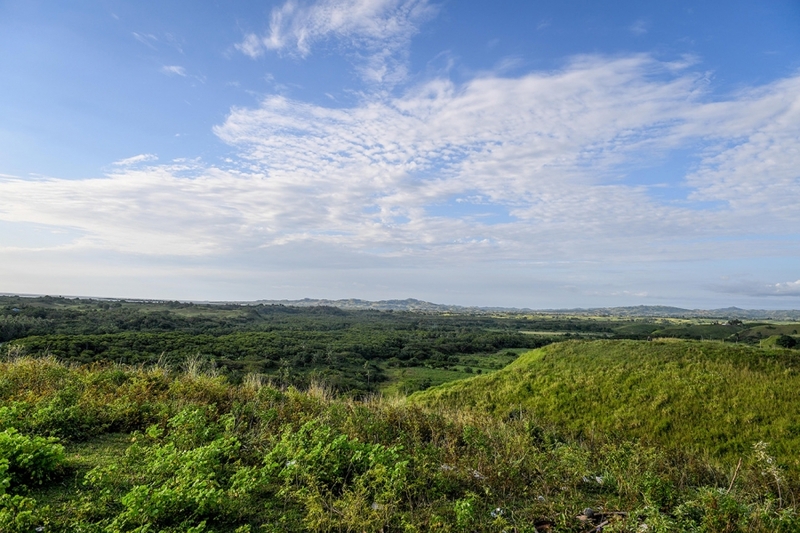 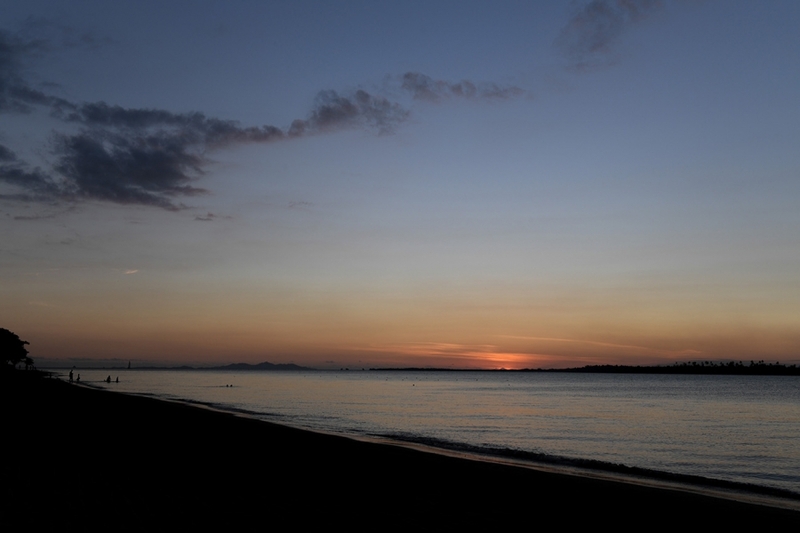 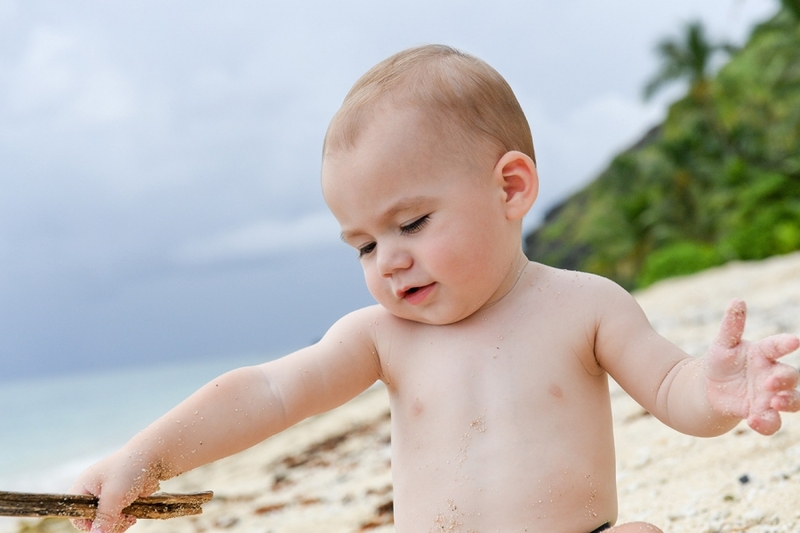 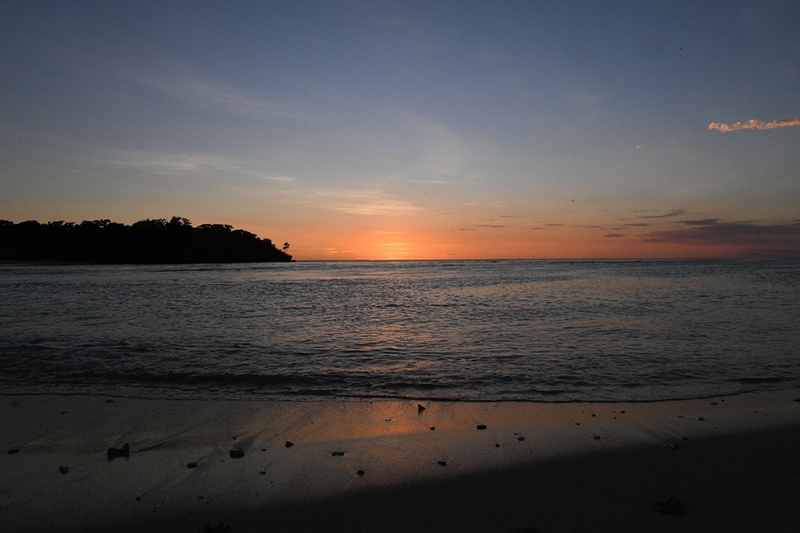 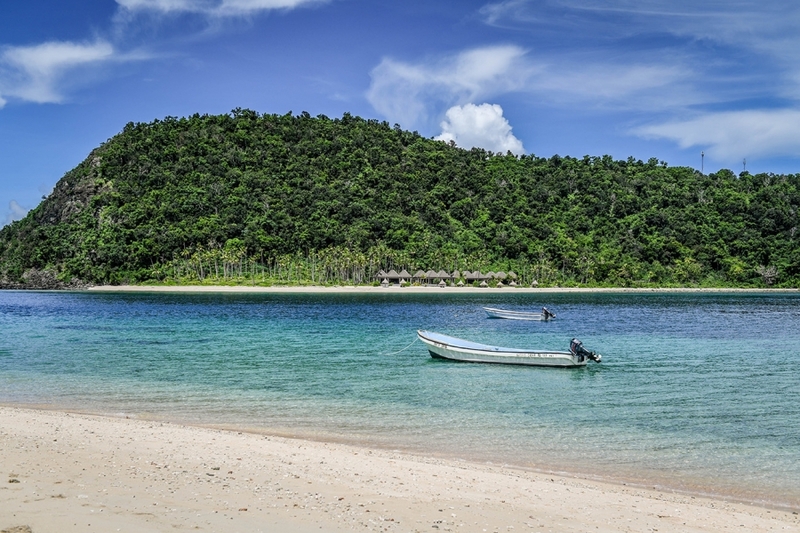 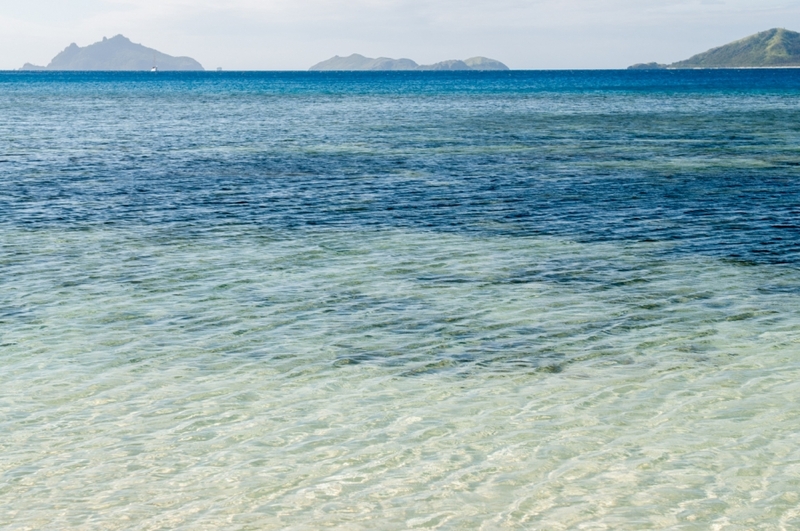 White sand, palm trees, shades of pure blue… It is Fiji! 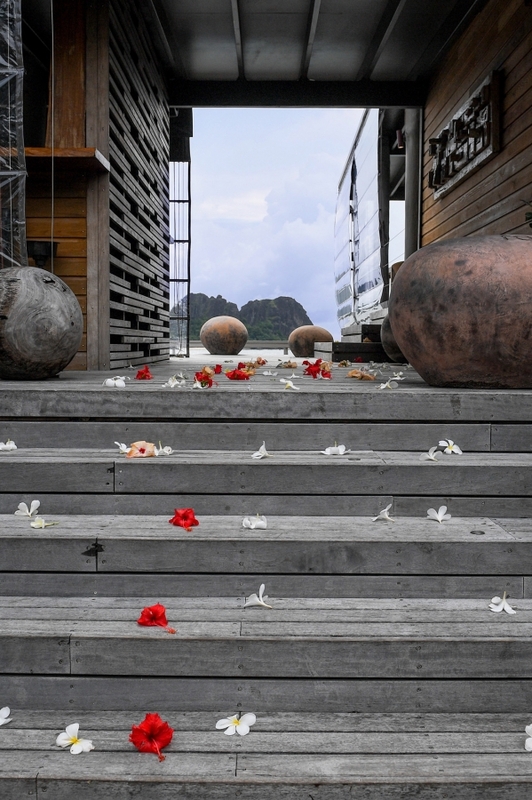 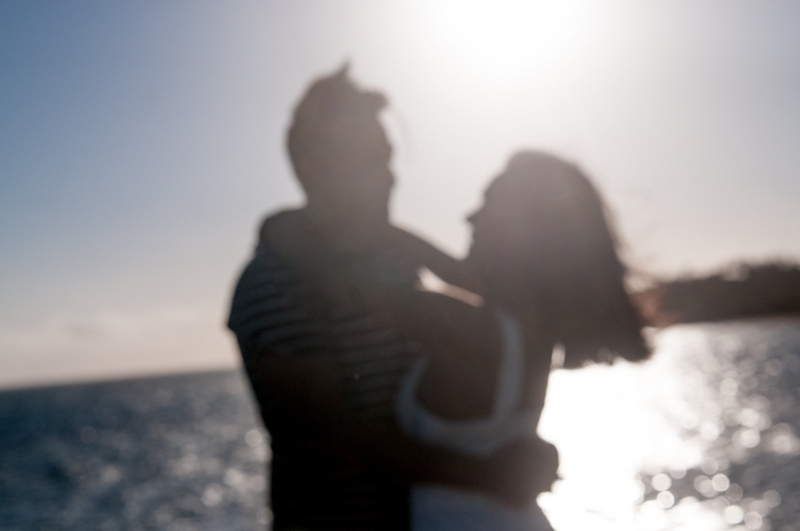 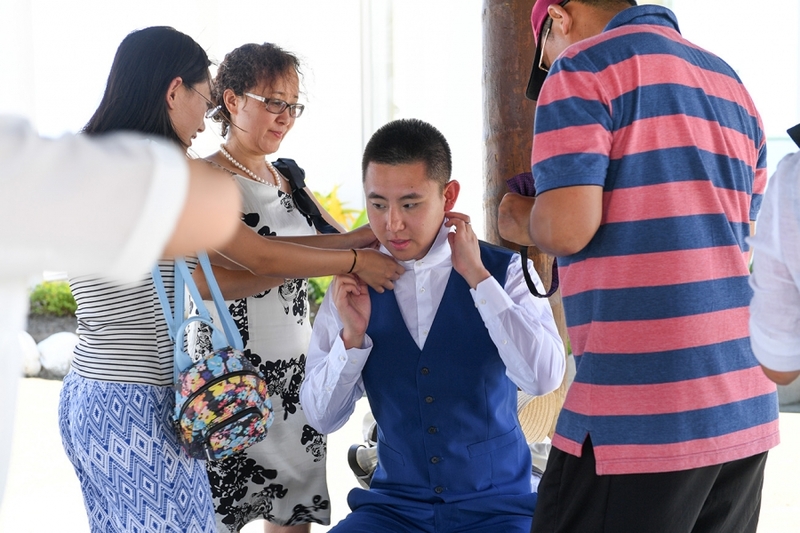 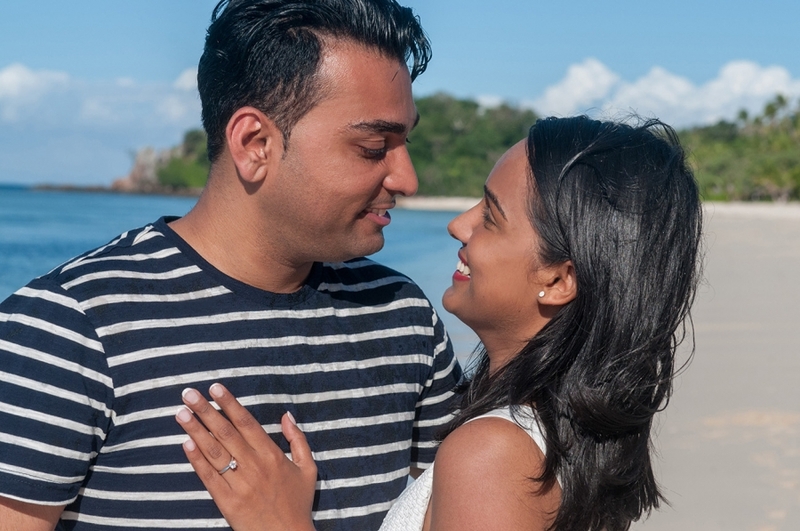 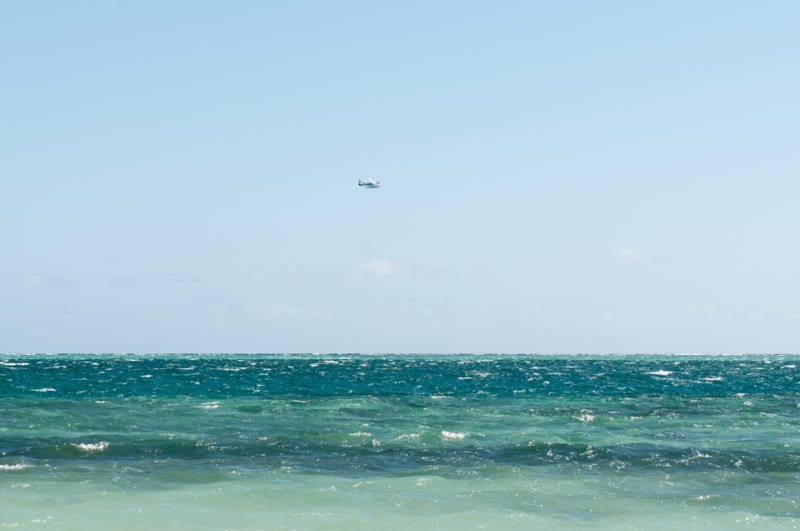 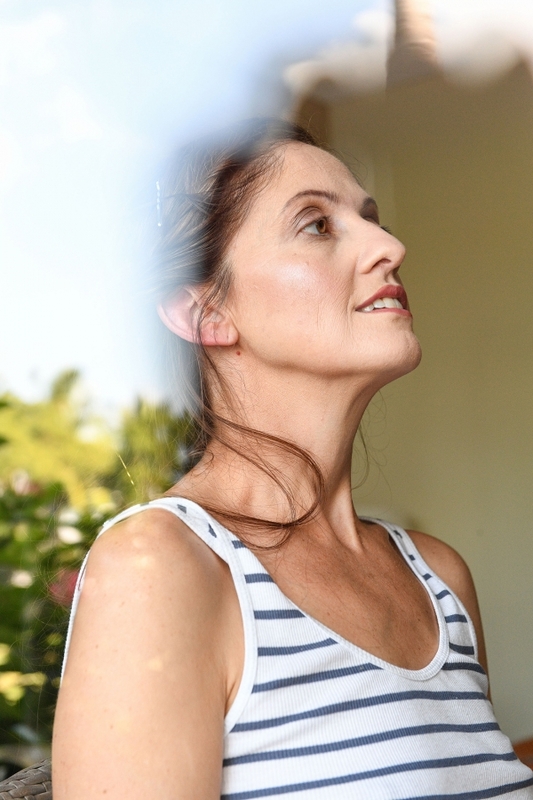 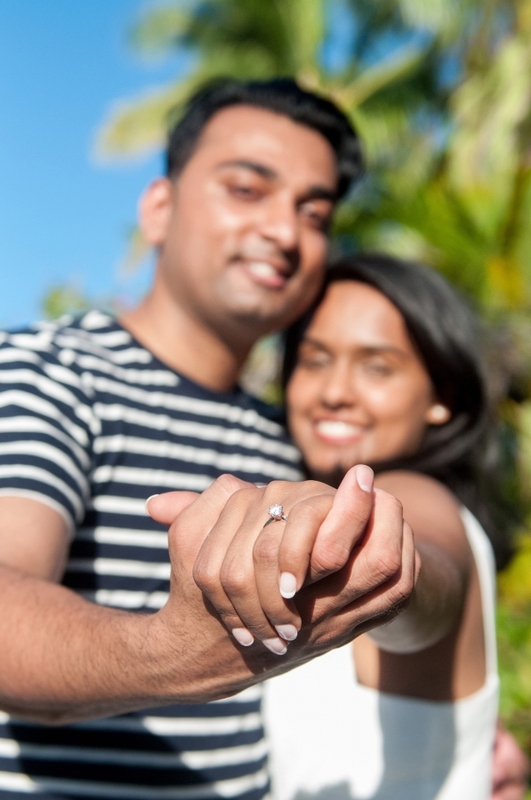 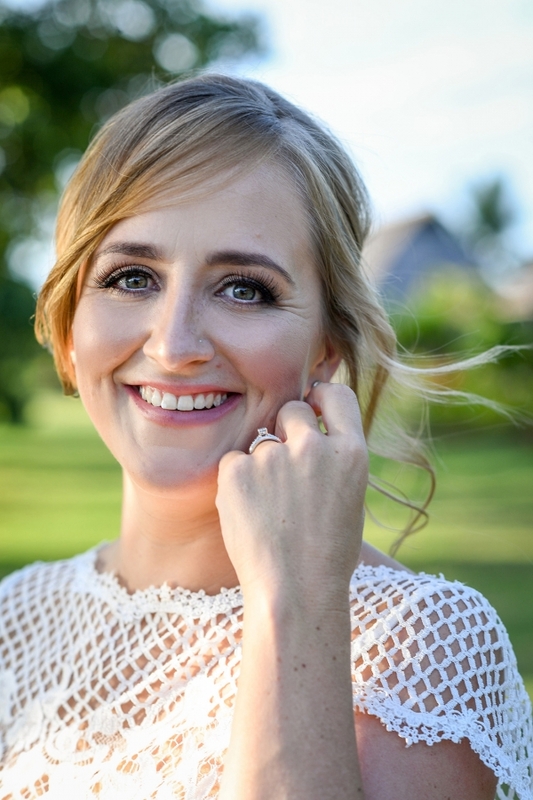 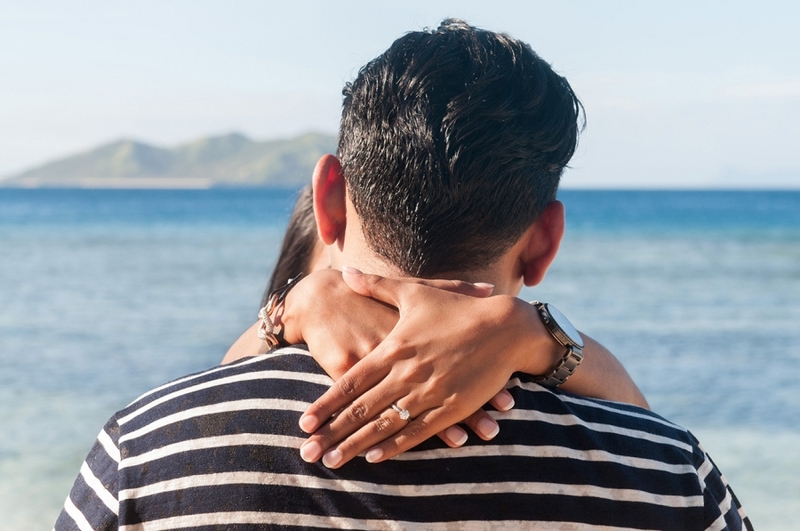 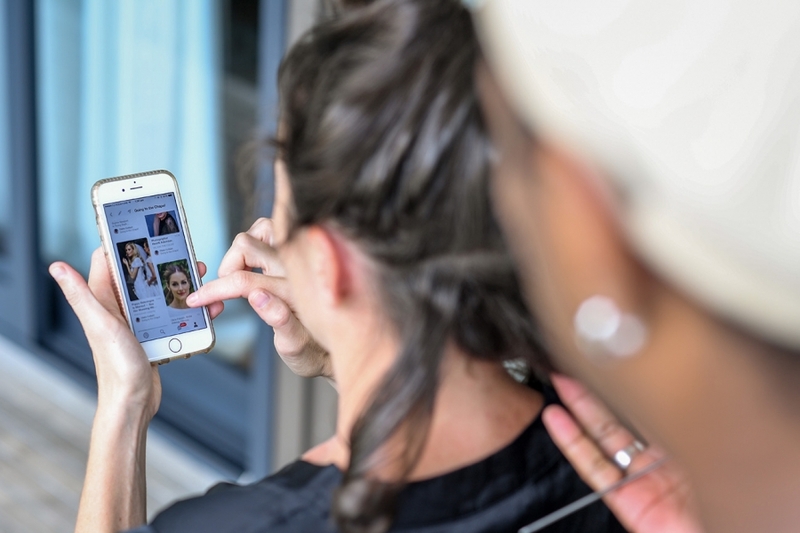 Here is an airplane arrival on Mana Island Resort ( a website :group of the Mamanucas) for a total surprise… Depal had no idea he would propose but had the best day of her life when she realizes he was. 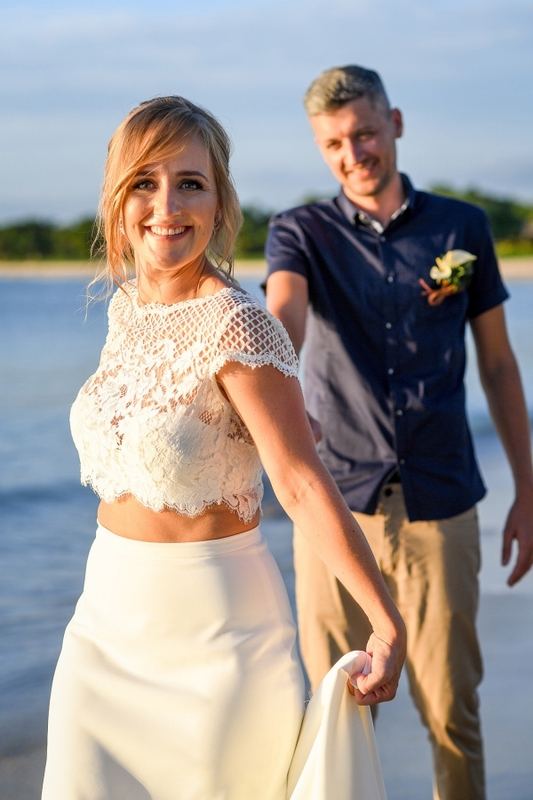 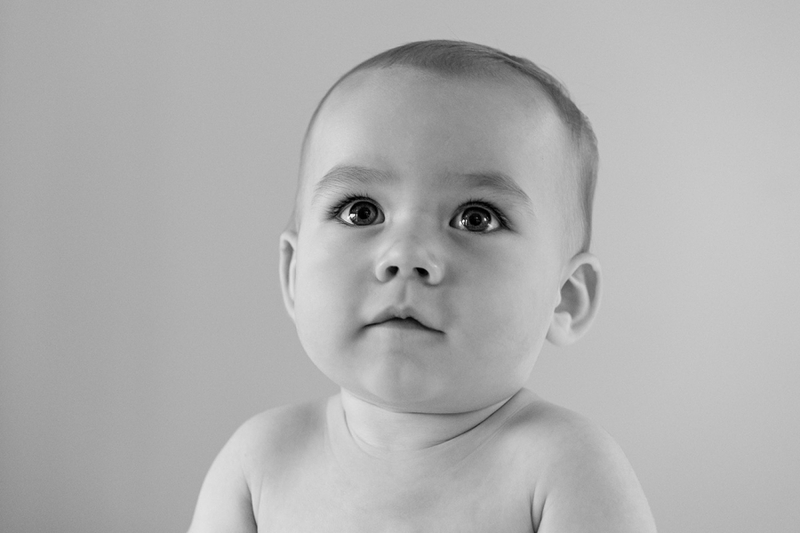 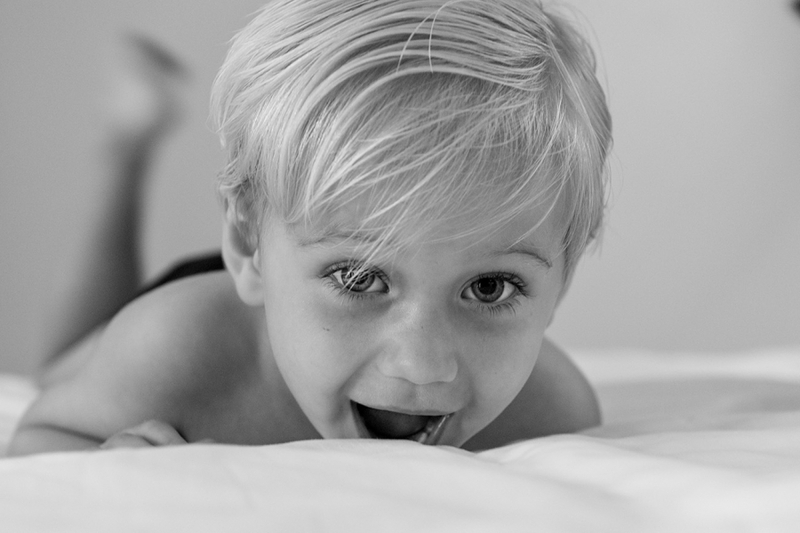 What a great moment to capture!